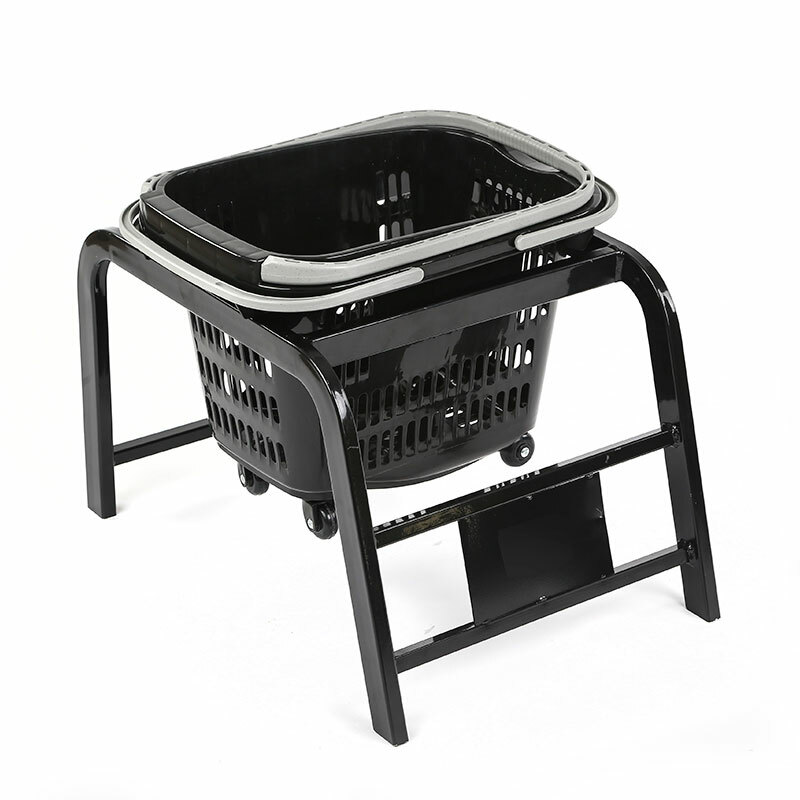 Traditional style hybrid plastic shopping cart, oval metal frame, hinged wire nesting gate with child seat area. 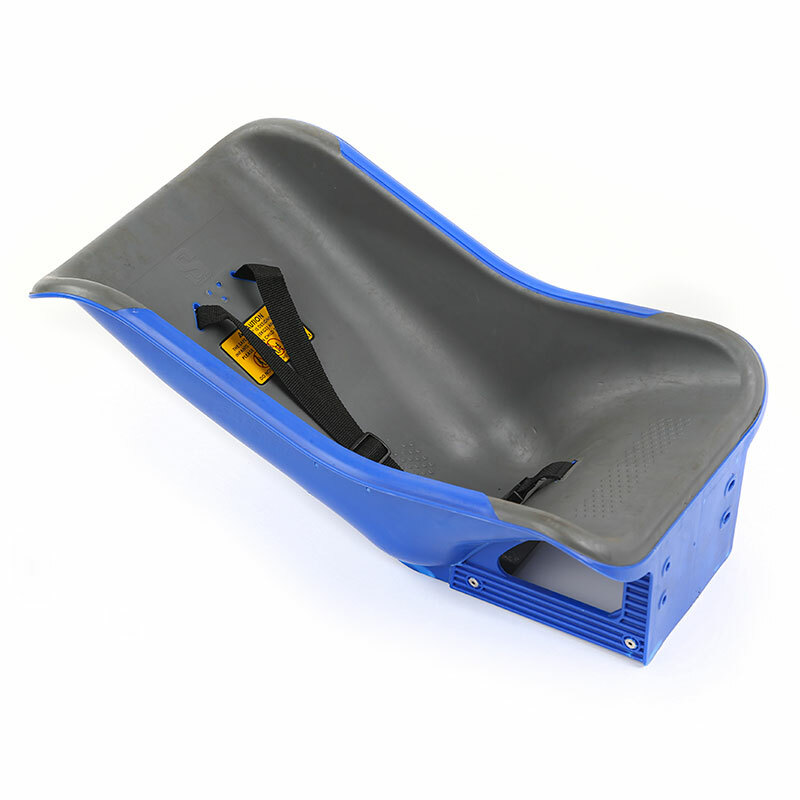 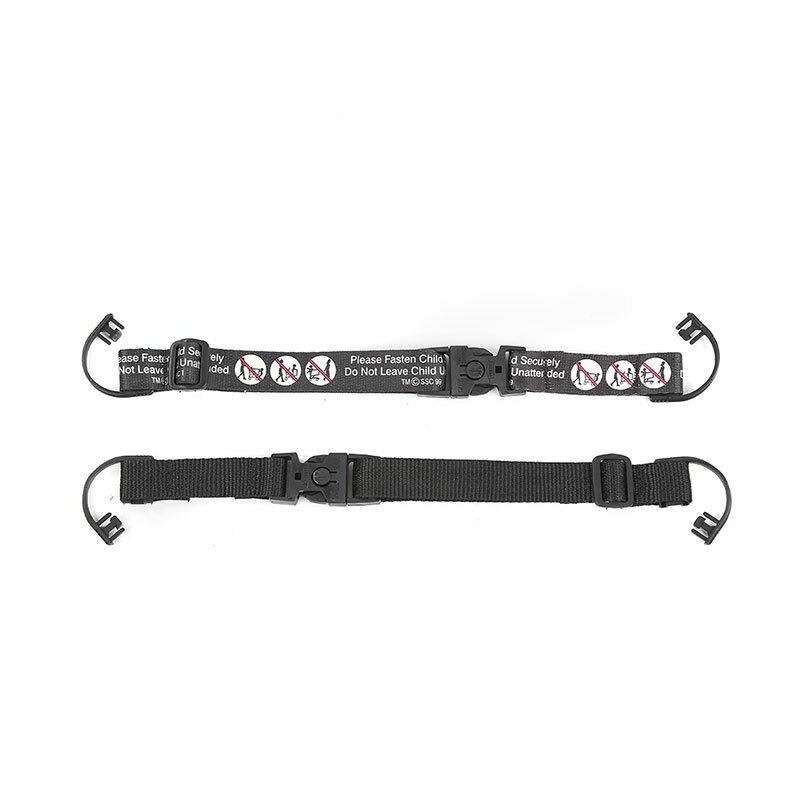 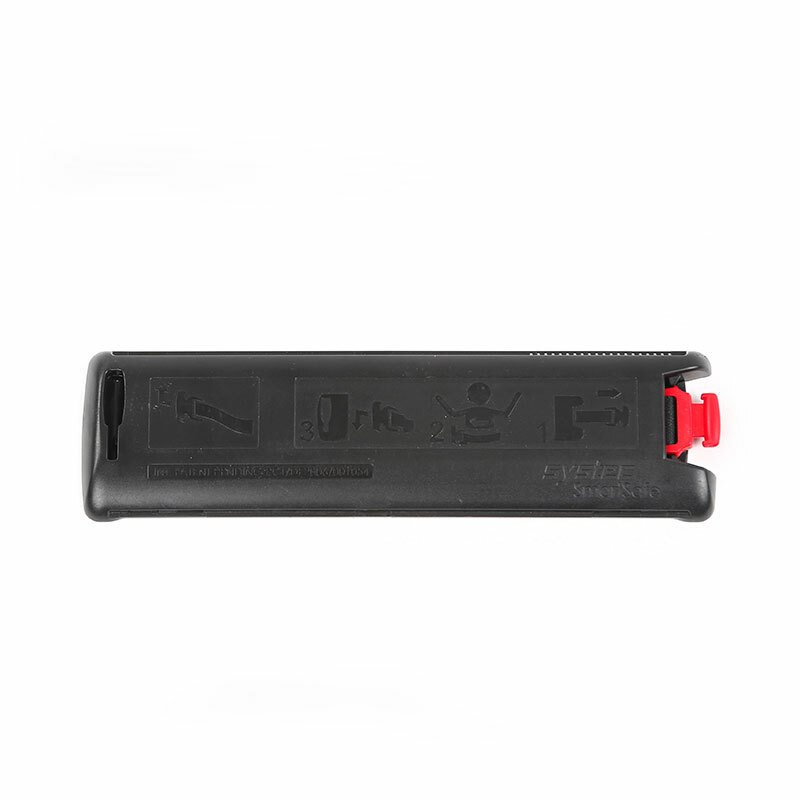 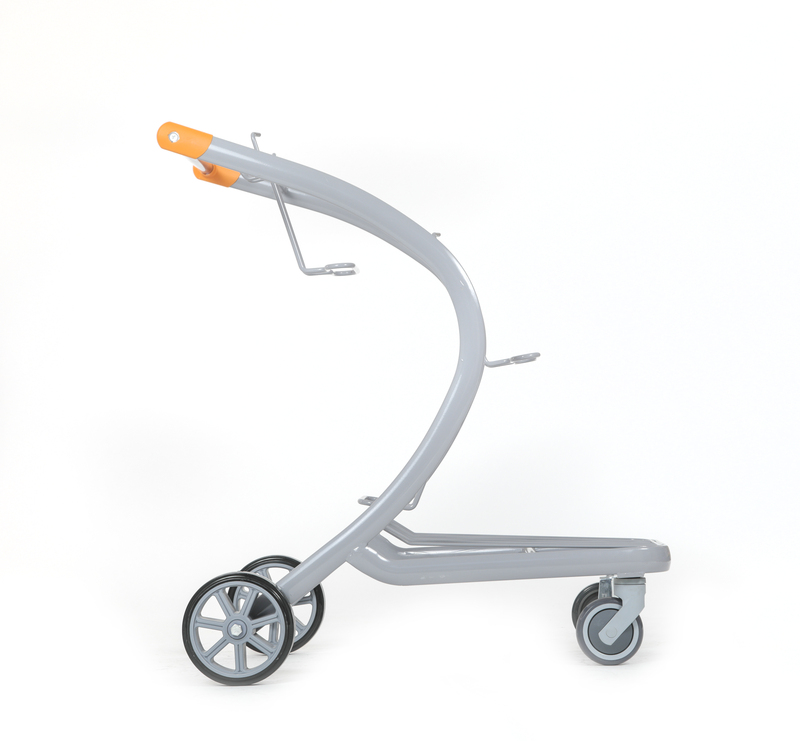 Standard options include a lower tray, powder coated finish, child seat belt, plain logo panels and plain handle. 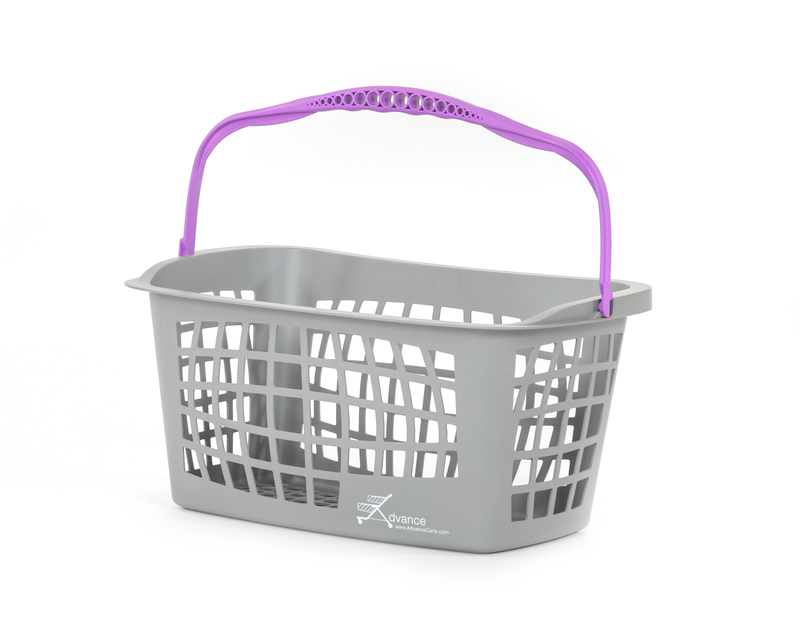 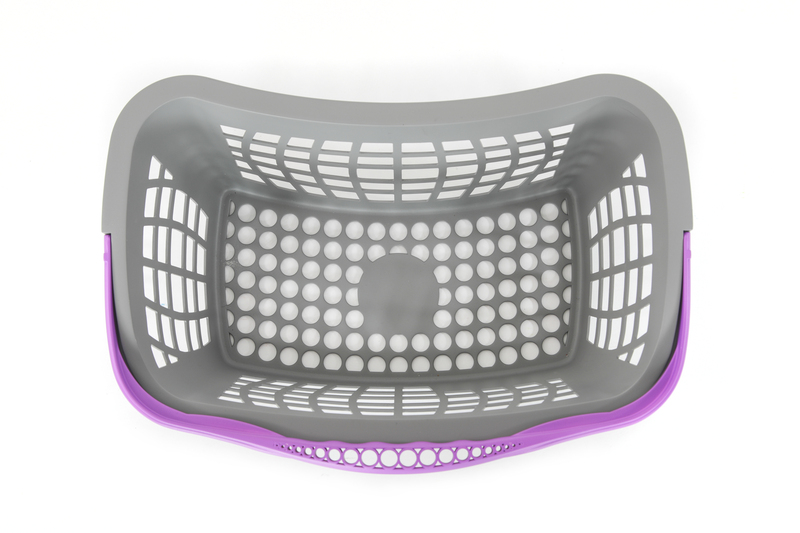 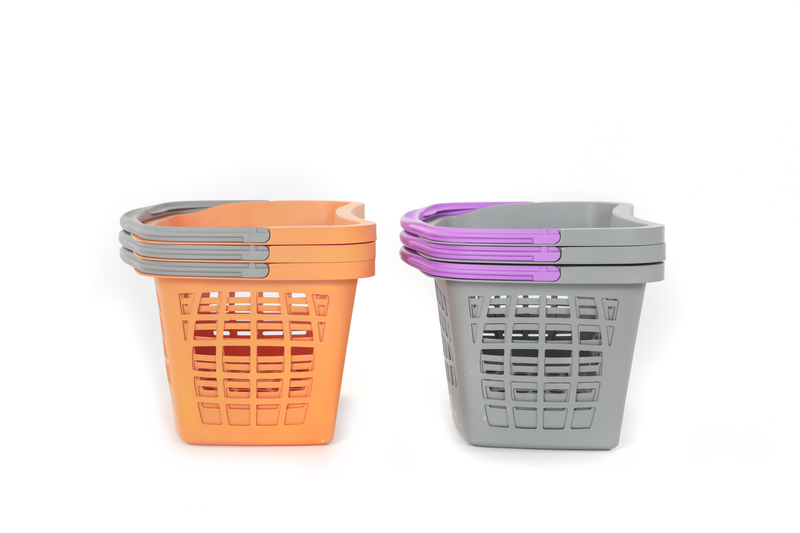 Plastic basket available in all custom colors. 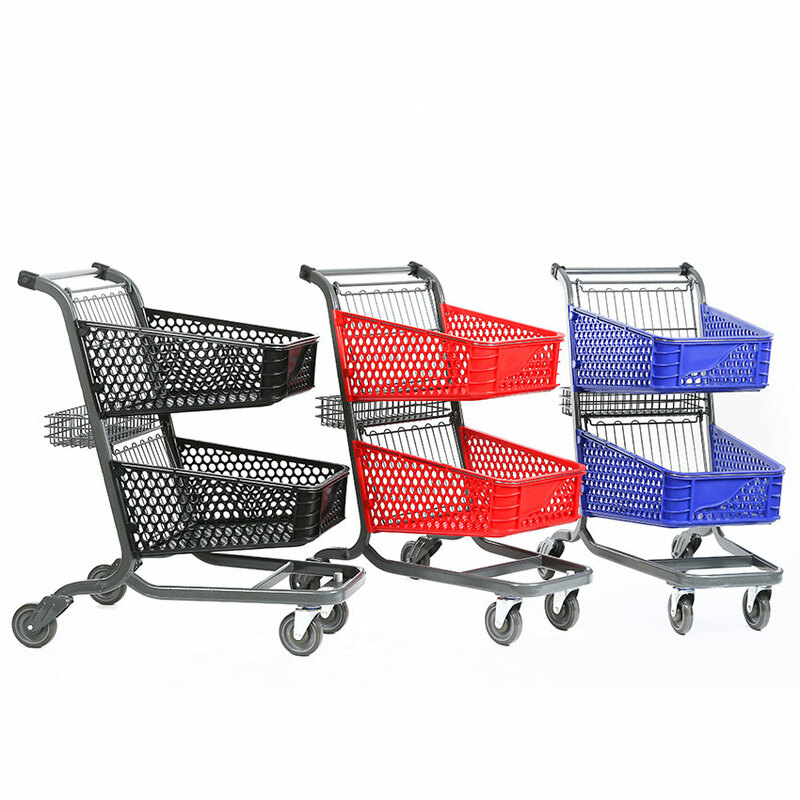 Blue, Red & Black standard. 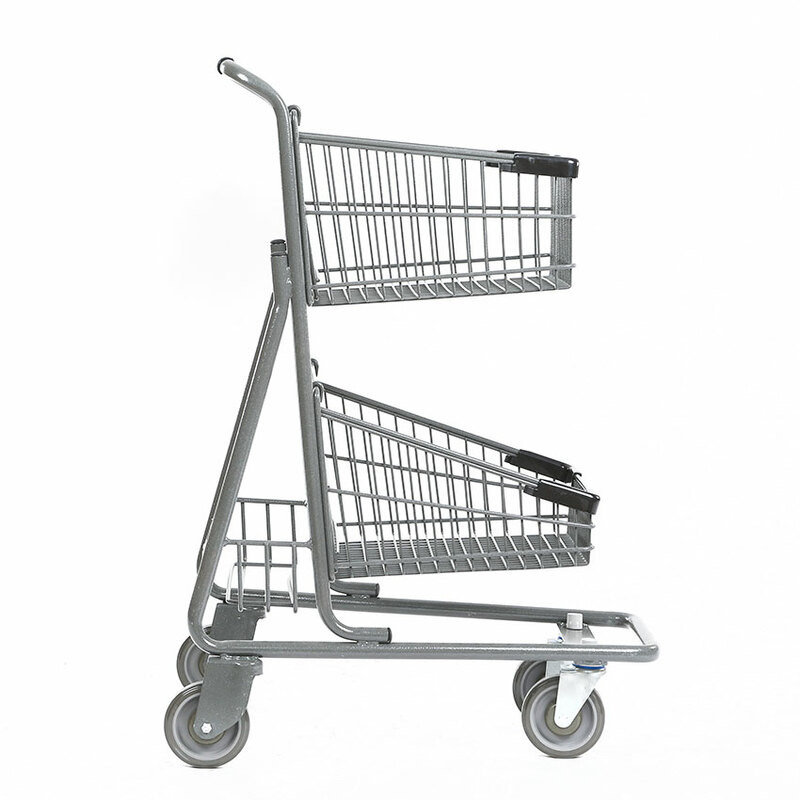 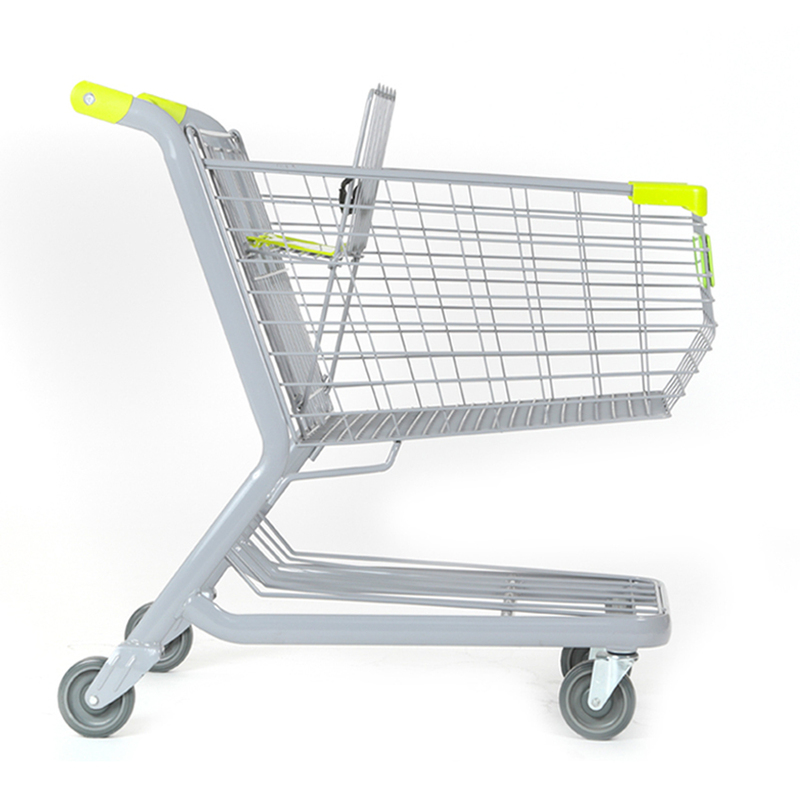 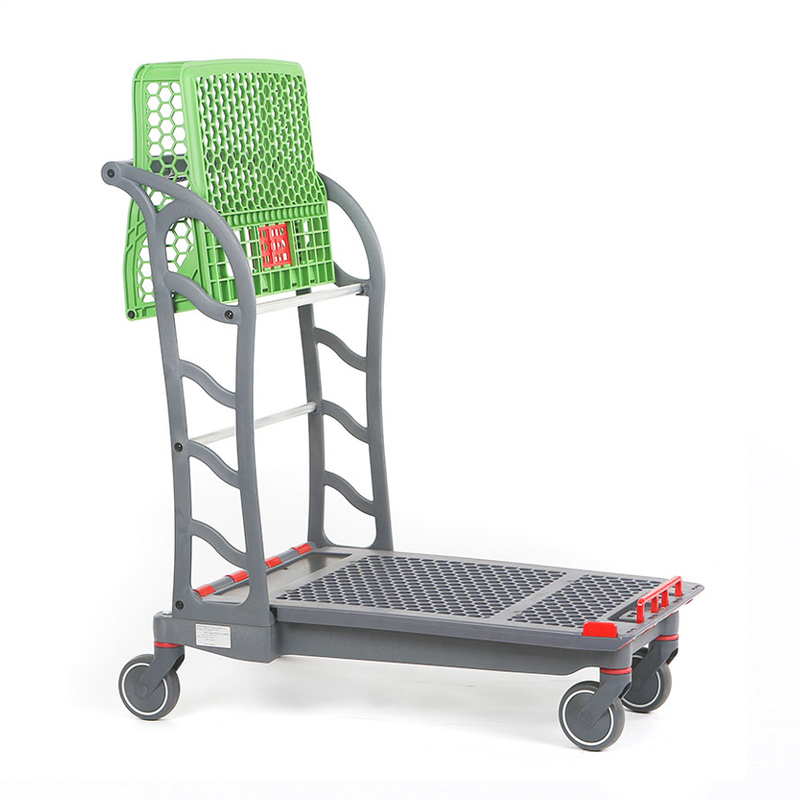 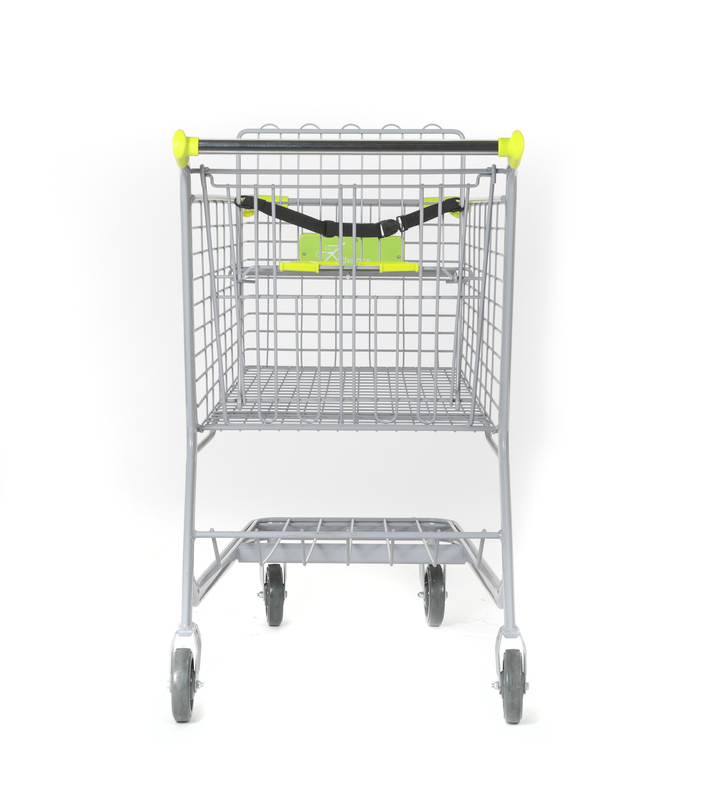 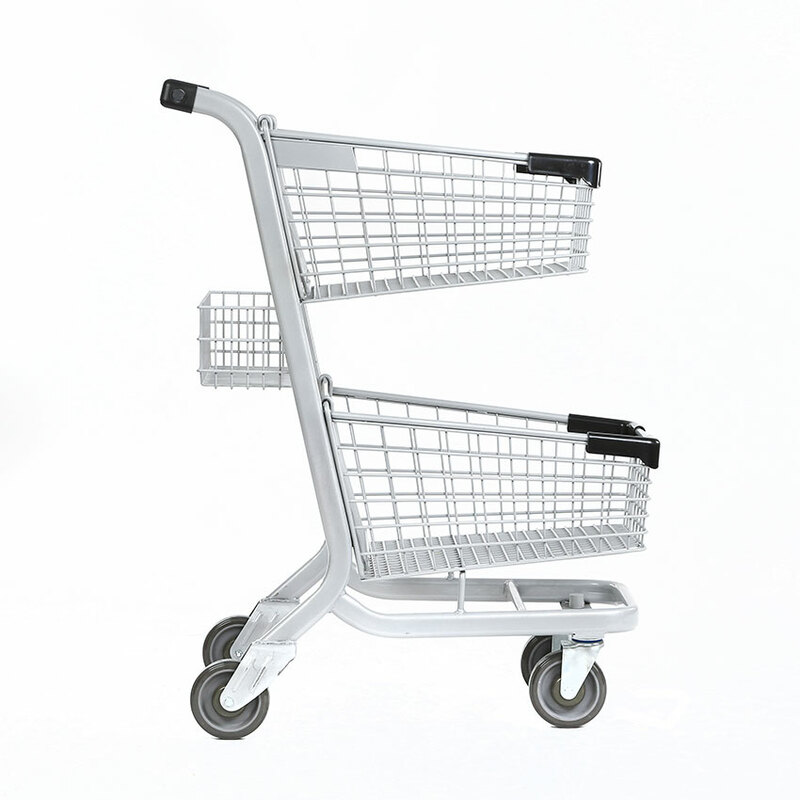 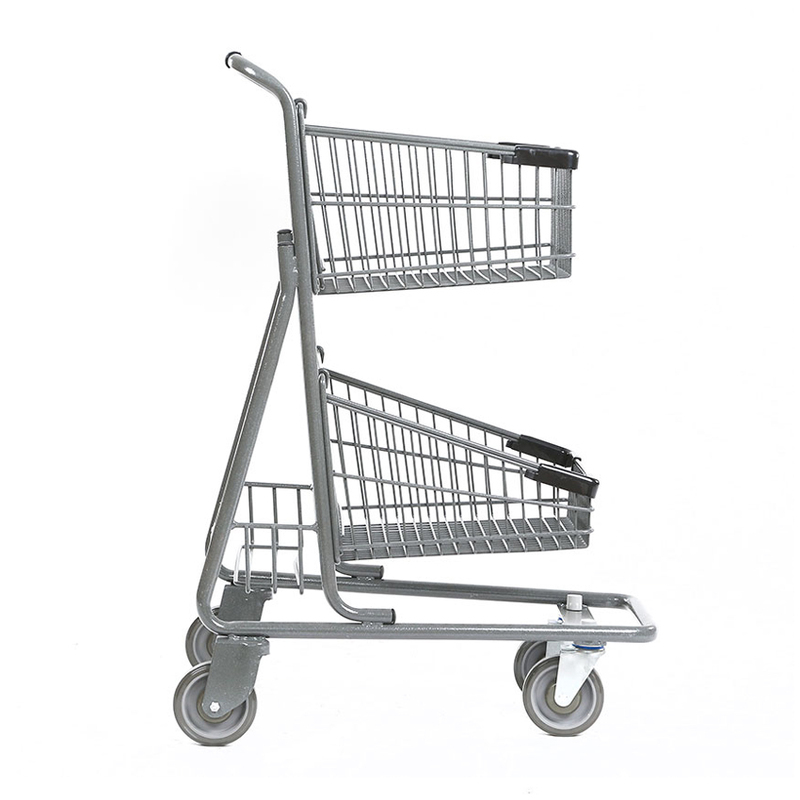 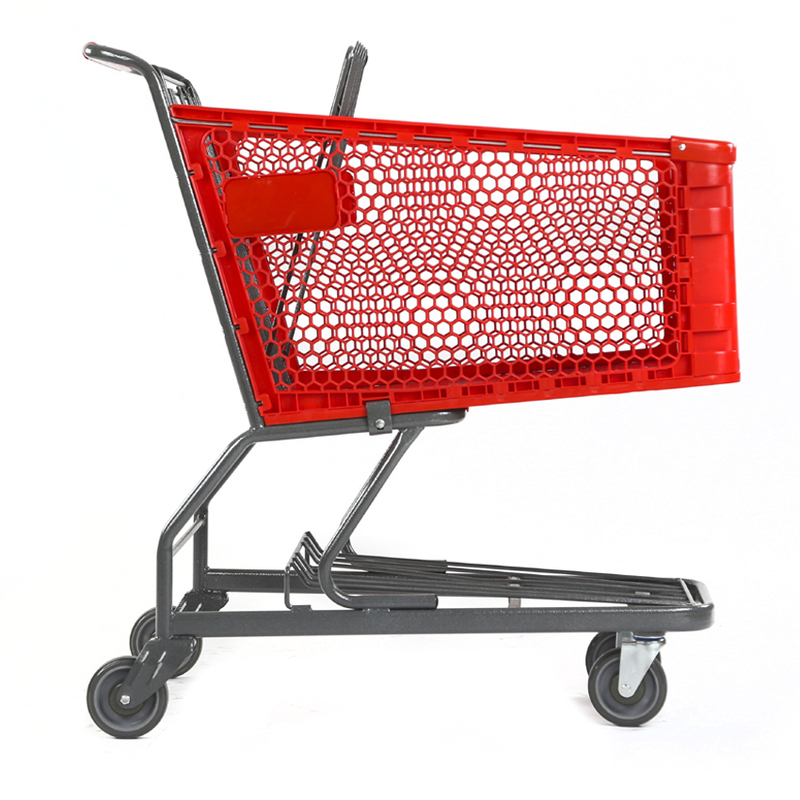 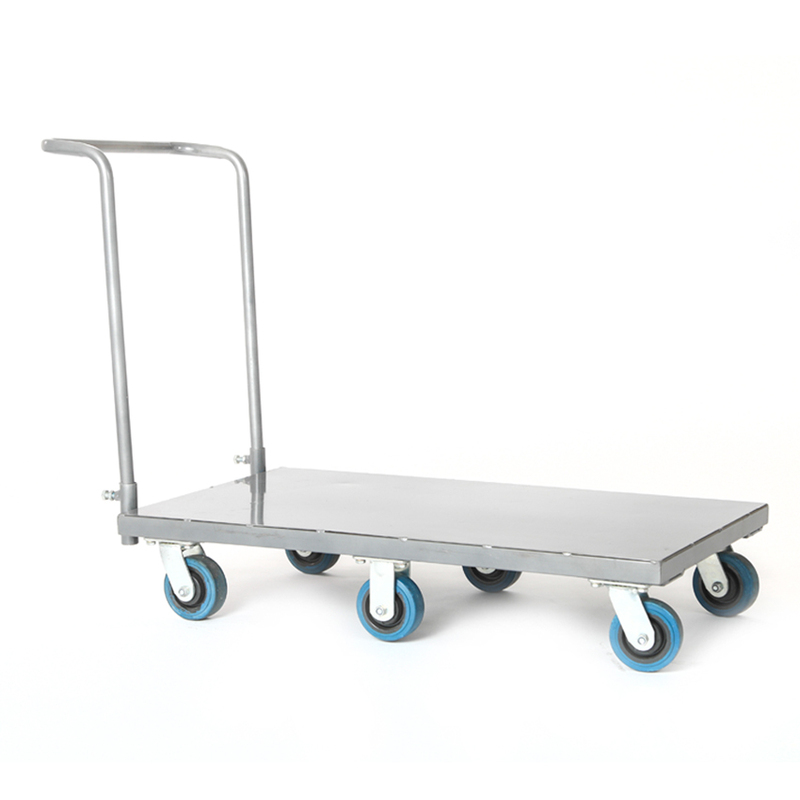 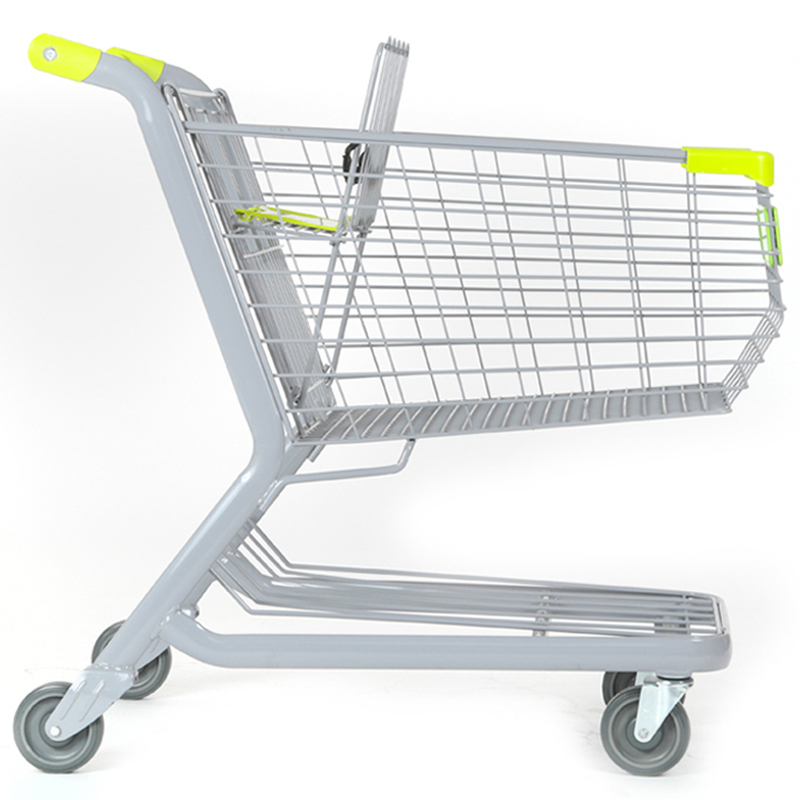 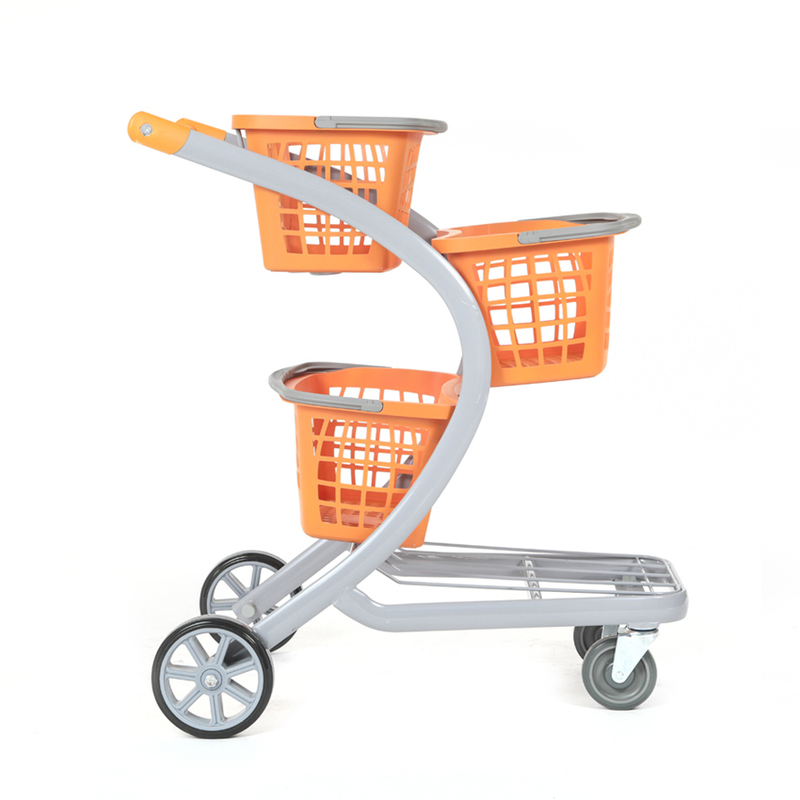 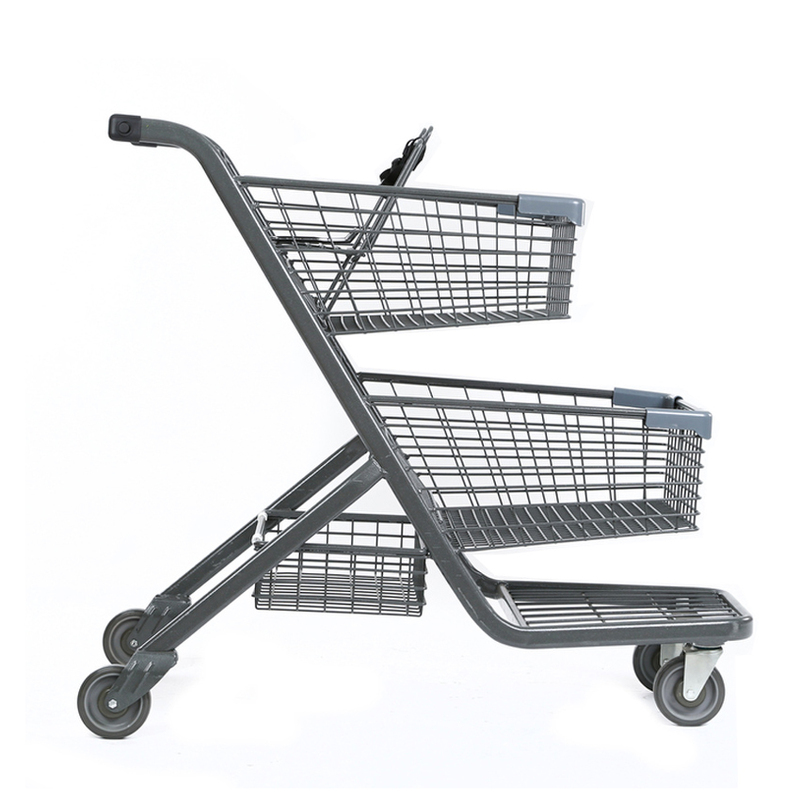 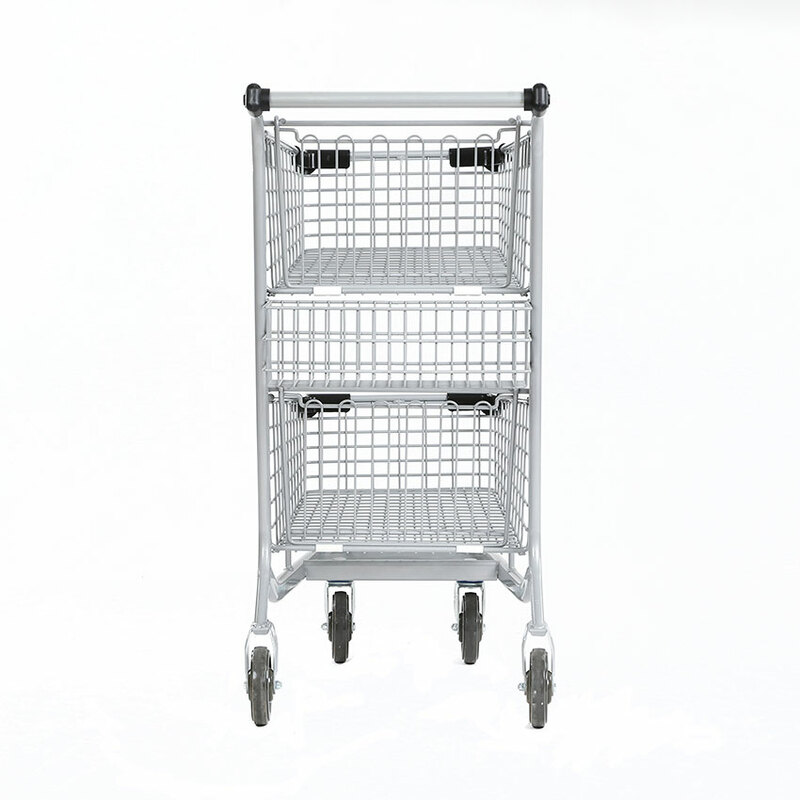 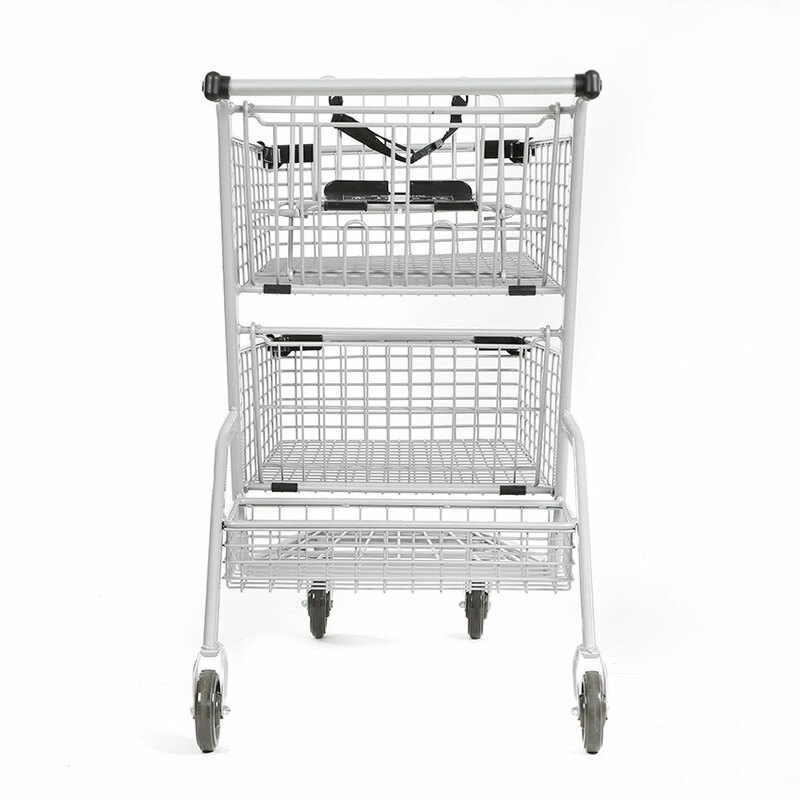 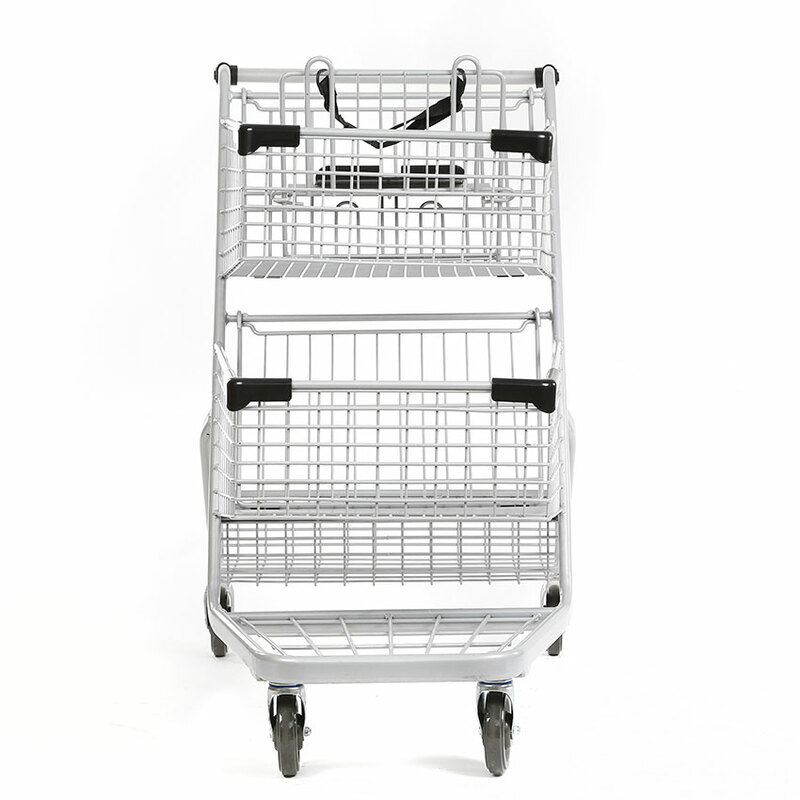 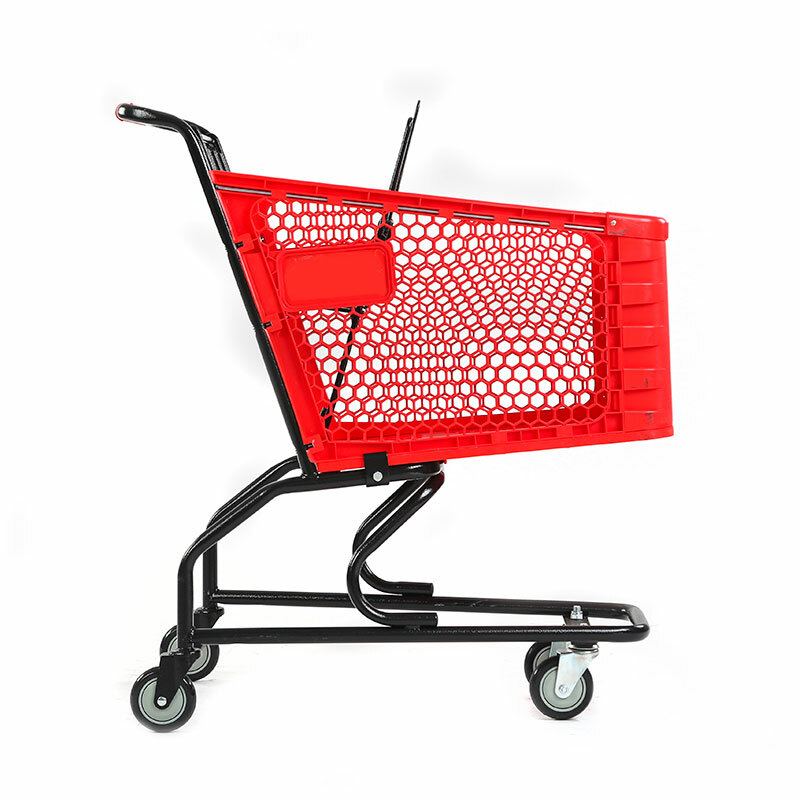 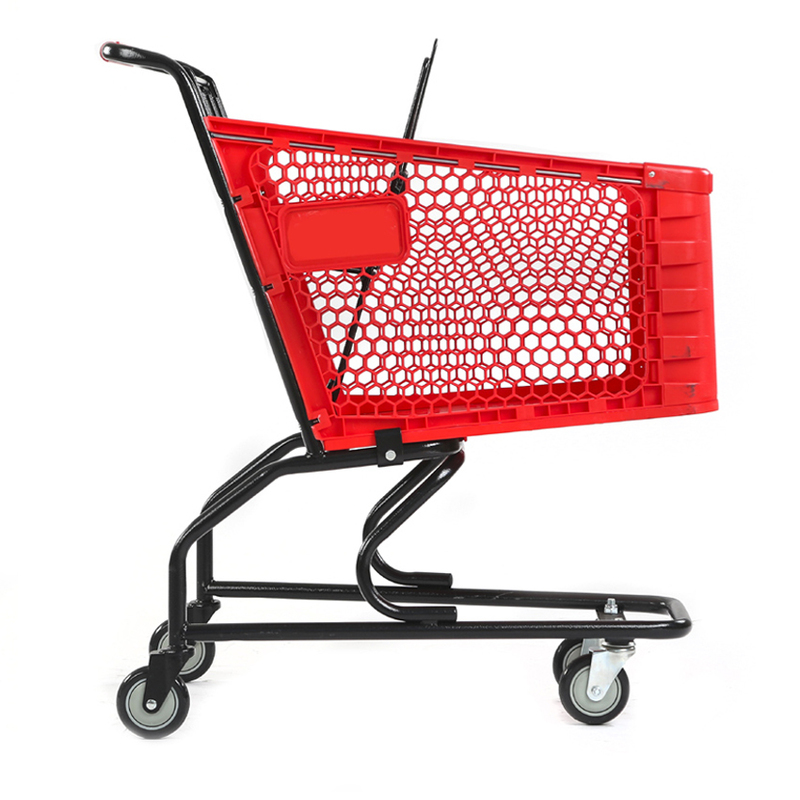 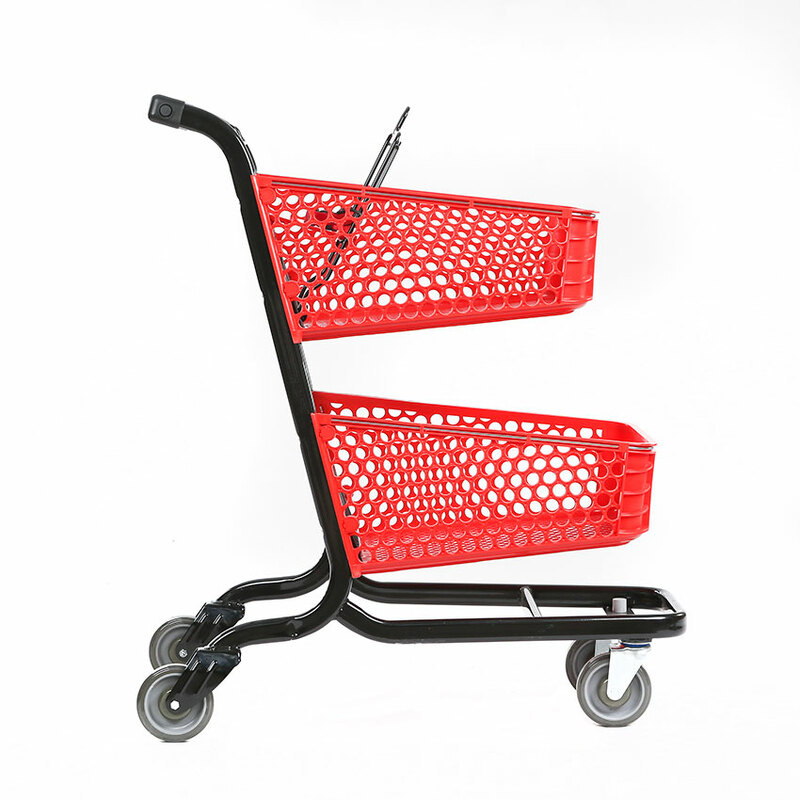 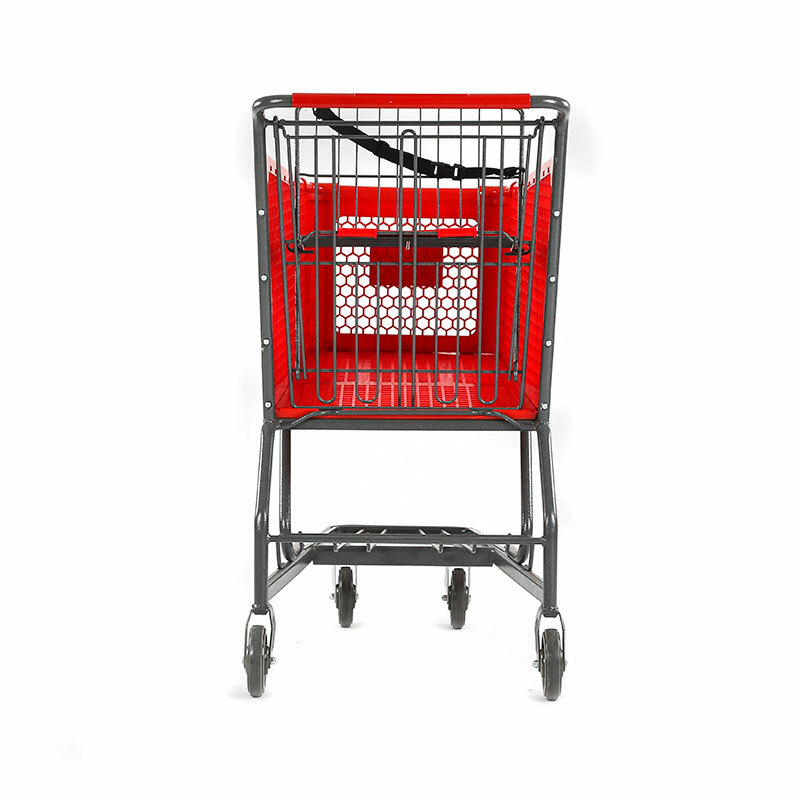 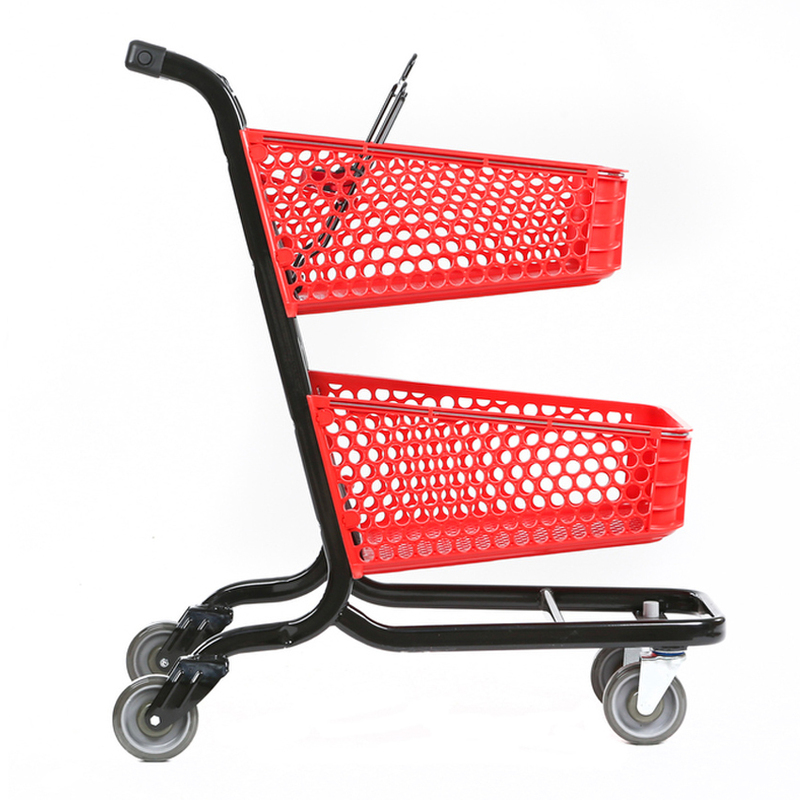 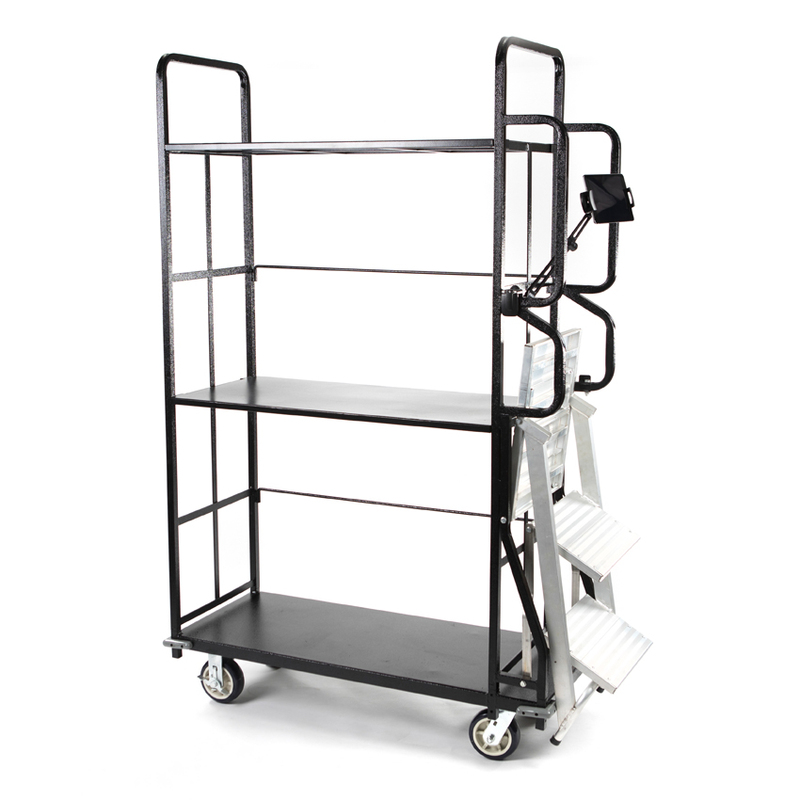 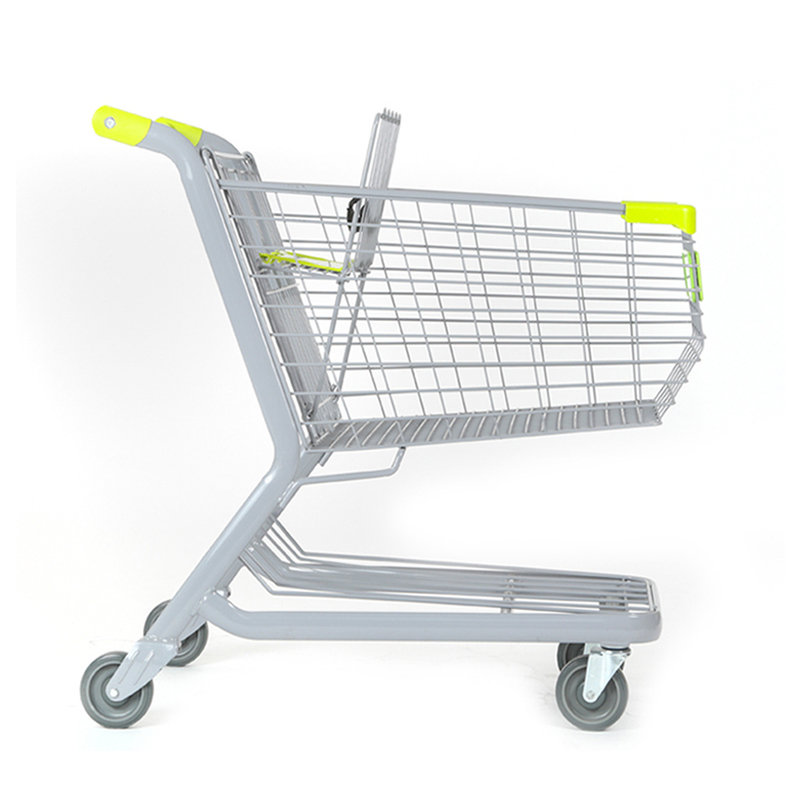 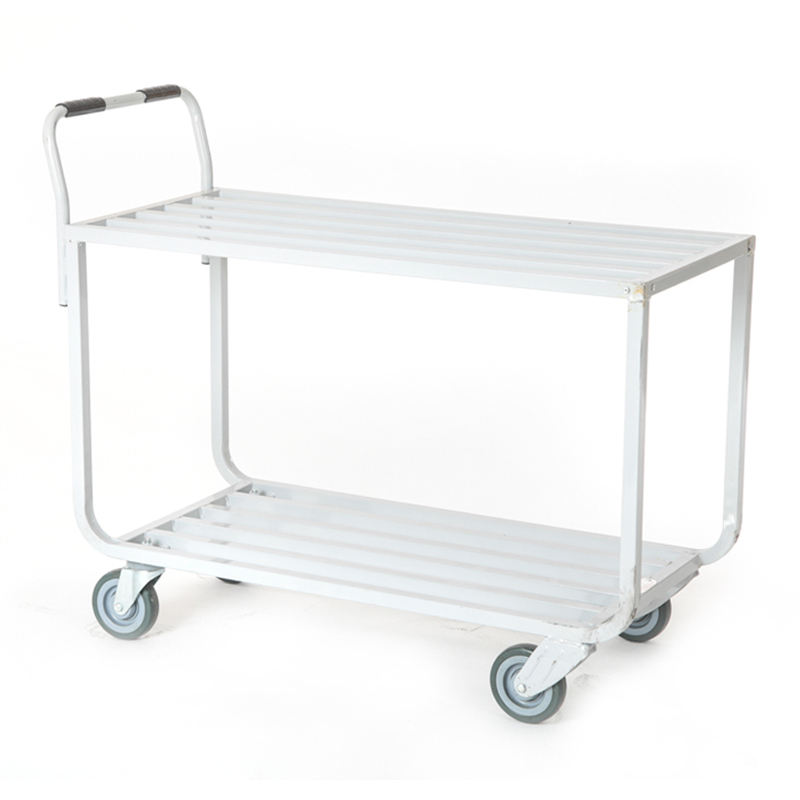 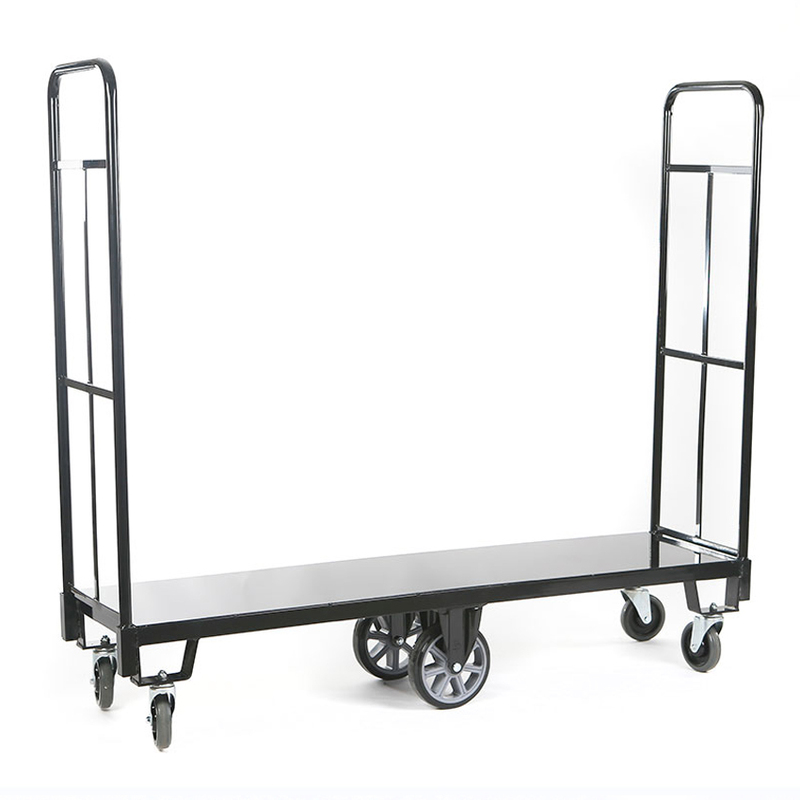 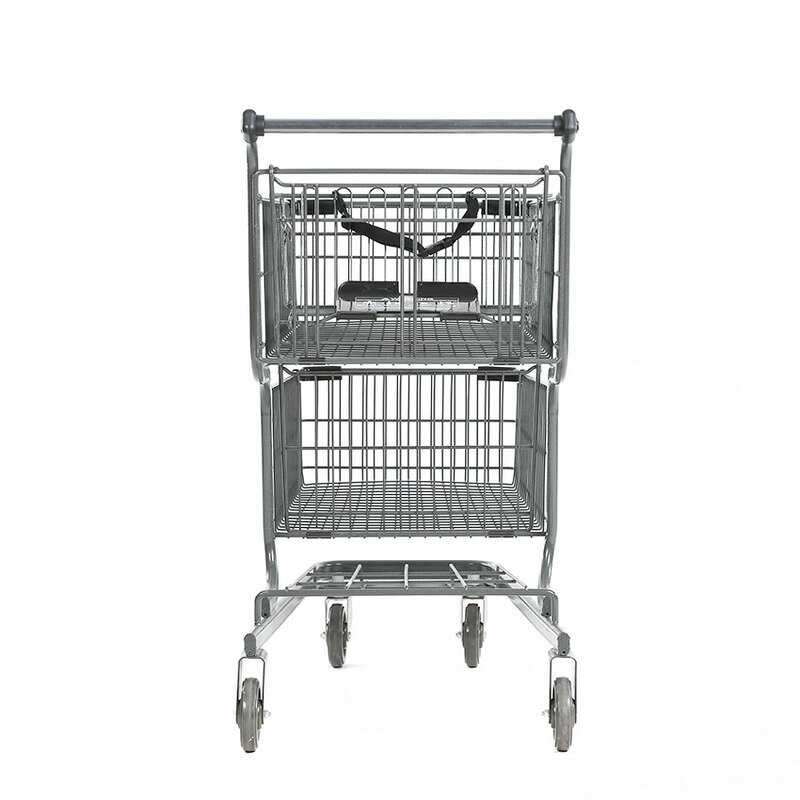 The zoomcart trolley has an easy-to use, pull-out ladder made of aluminum that smoothly returns to folded position. 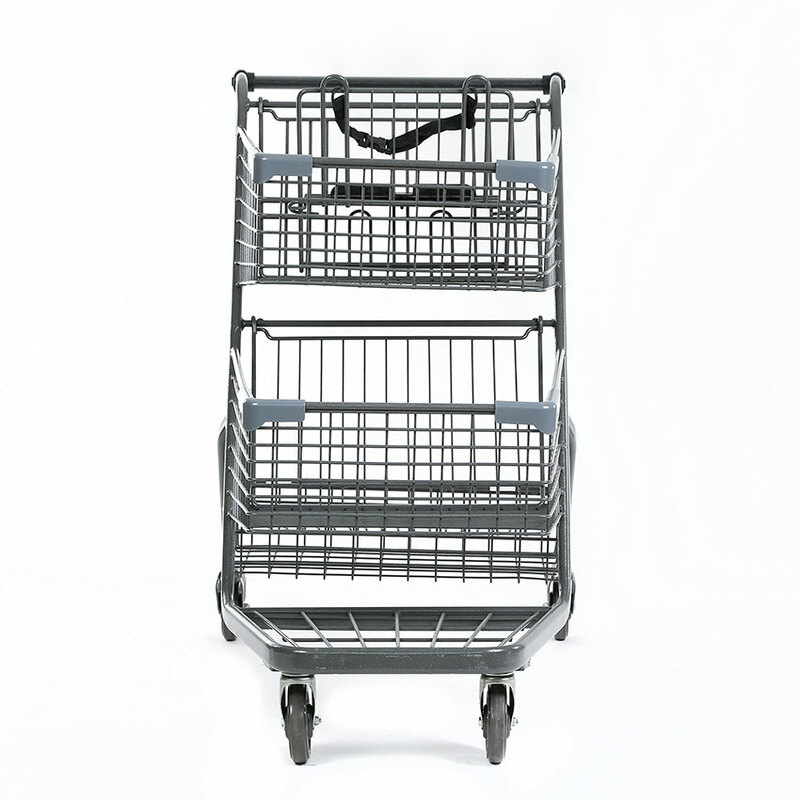 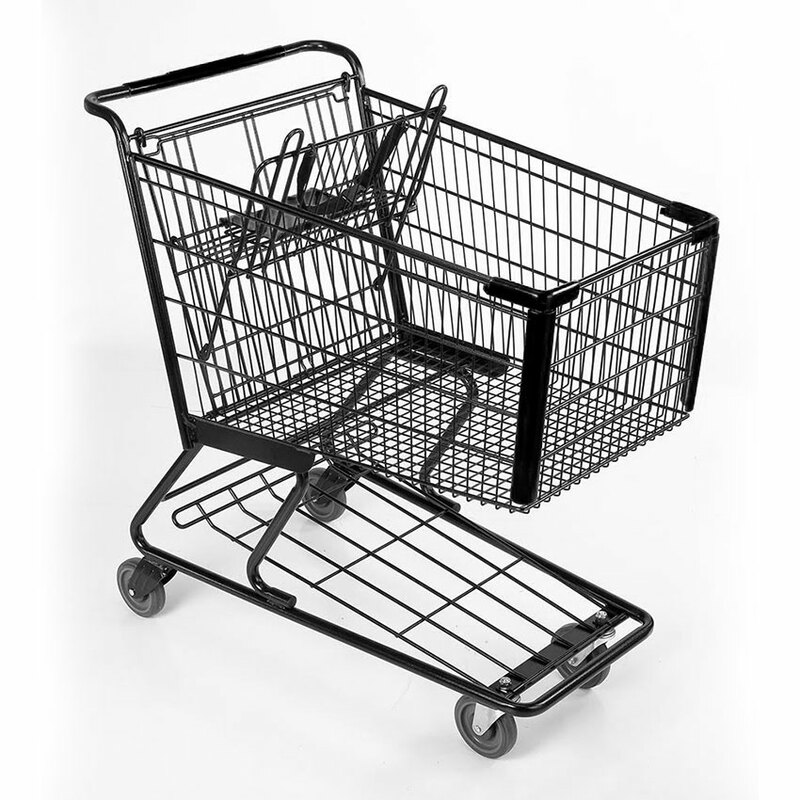 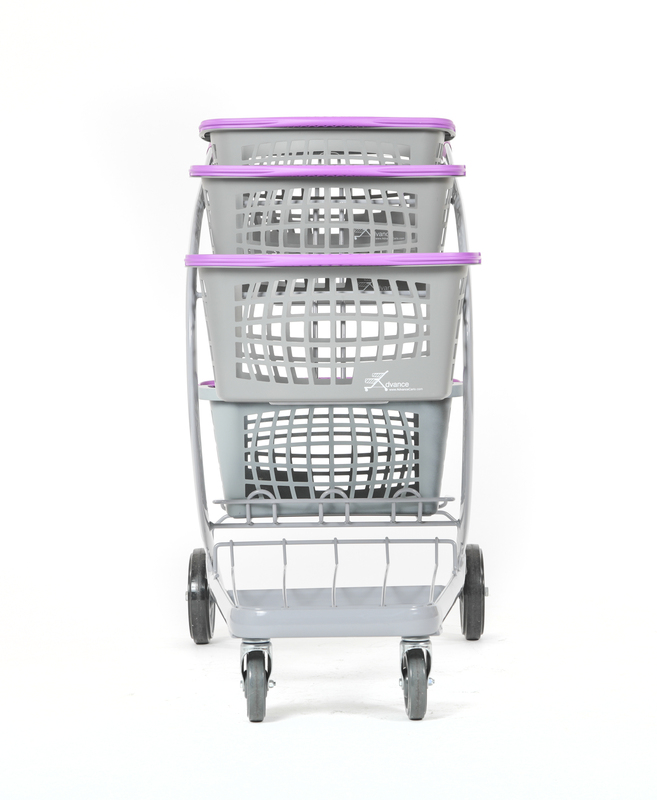 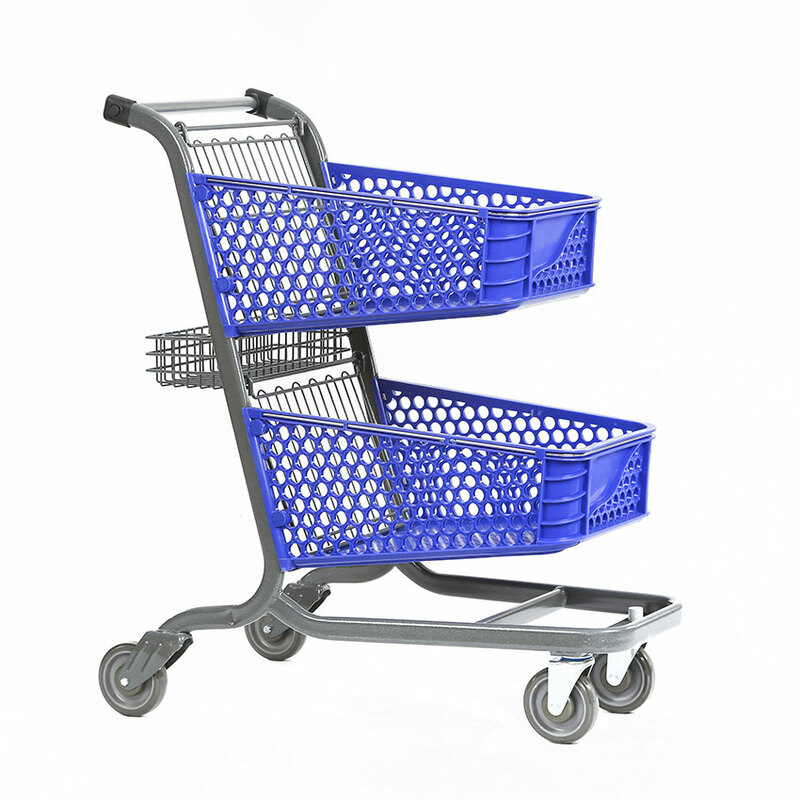 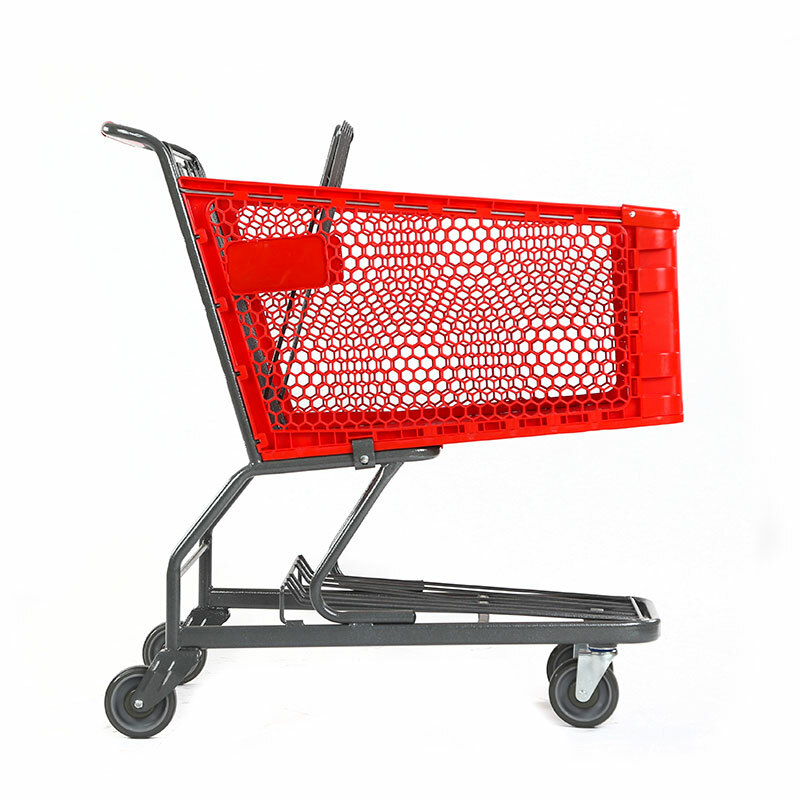 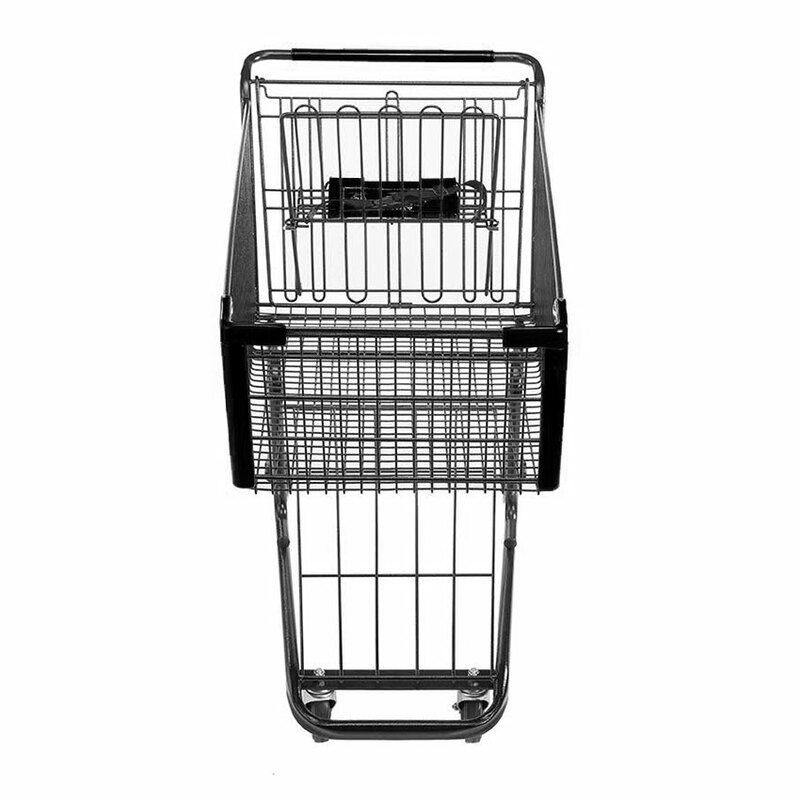 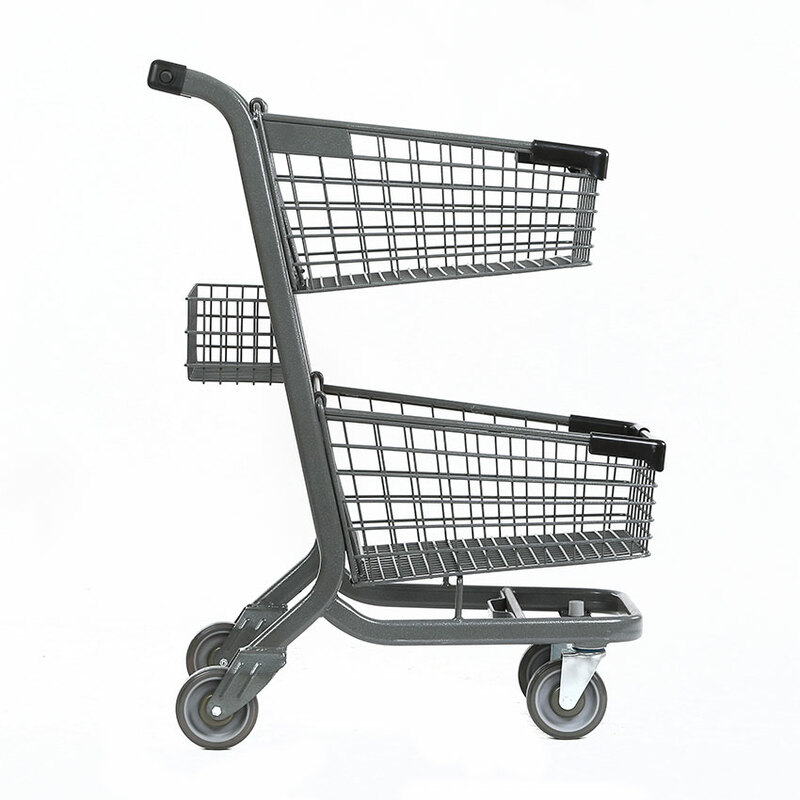 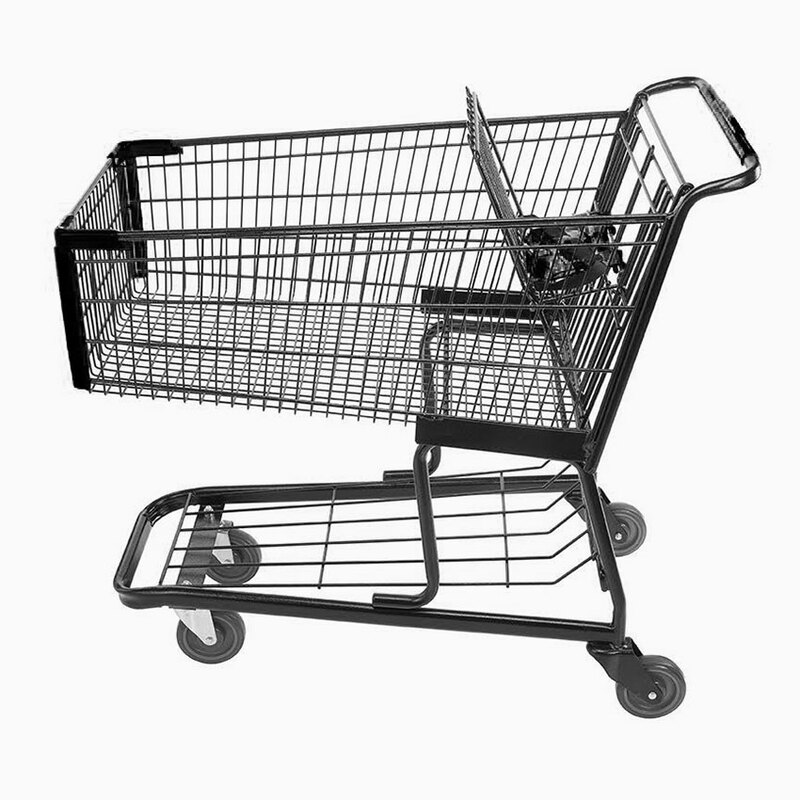 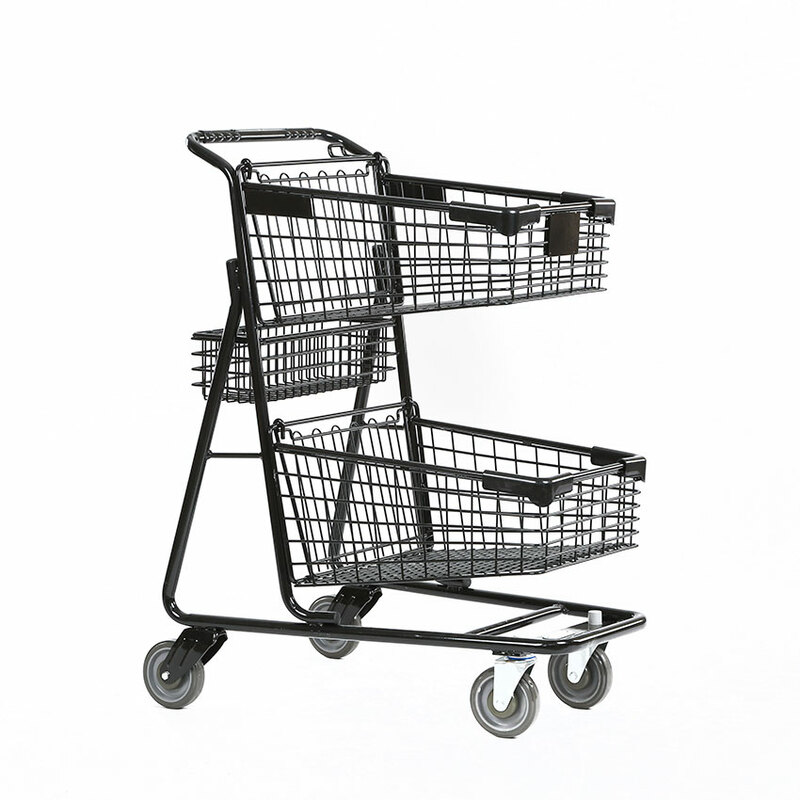 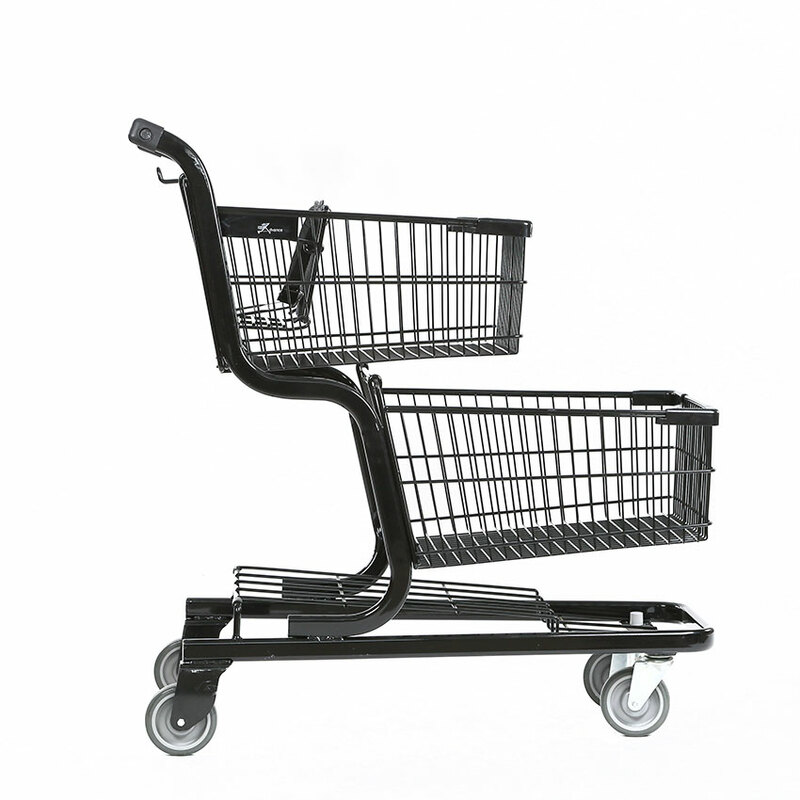 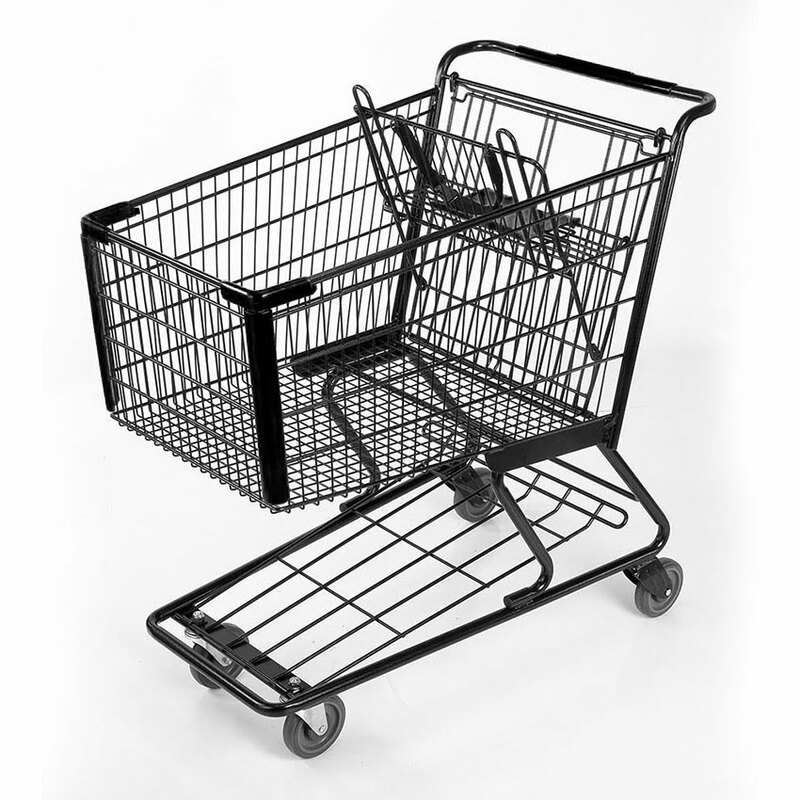 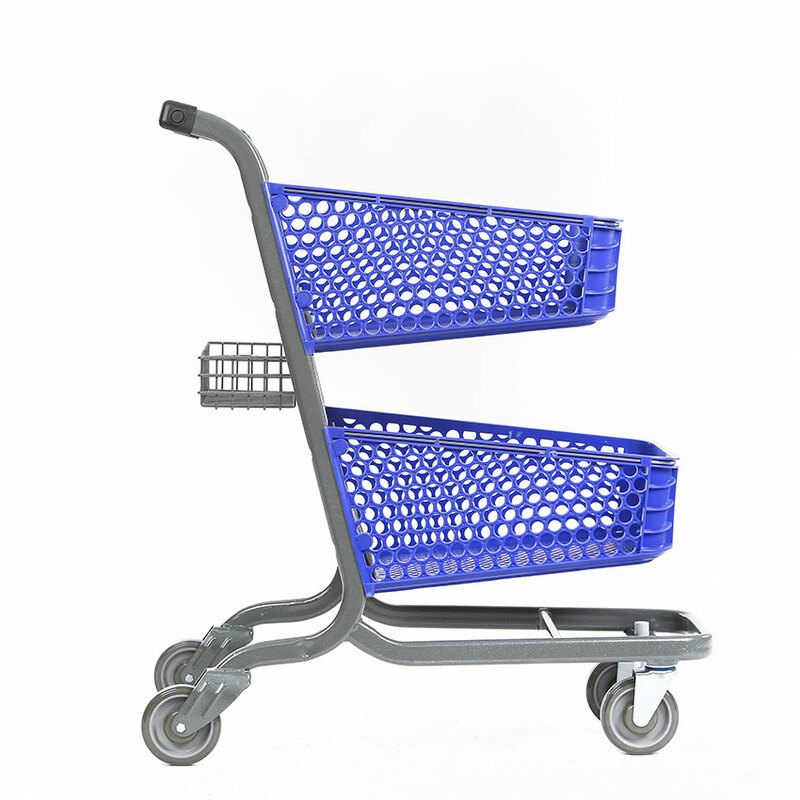 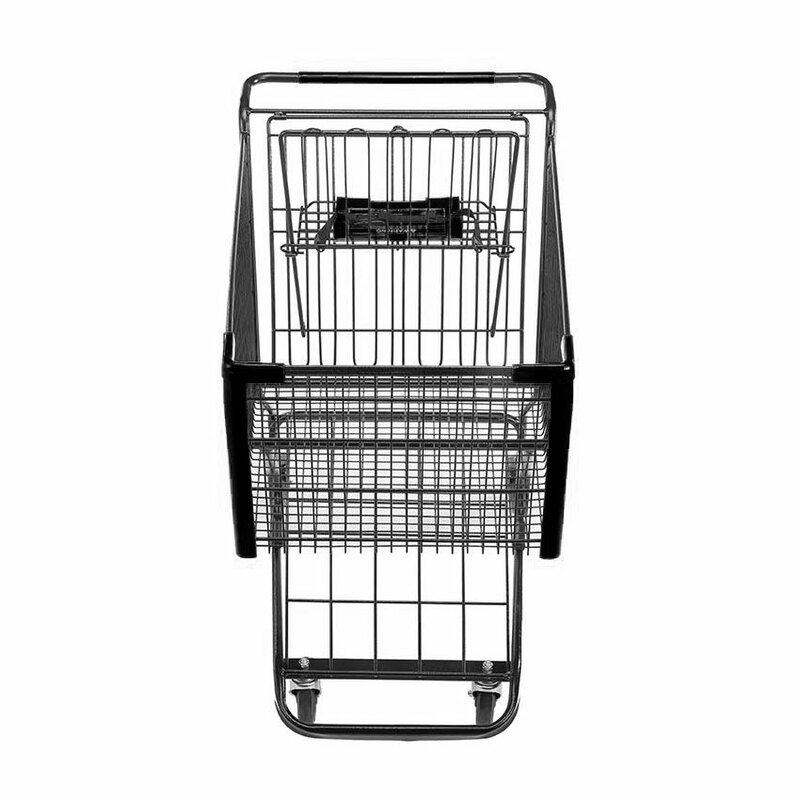 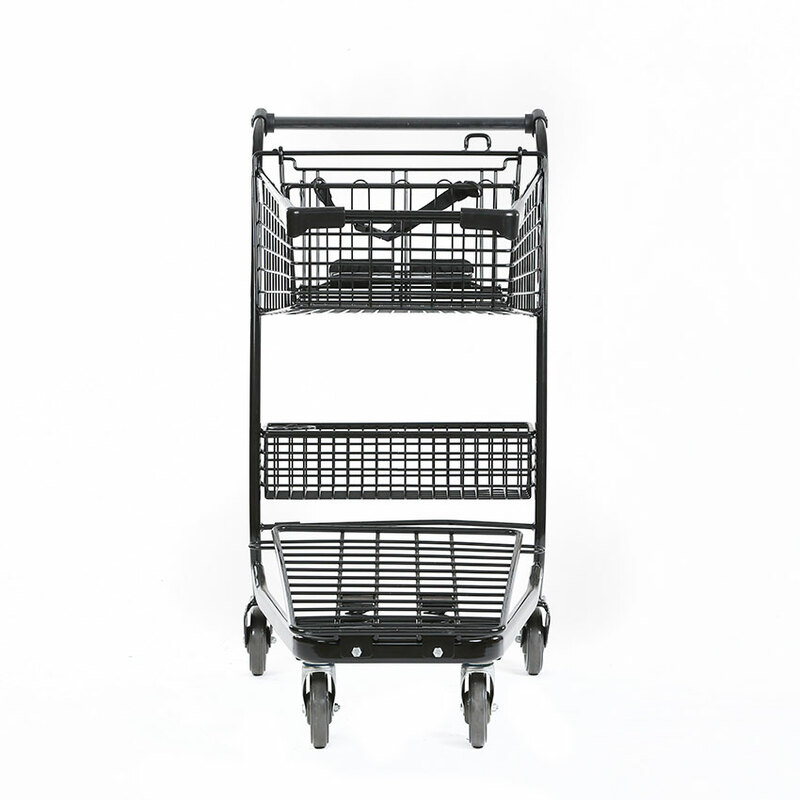 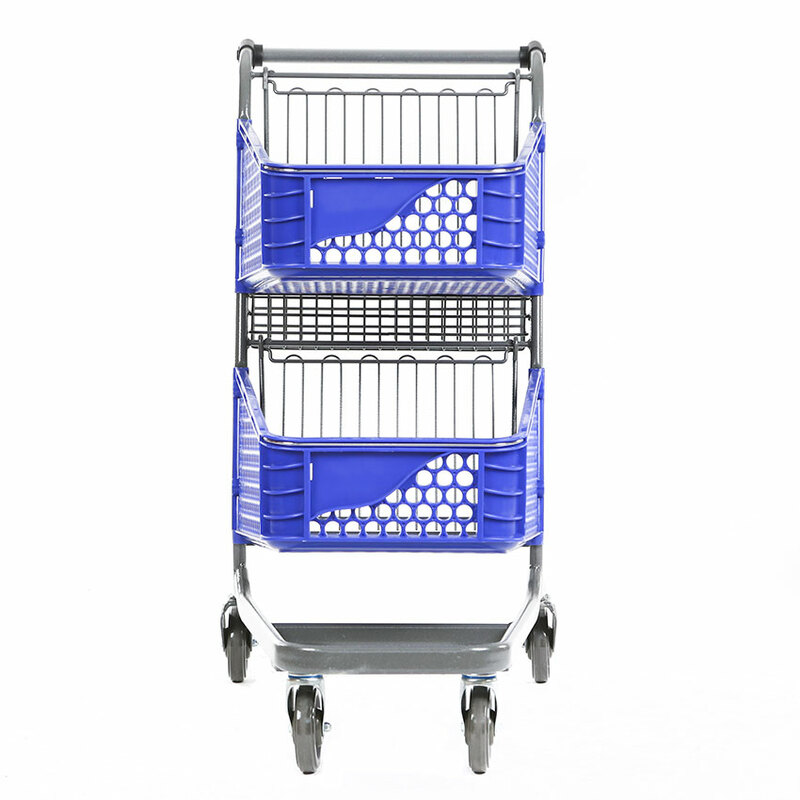 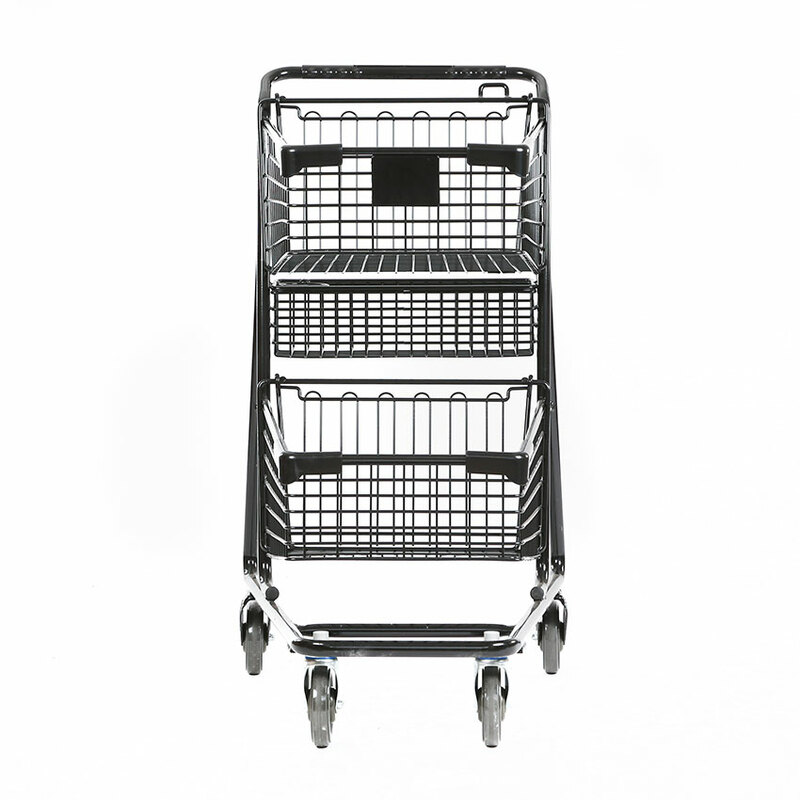 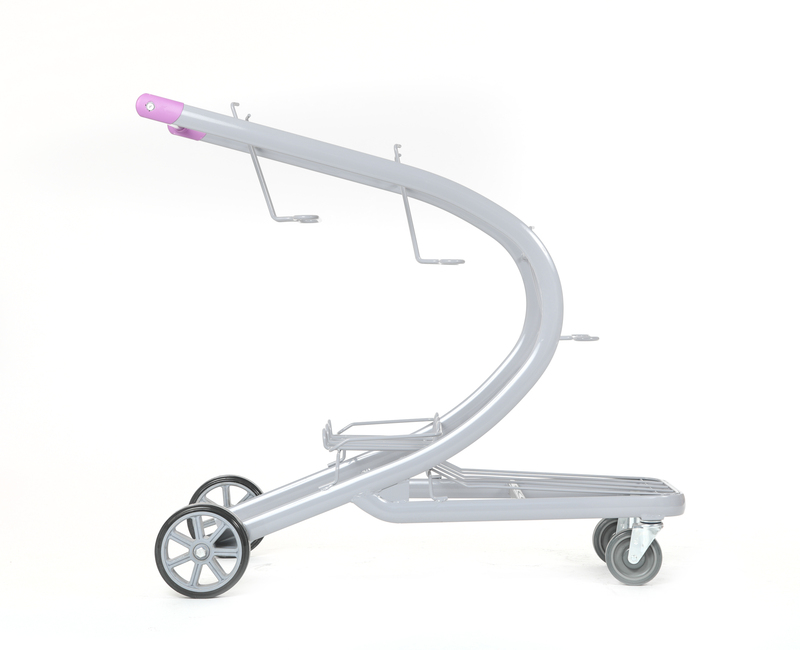 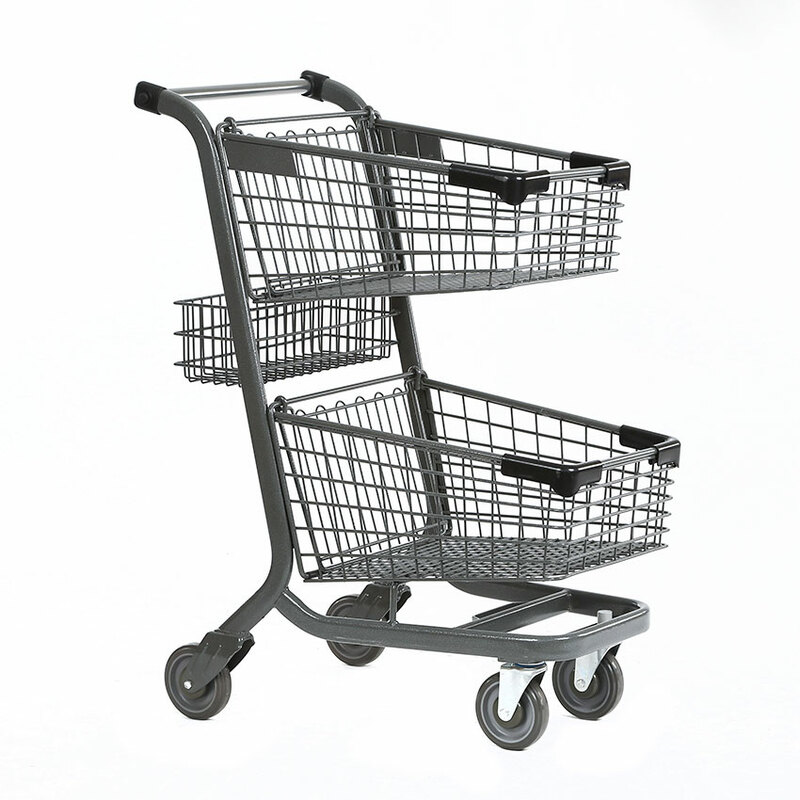 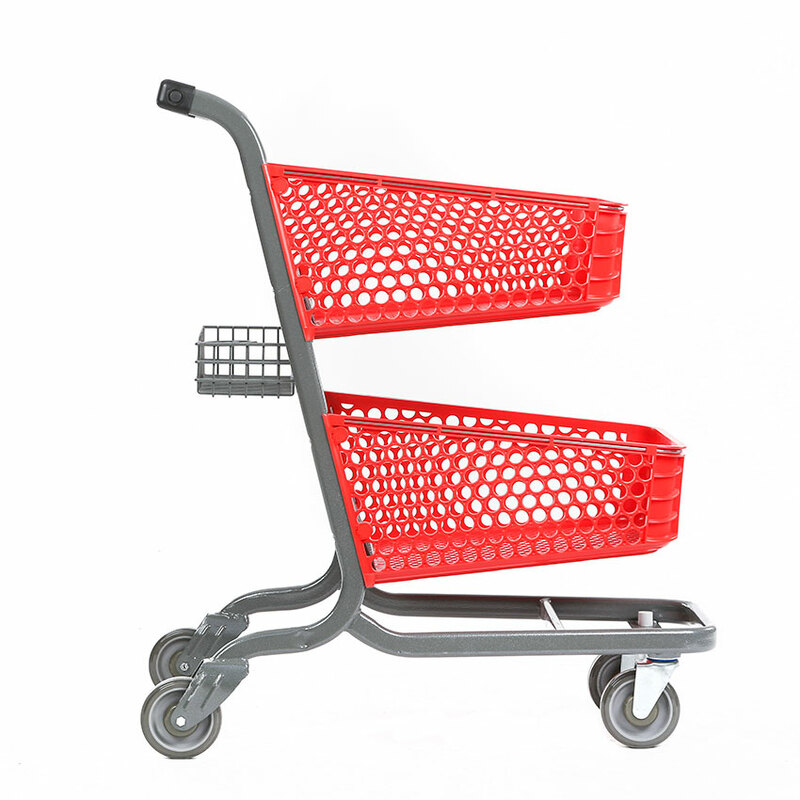 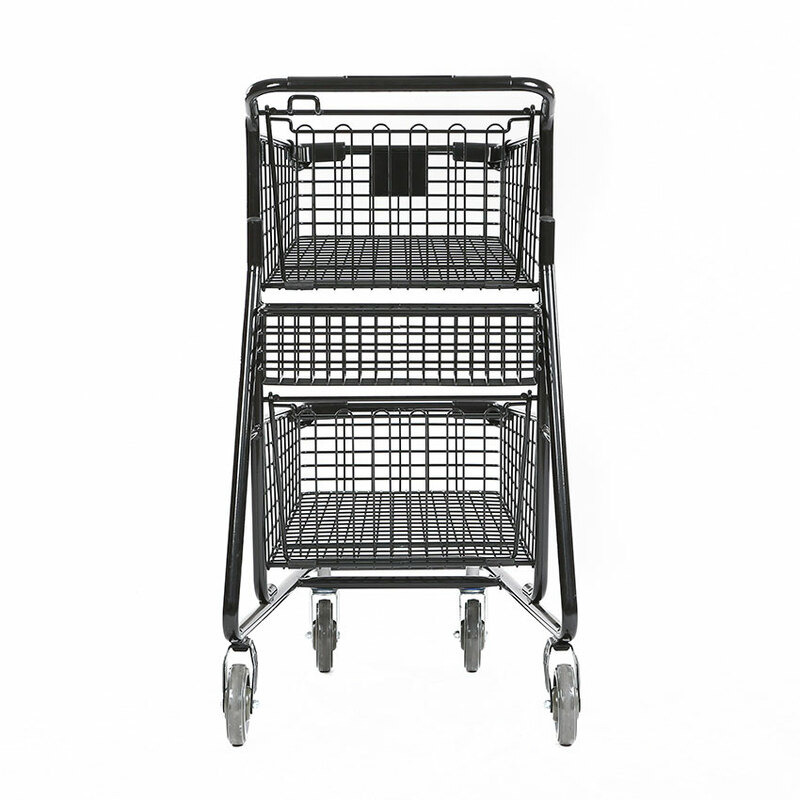 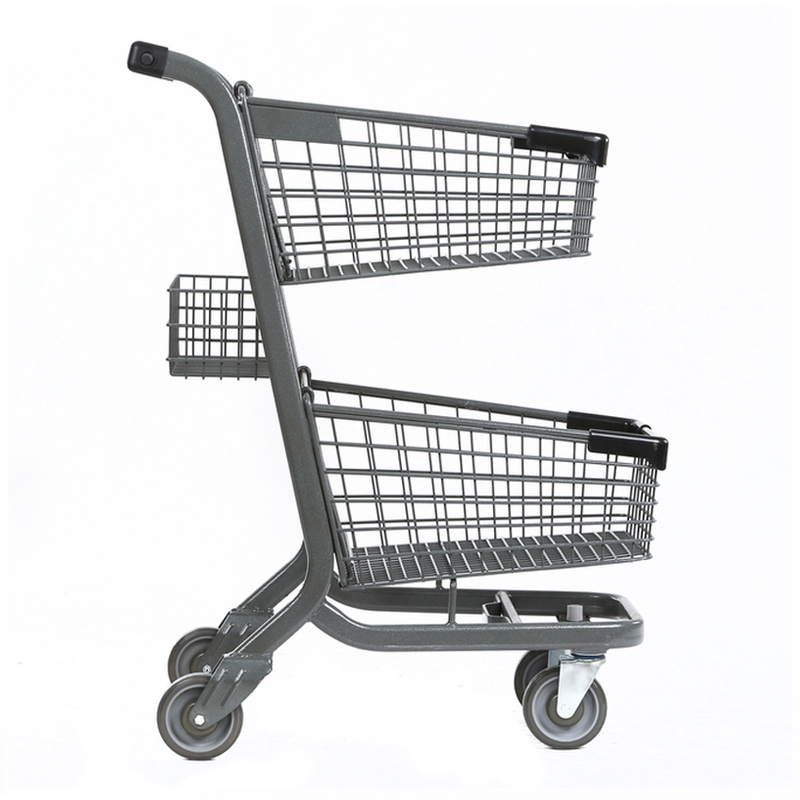 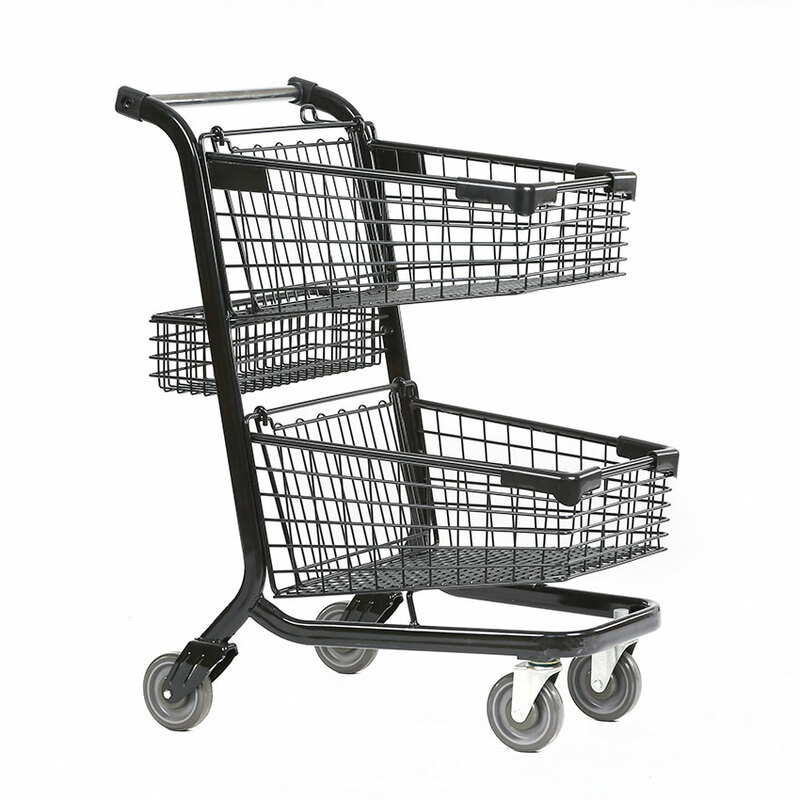 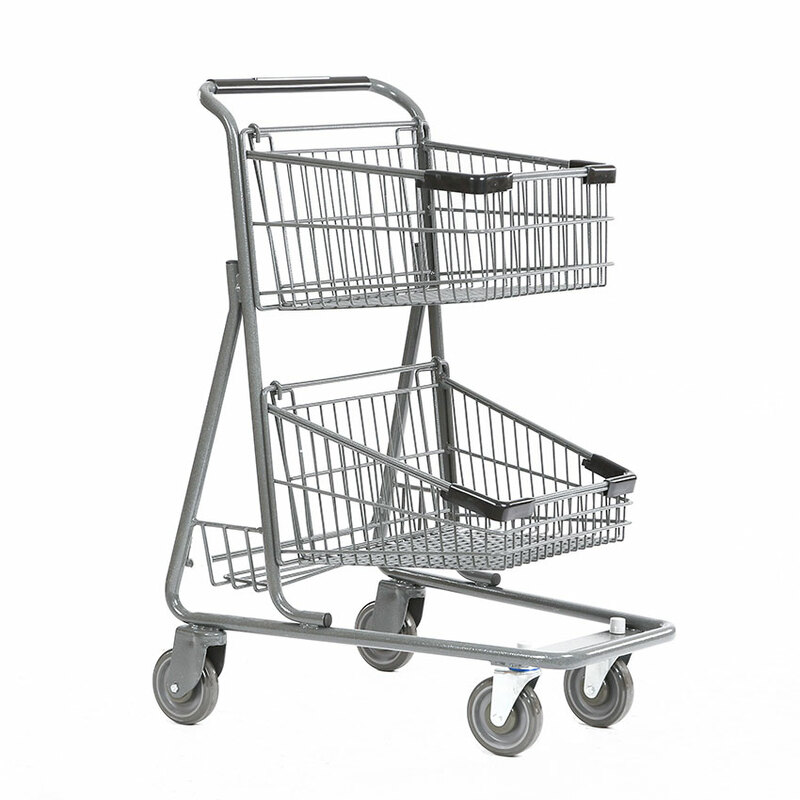 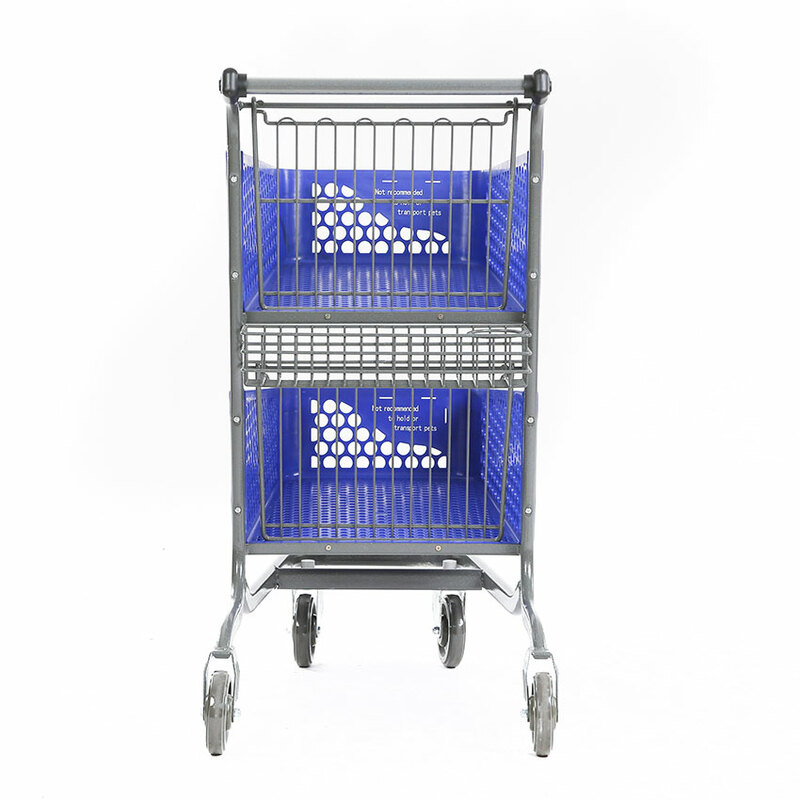 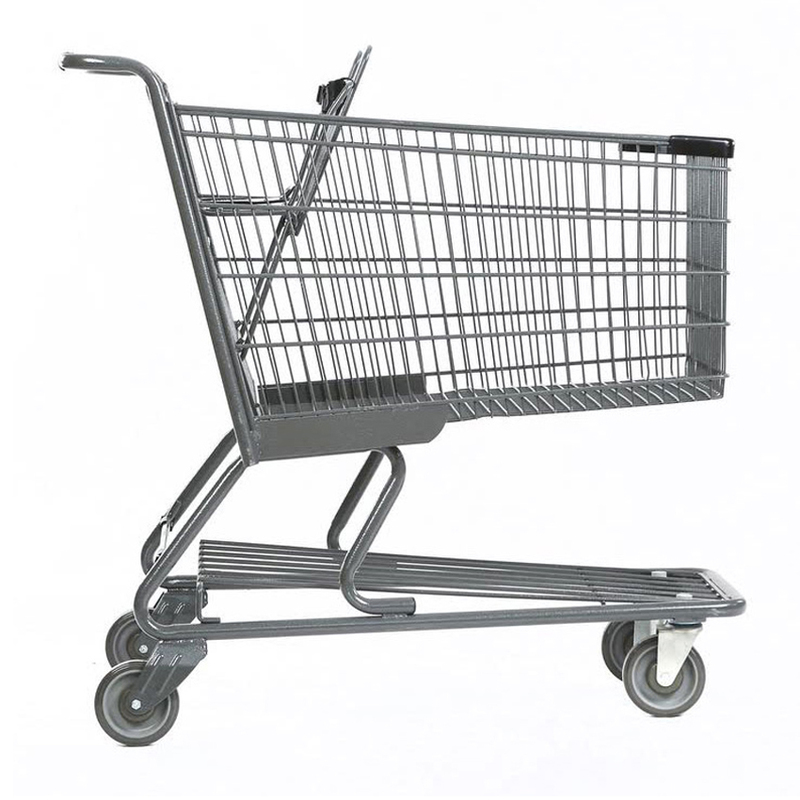 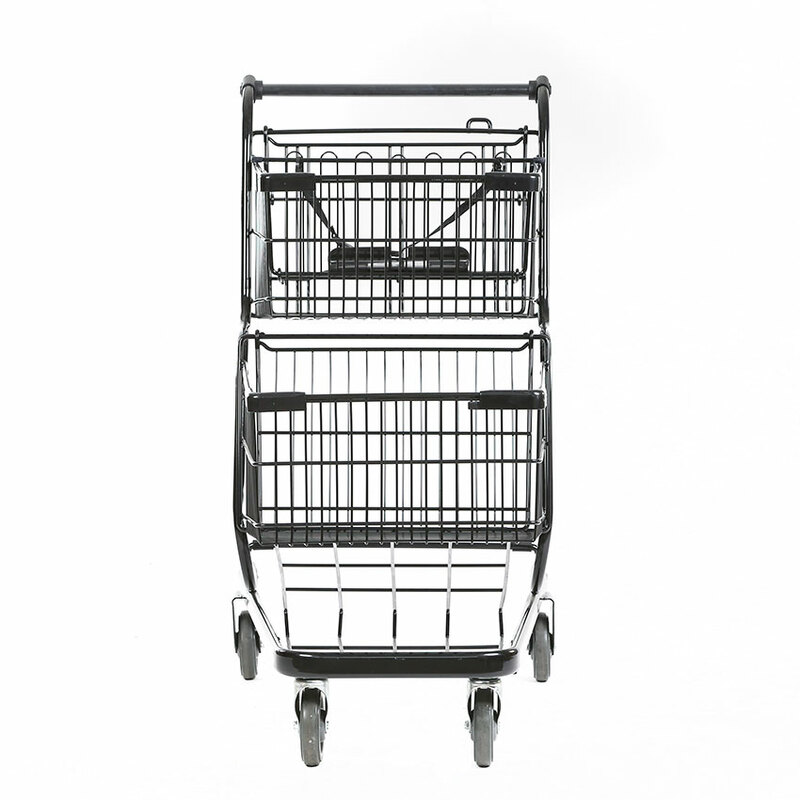 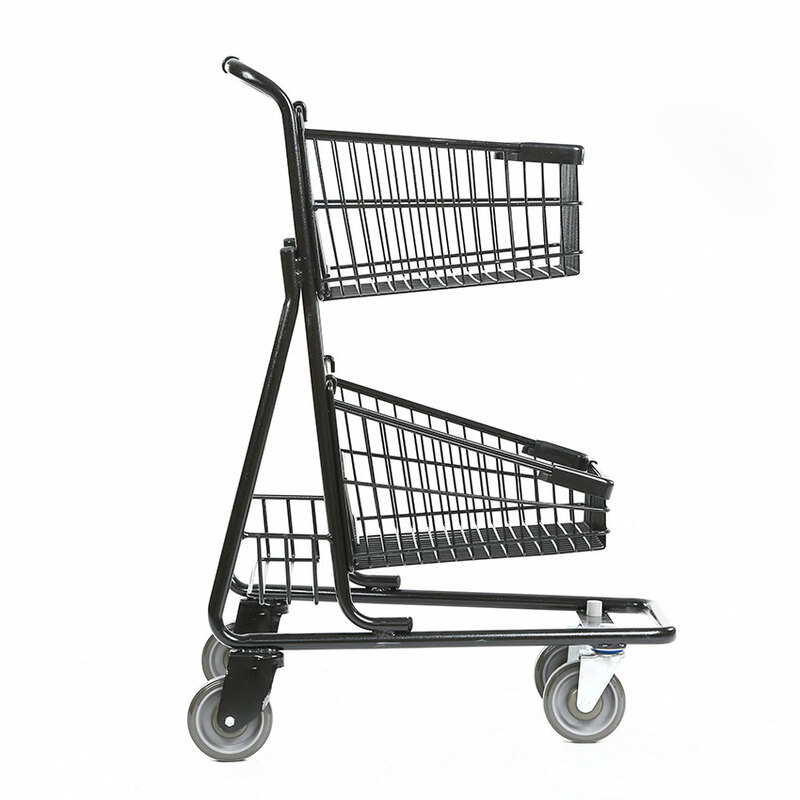 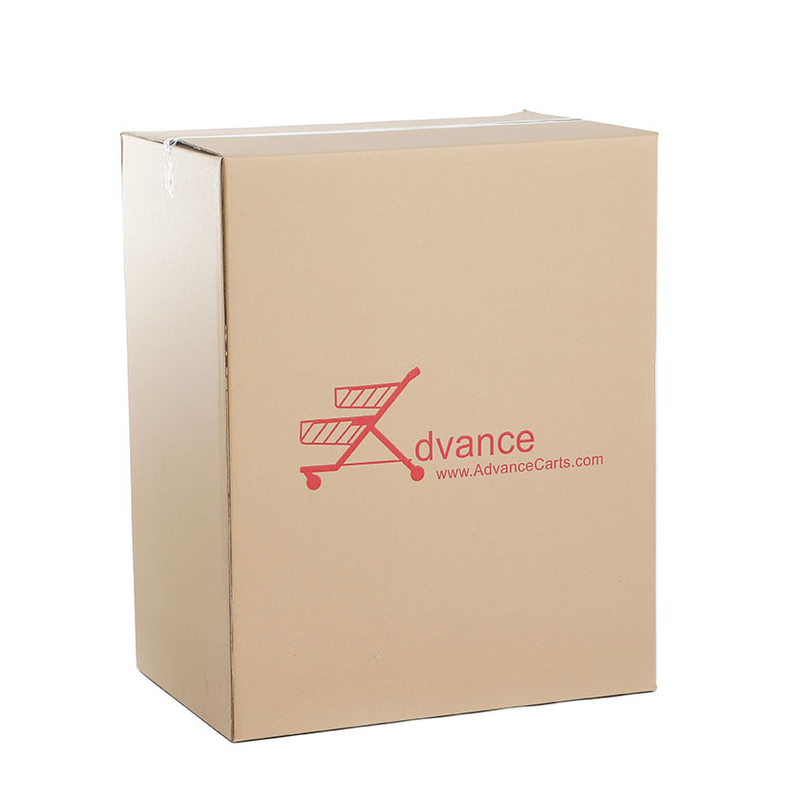 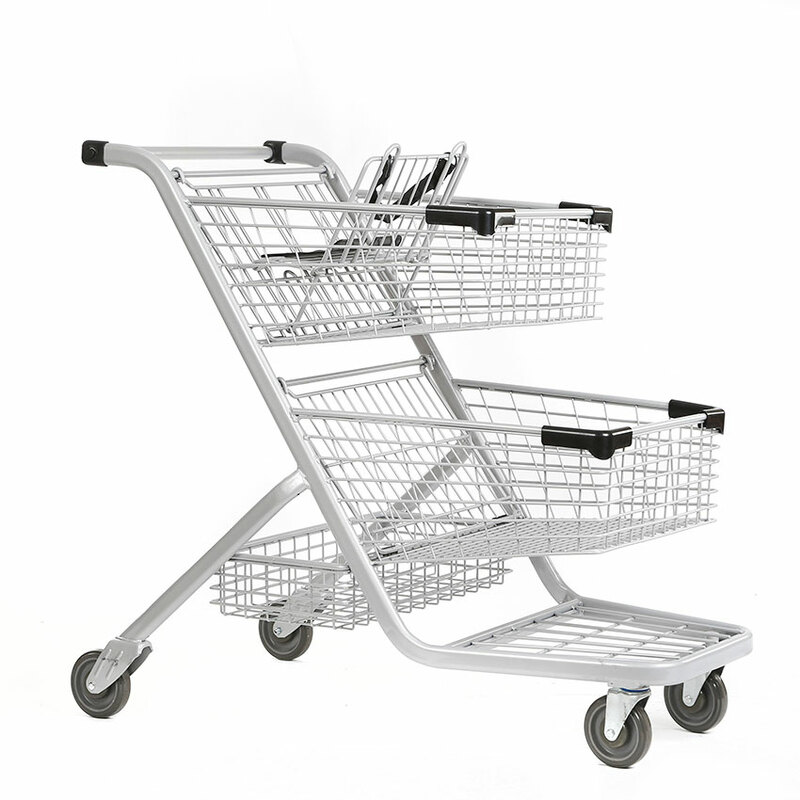 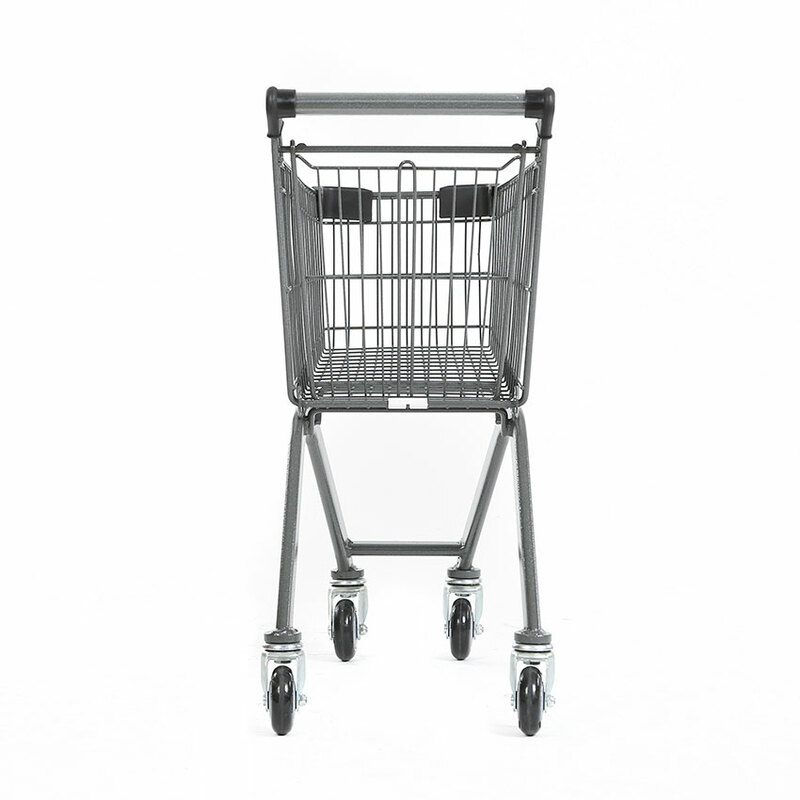 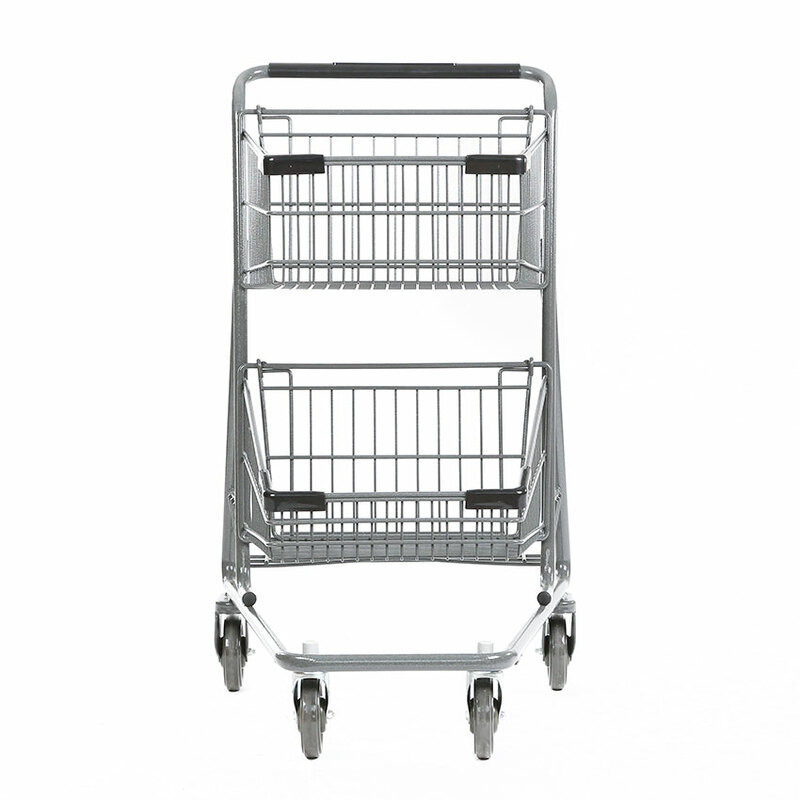 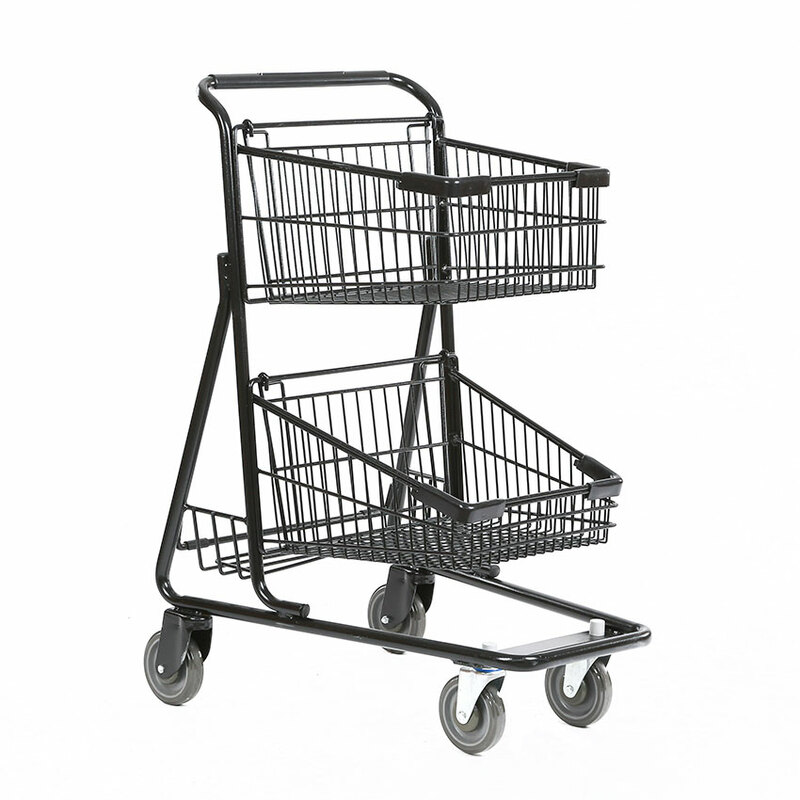 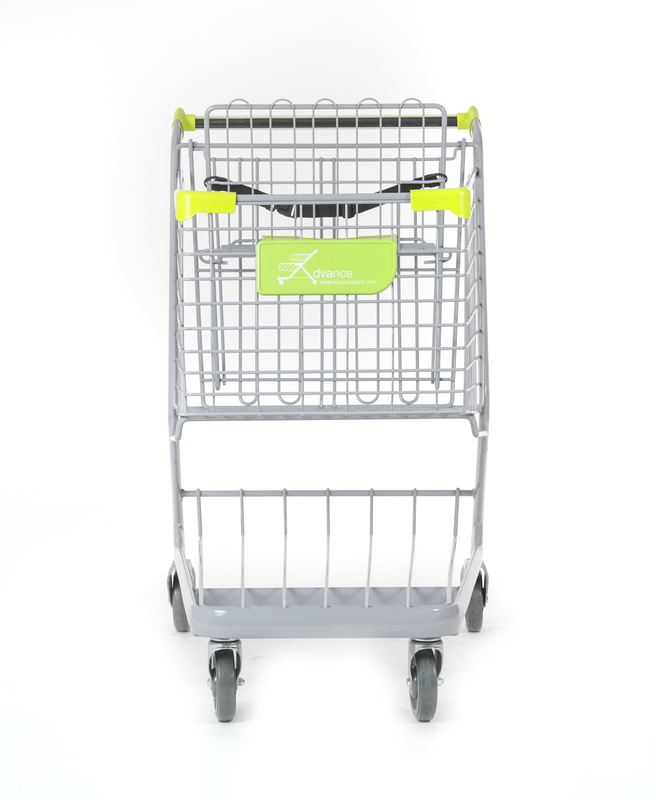 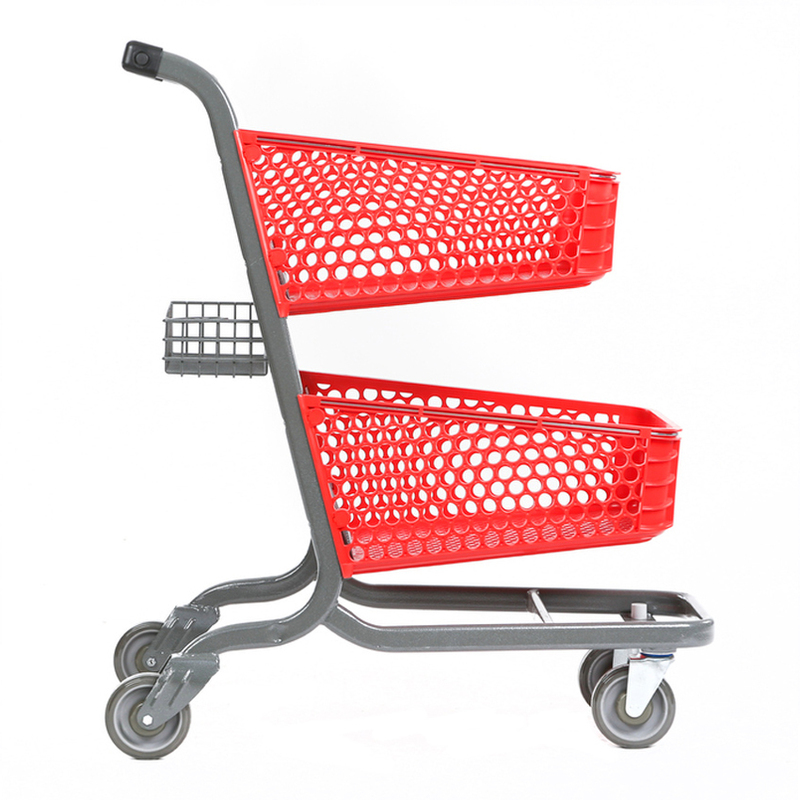 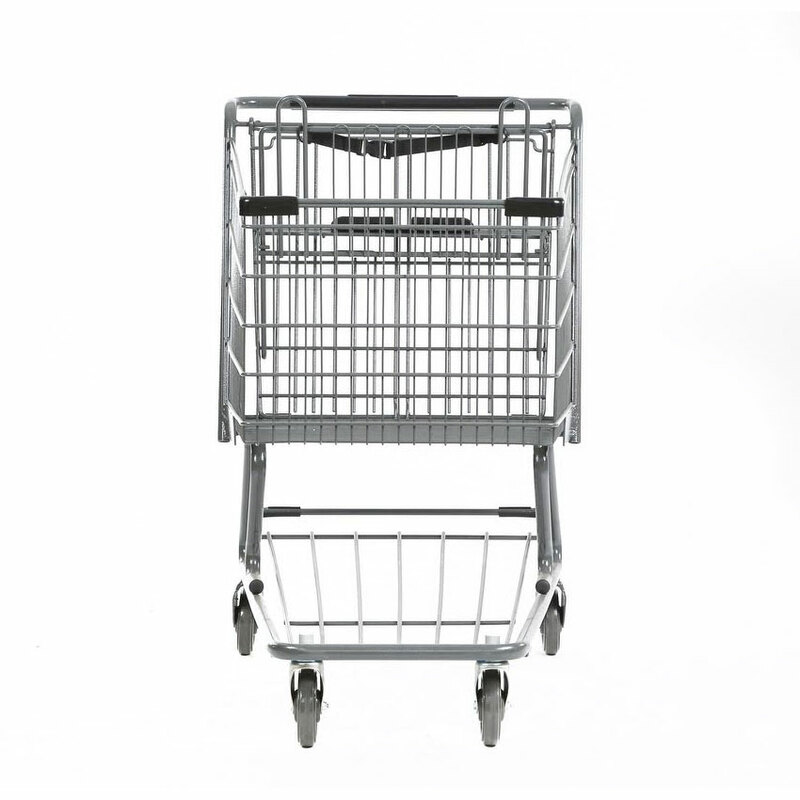 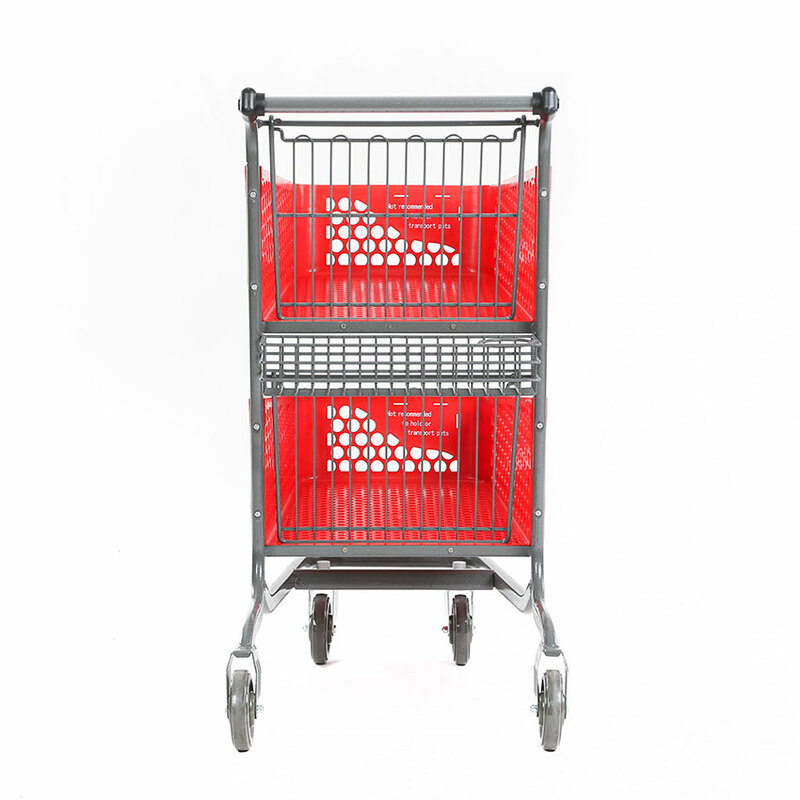 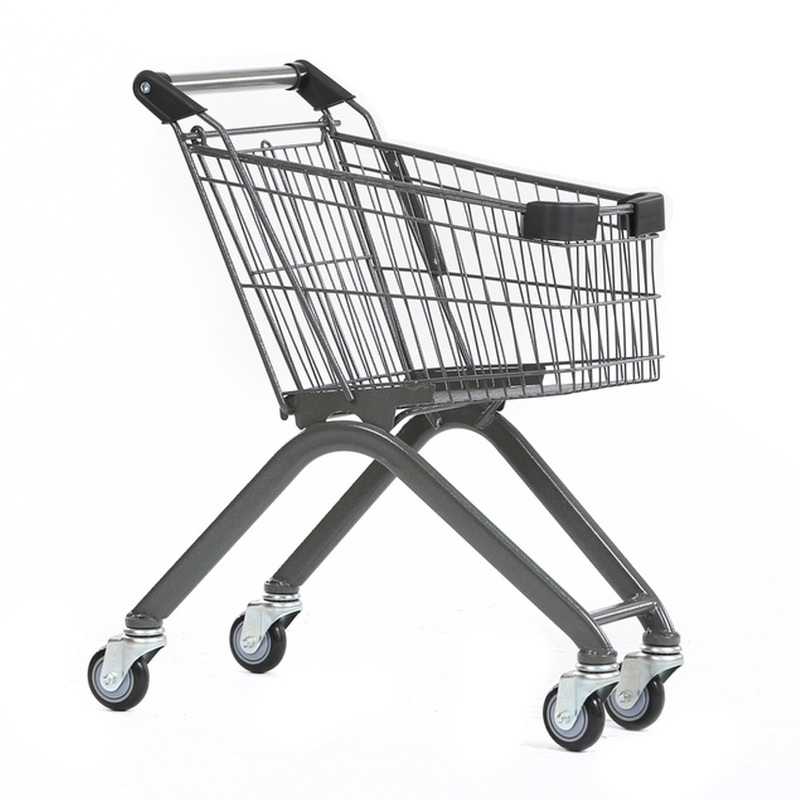 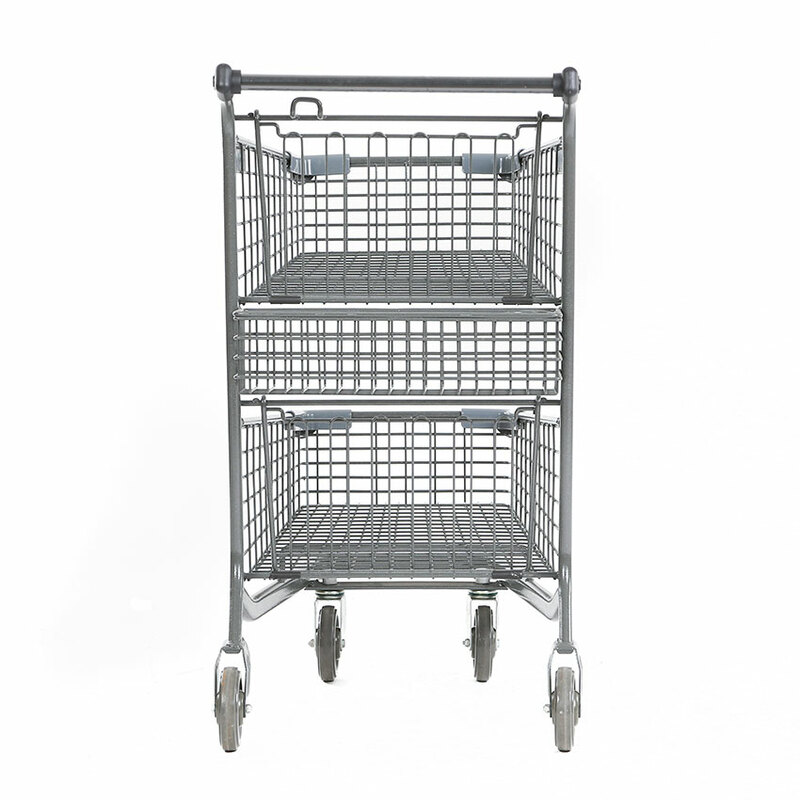 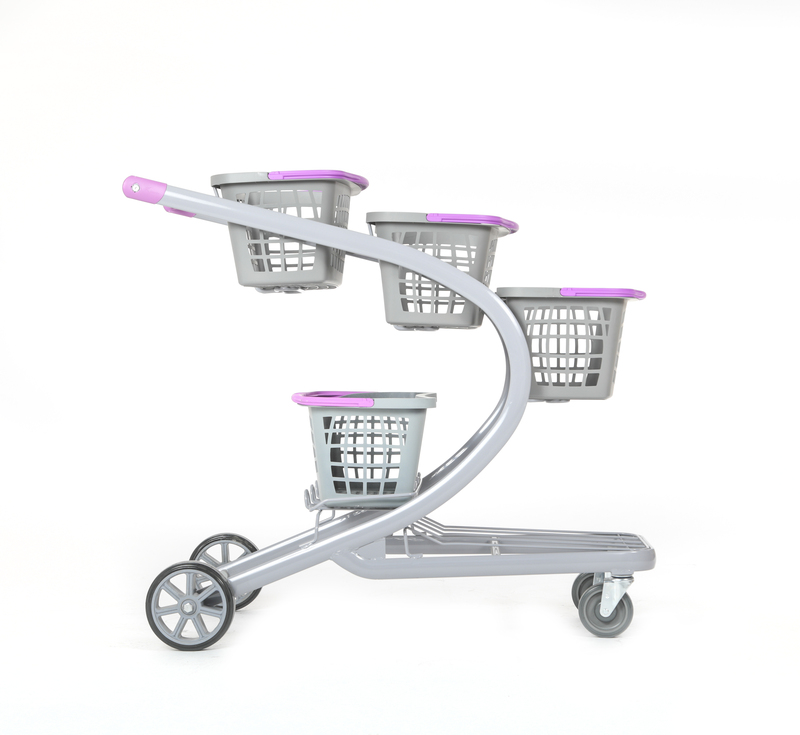 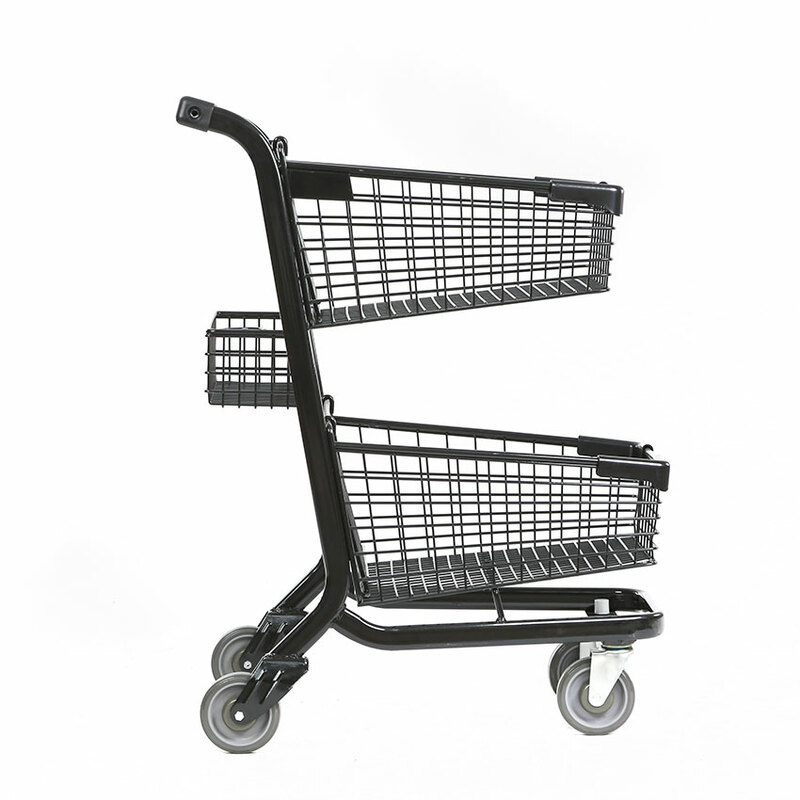 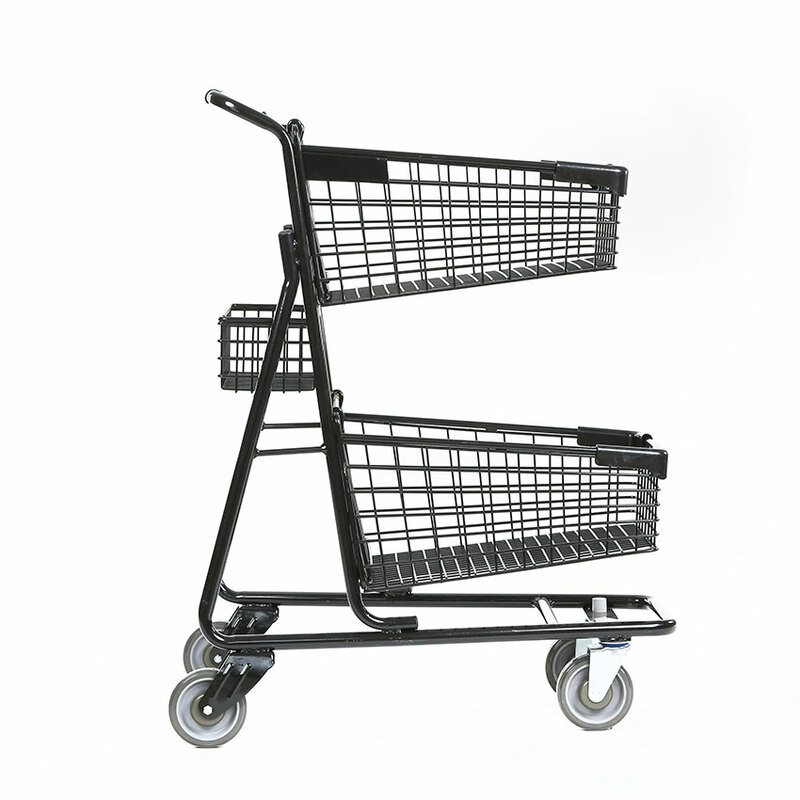 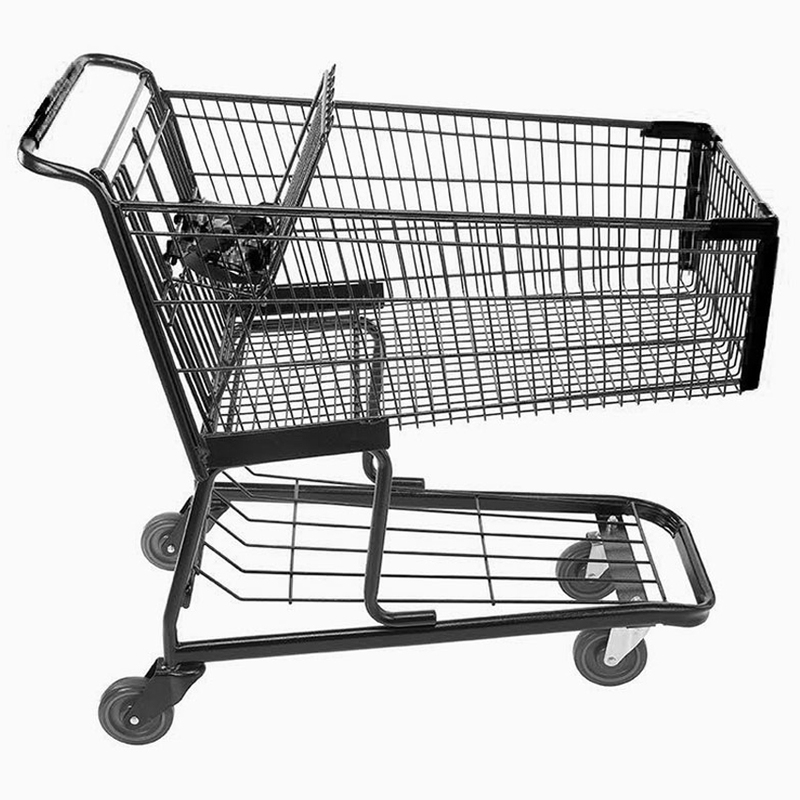 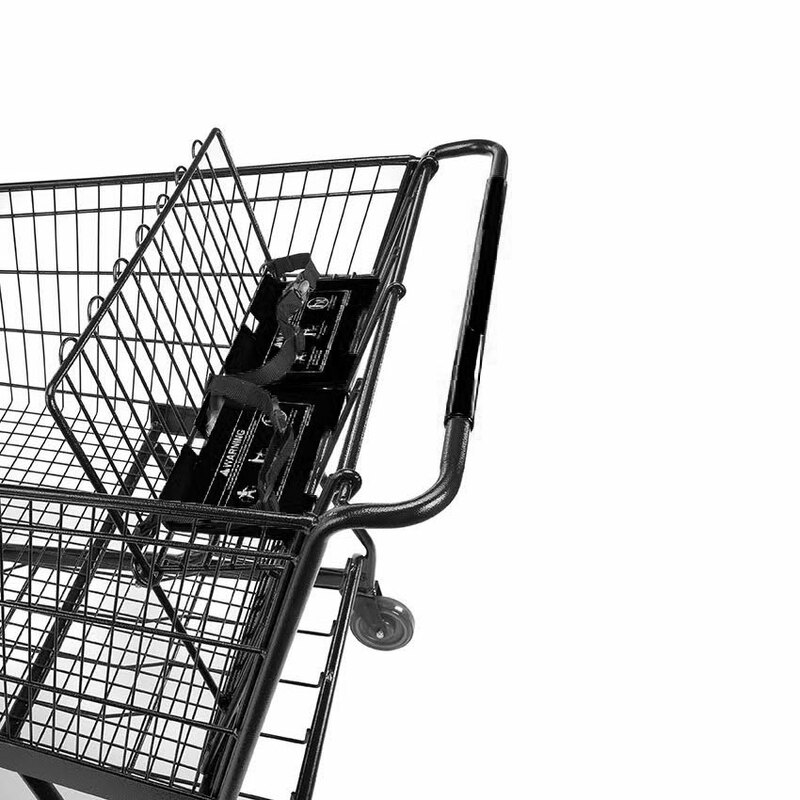 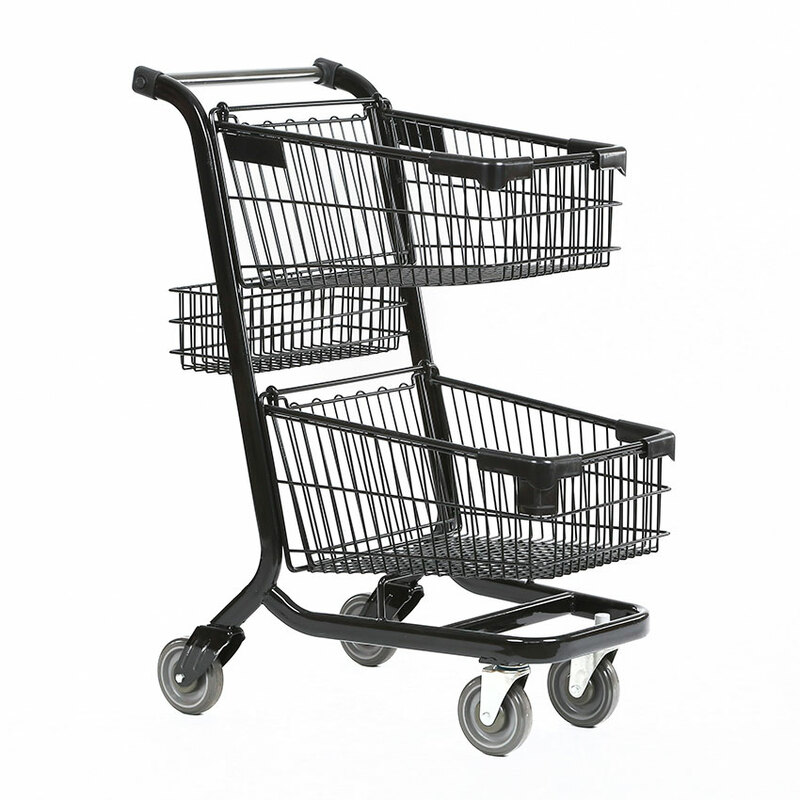 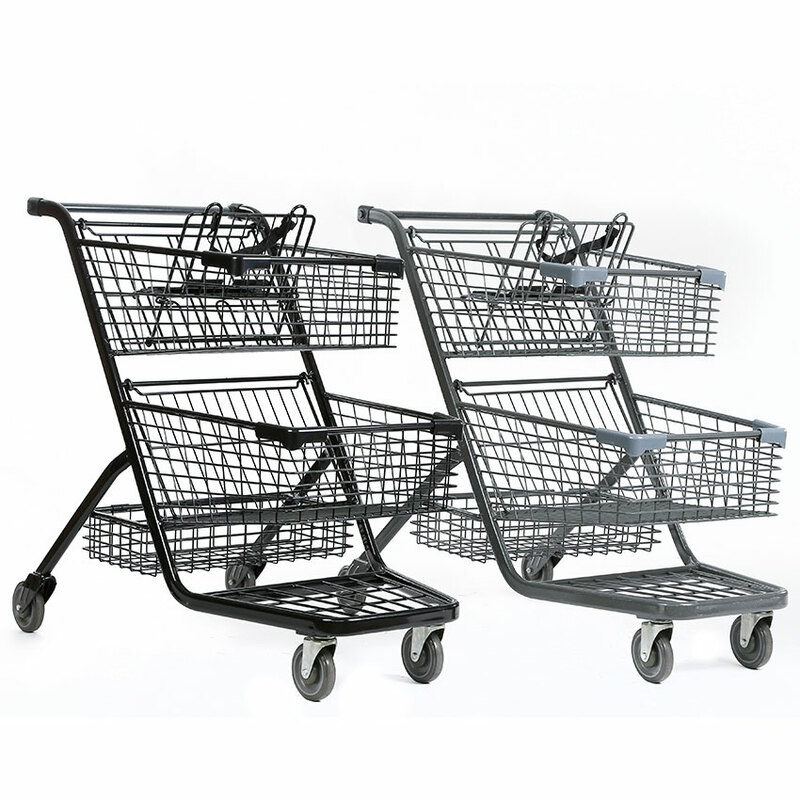 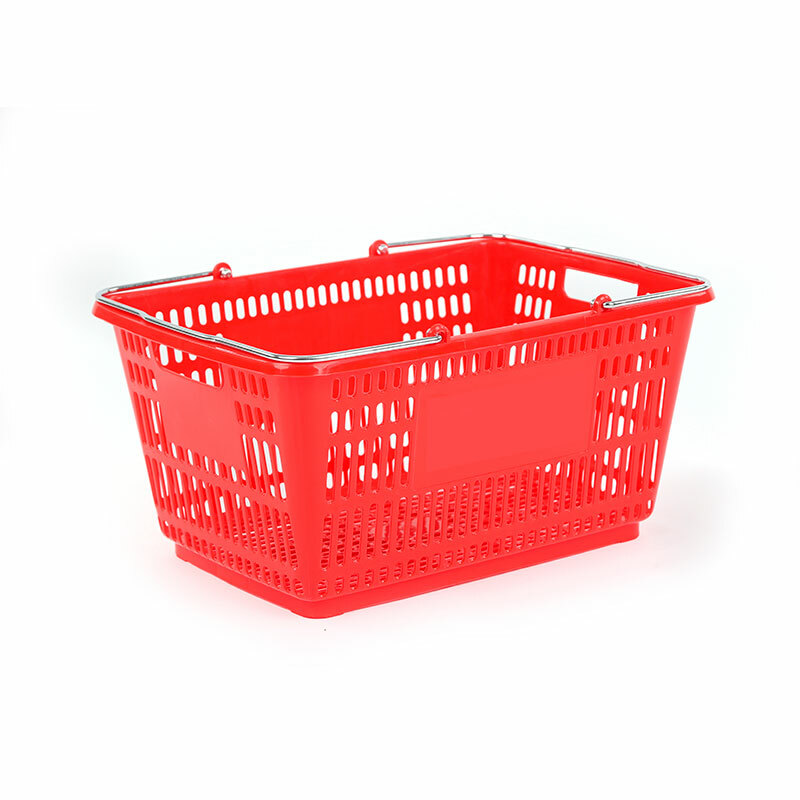 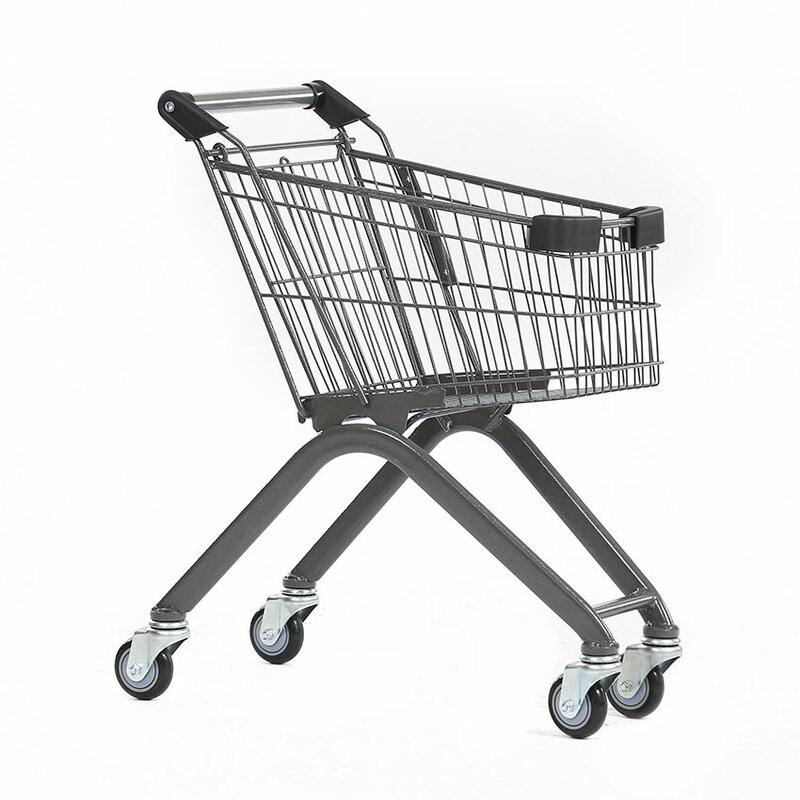 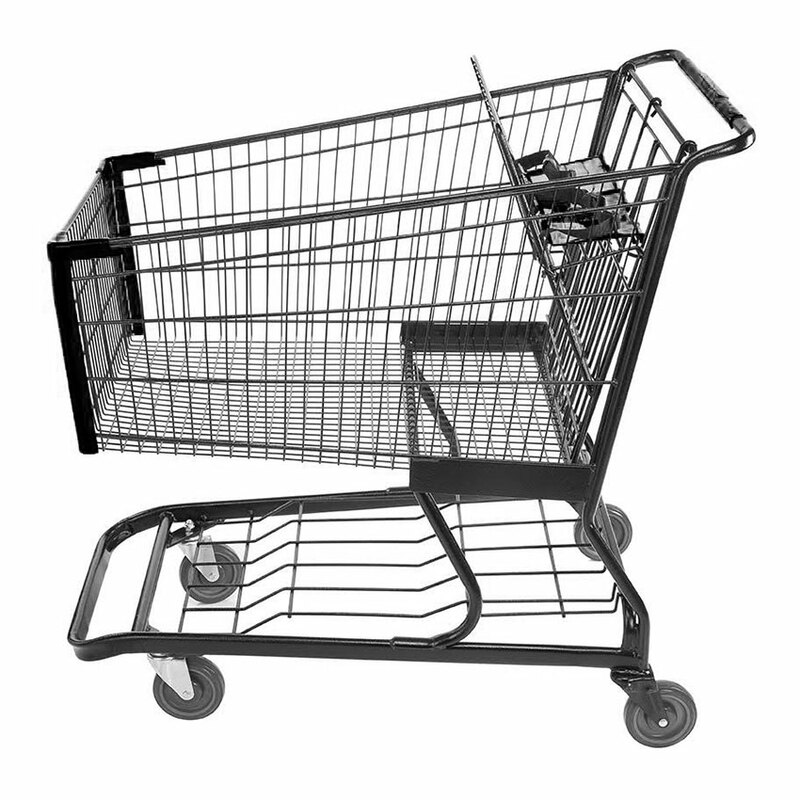 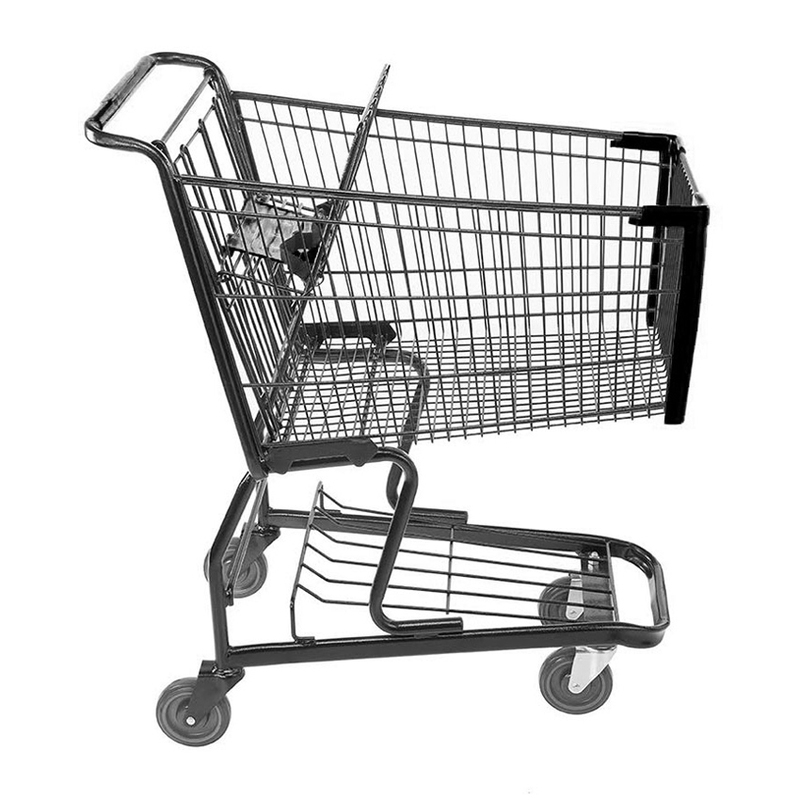 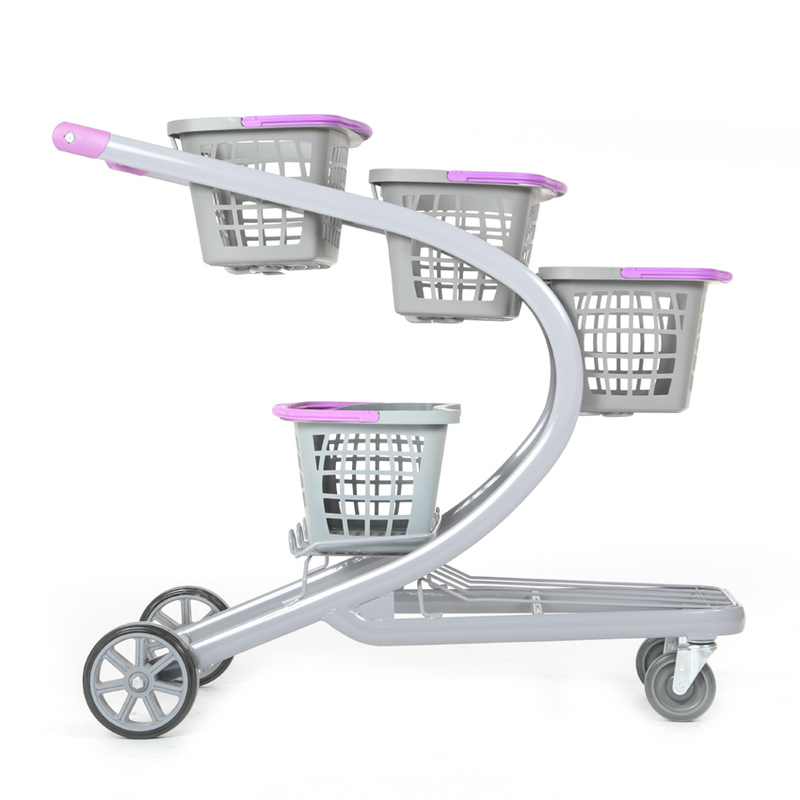 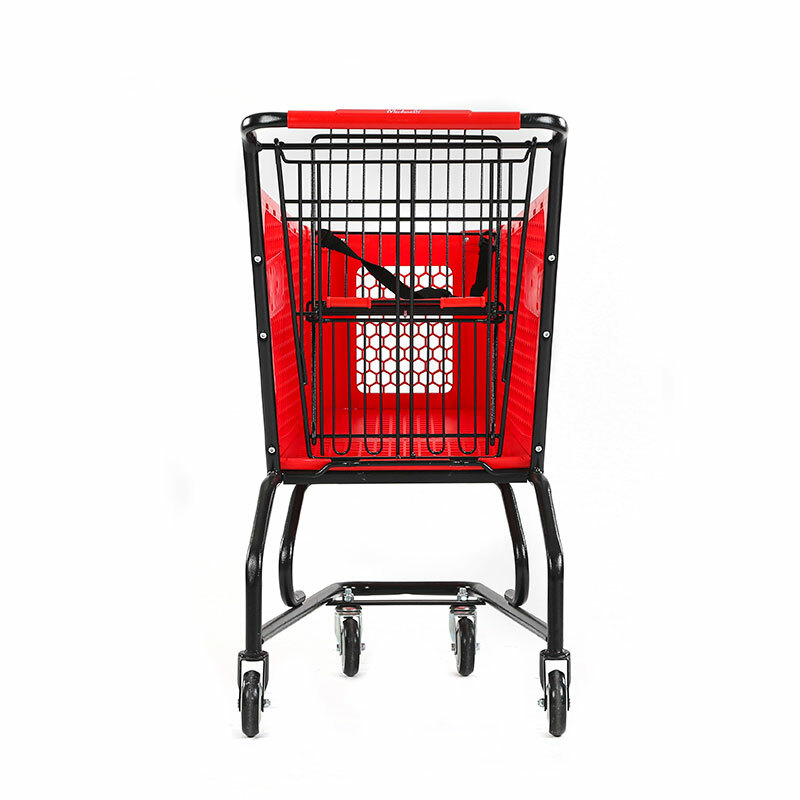 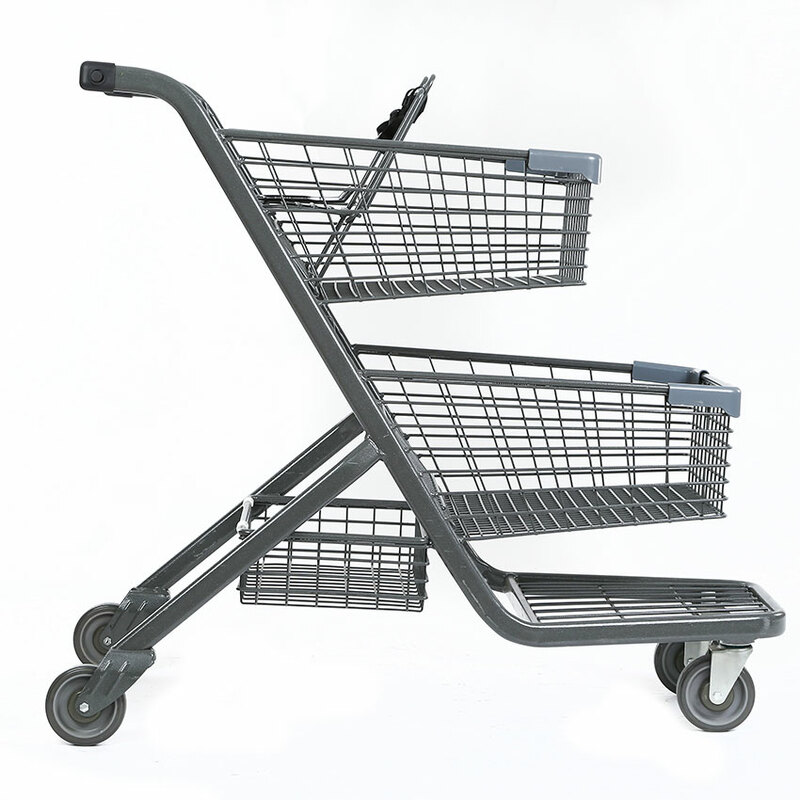 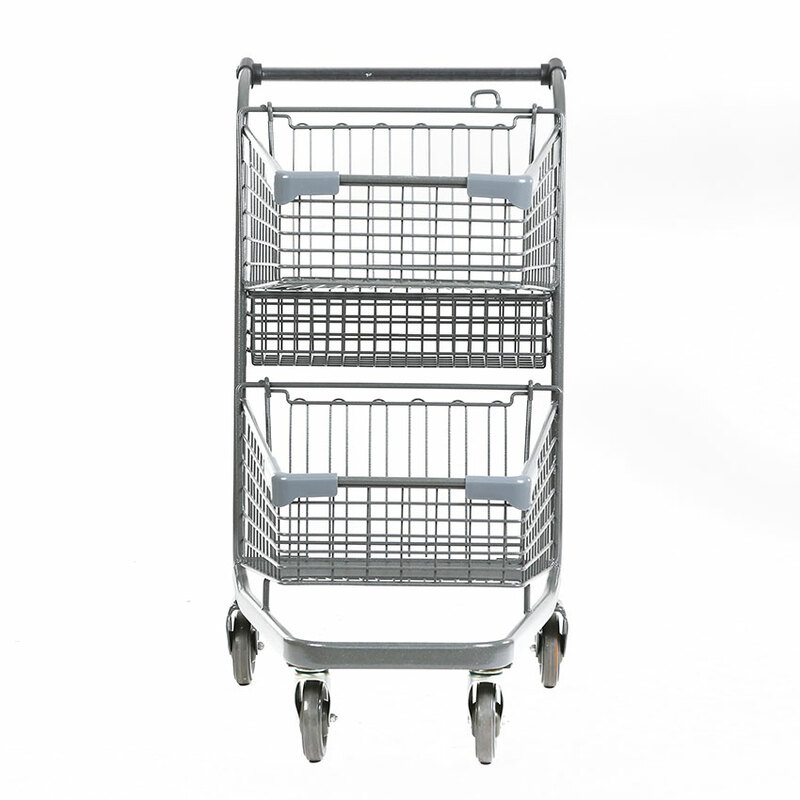 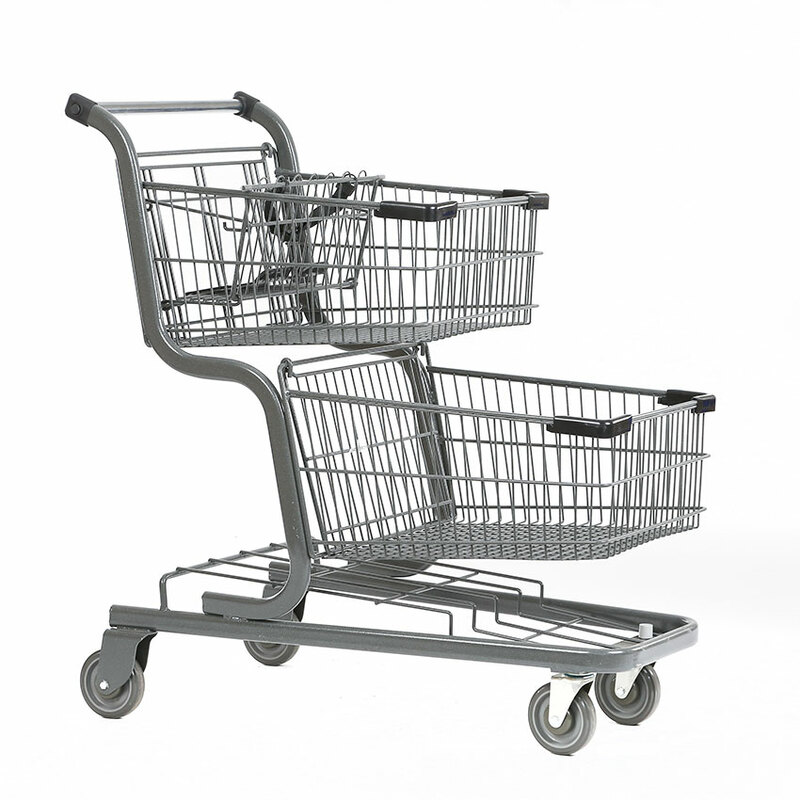 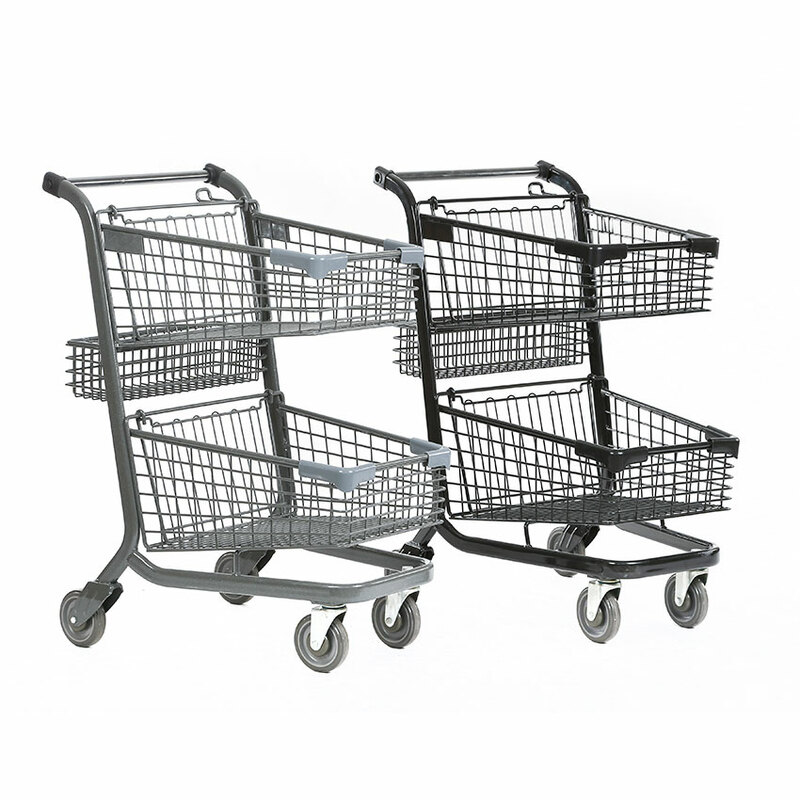 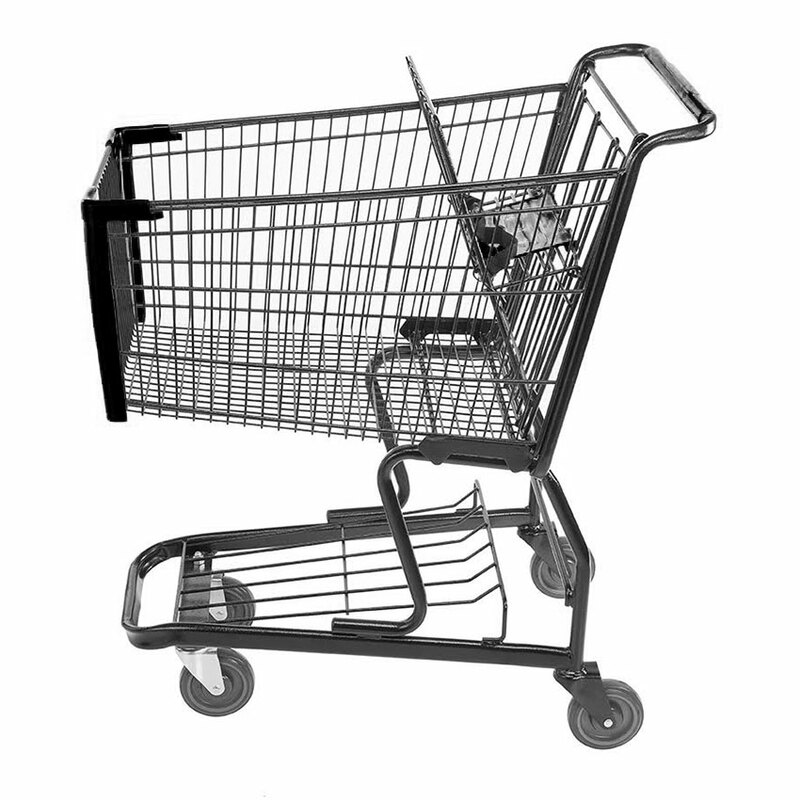 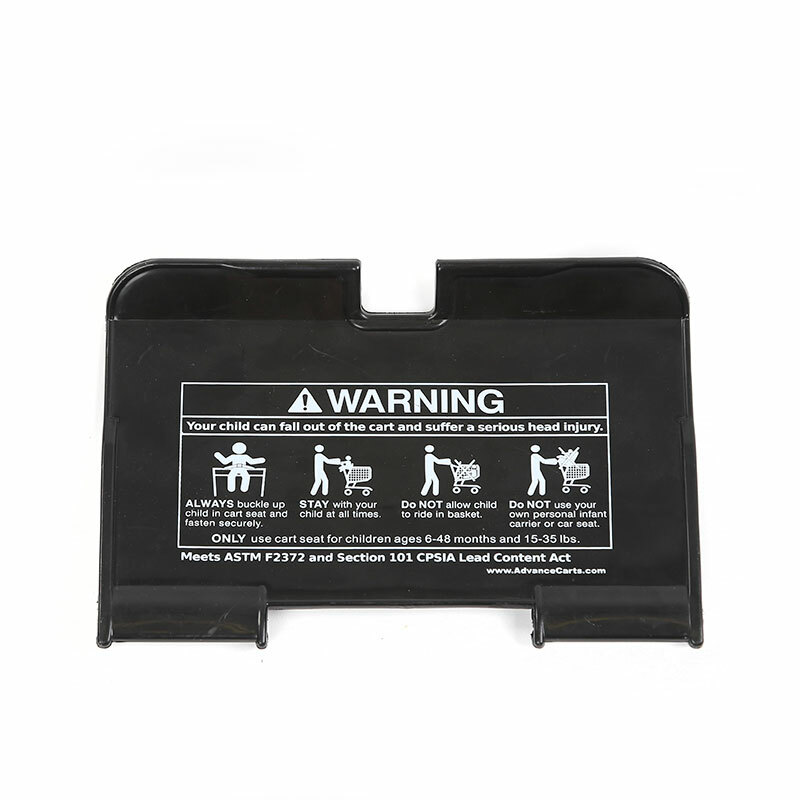 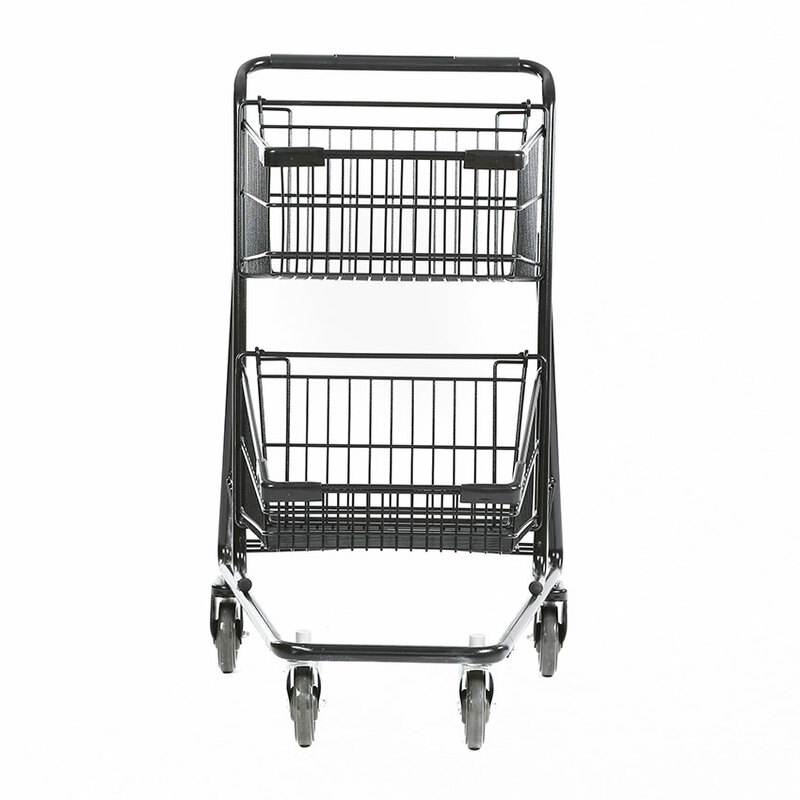 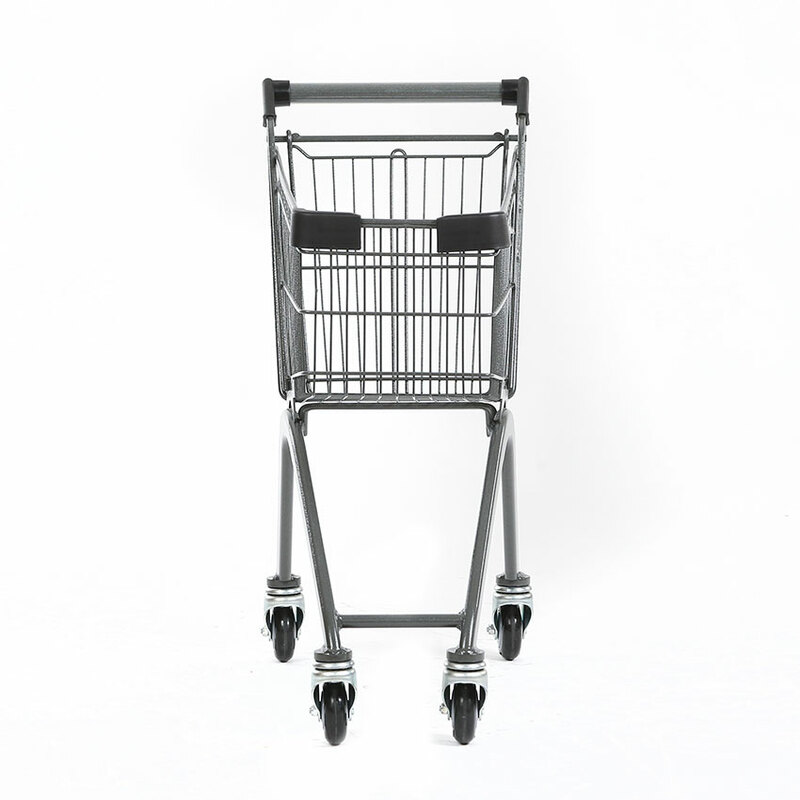 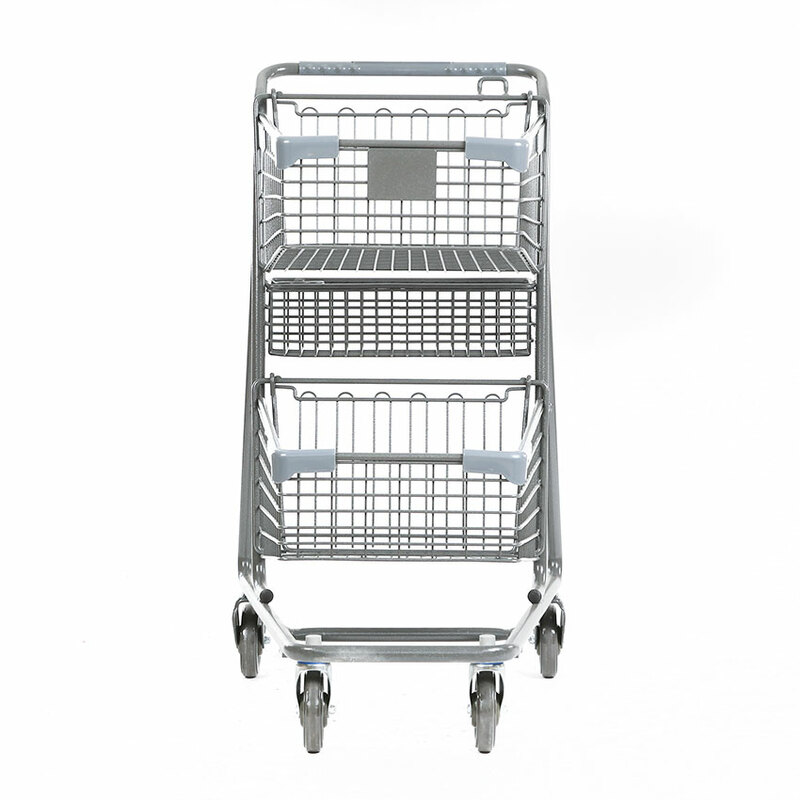 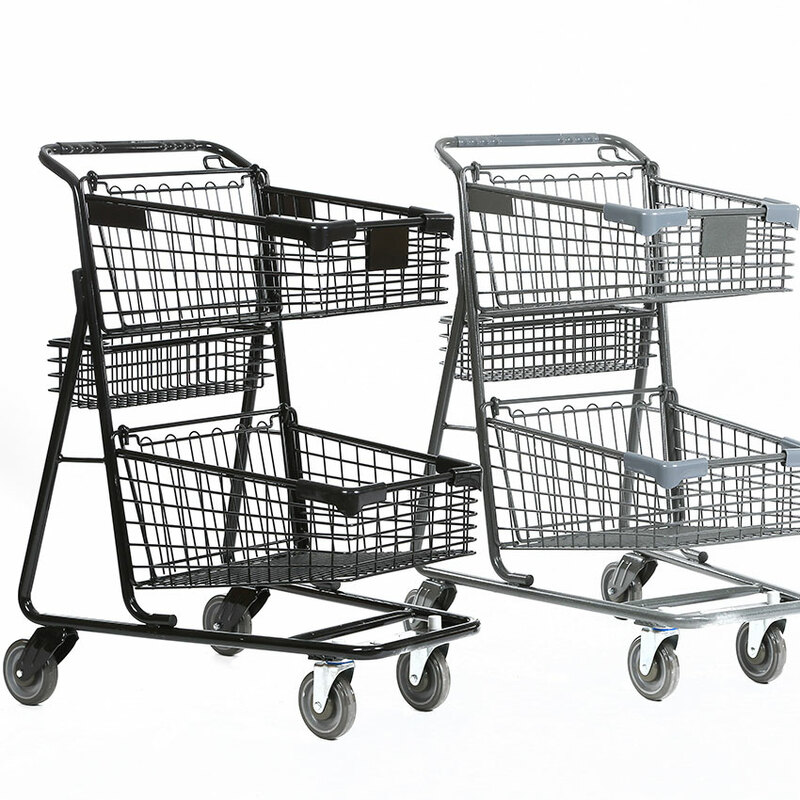 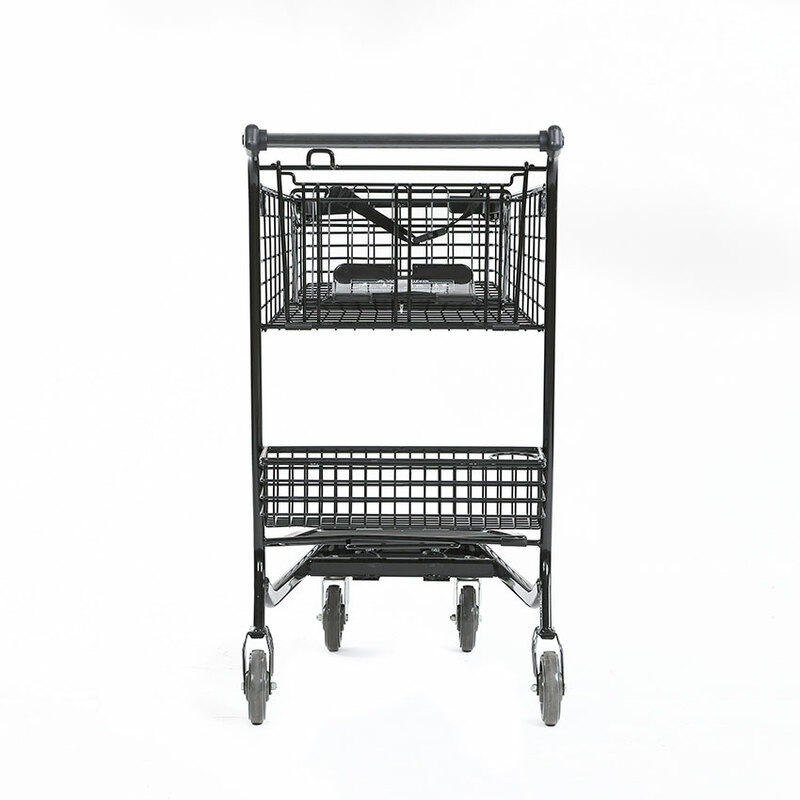 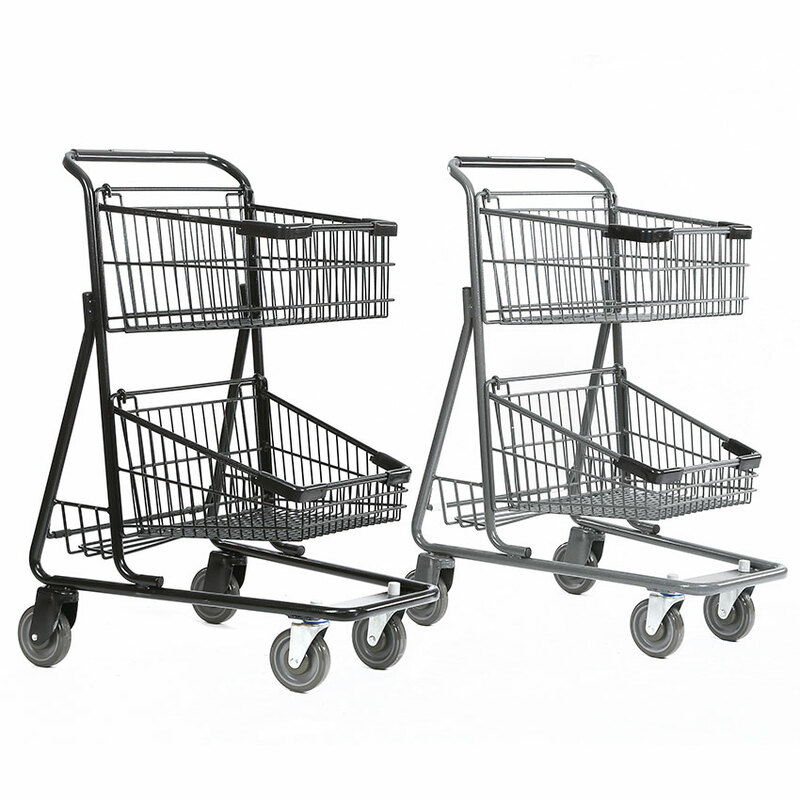 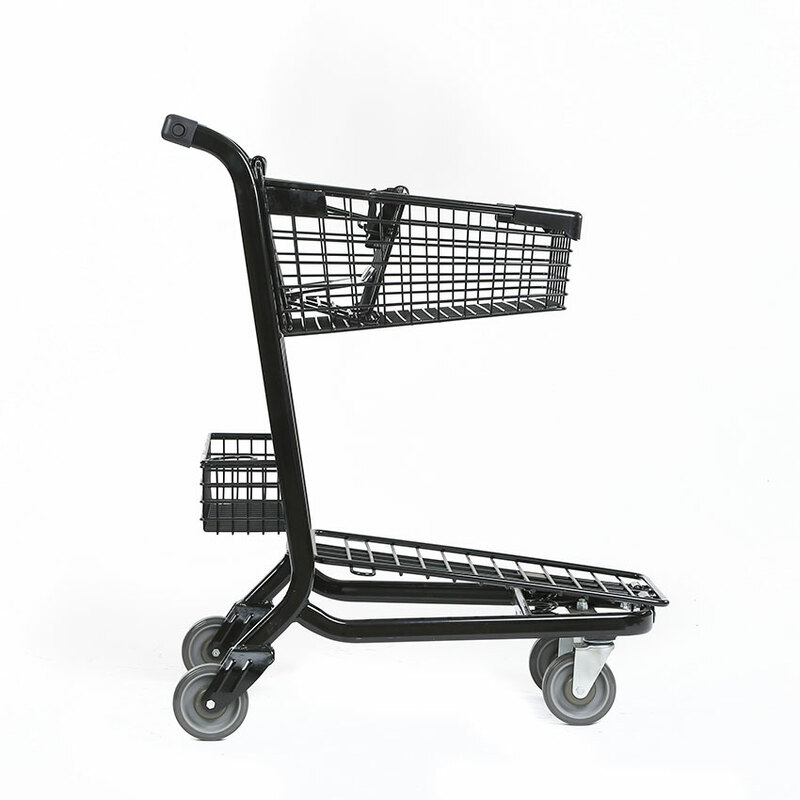 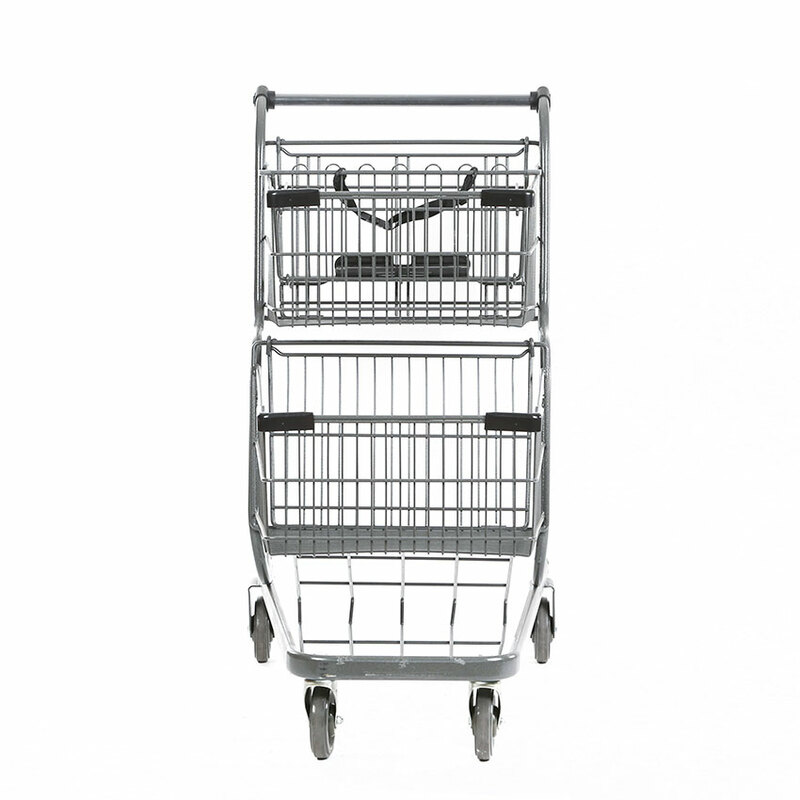 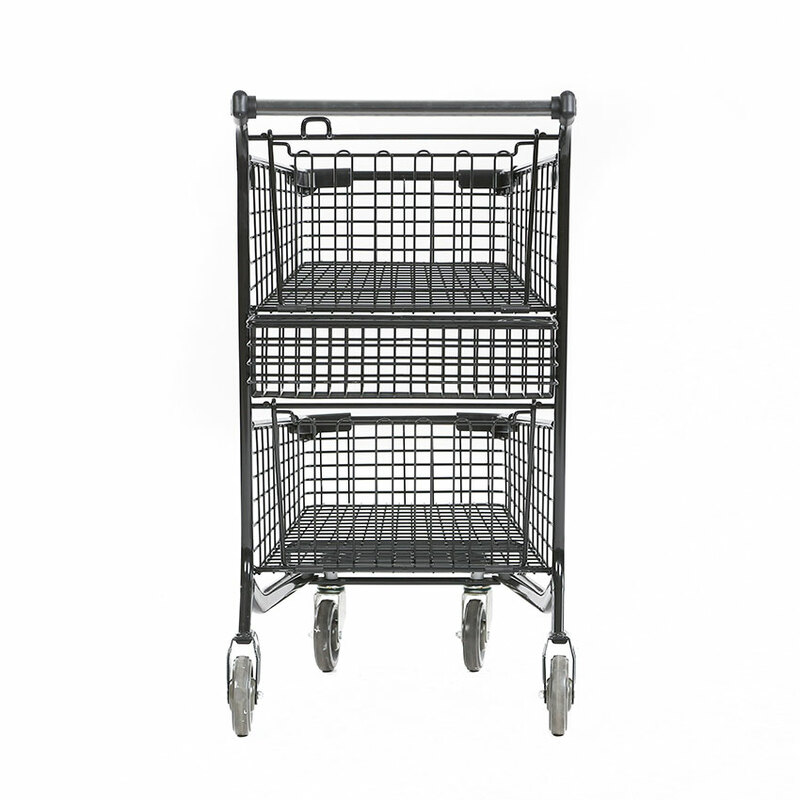 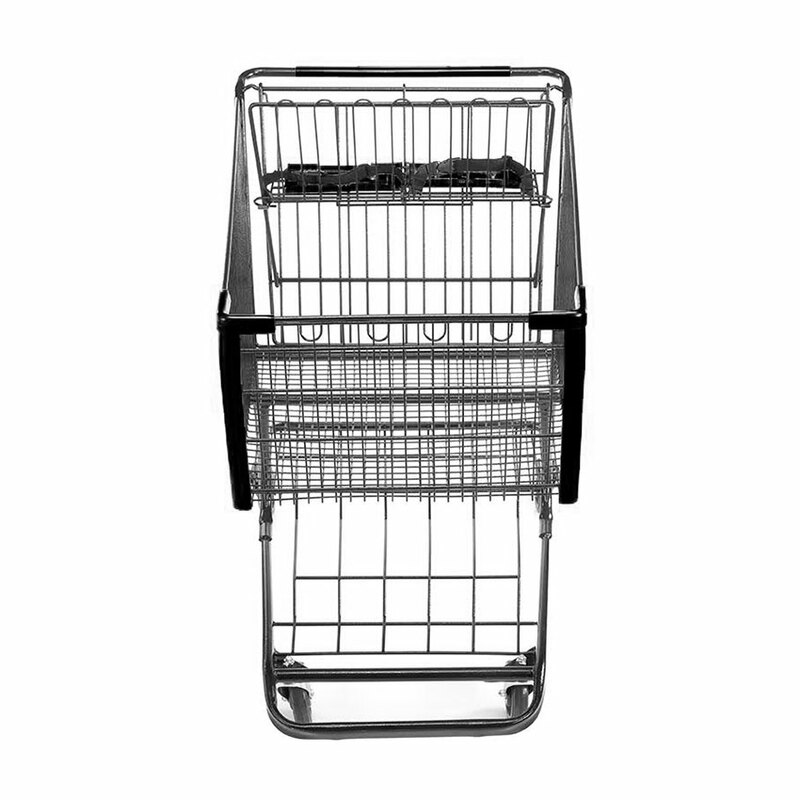 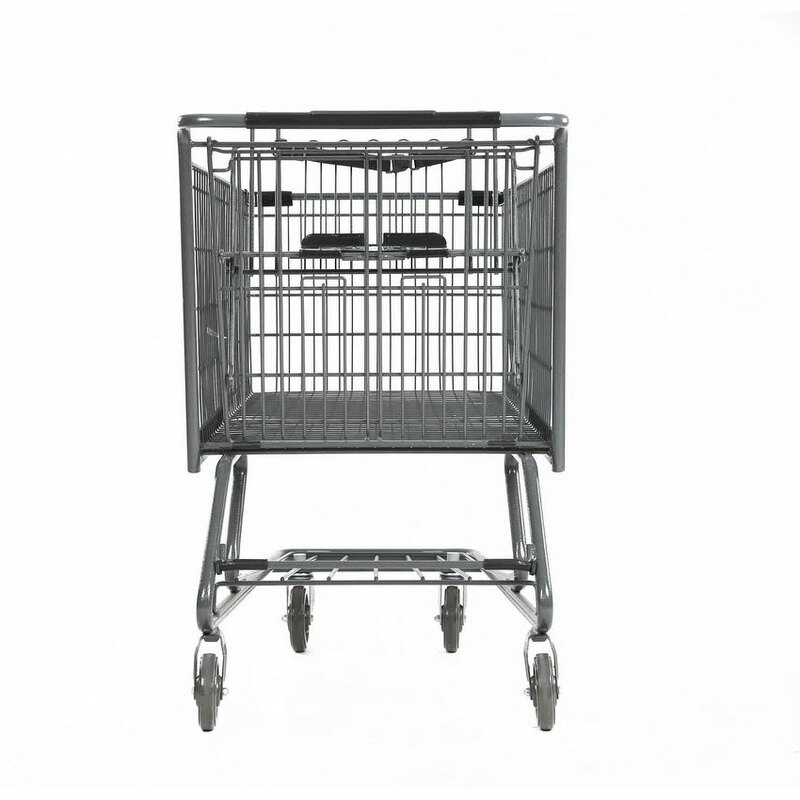 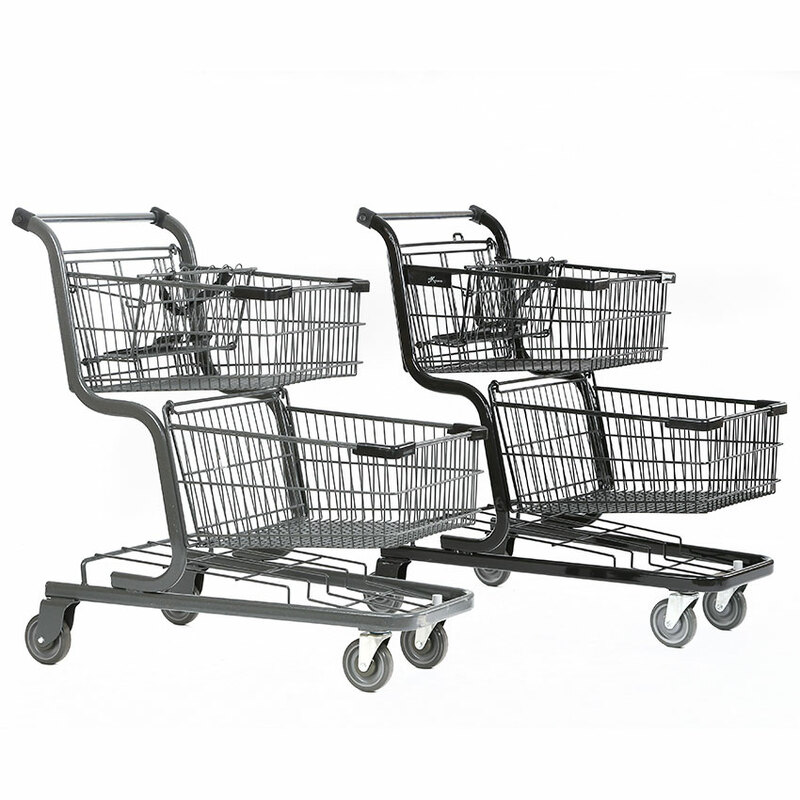 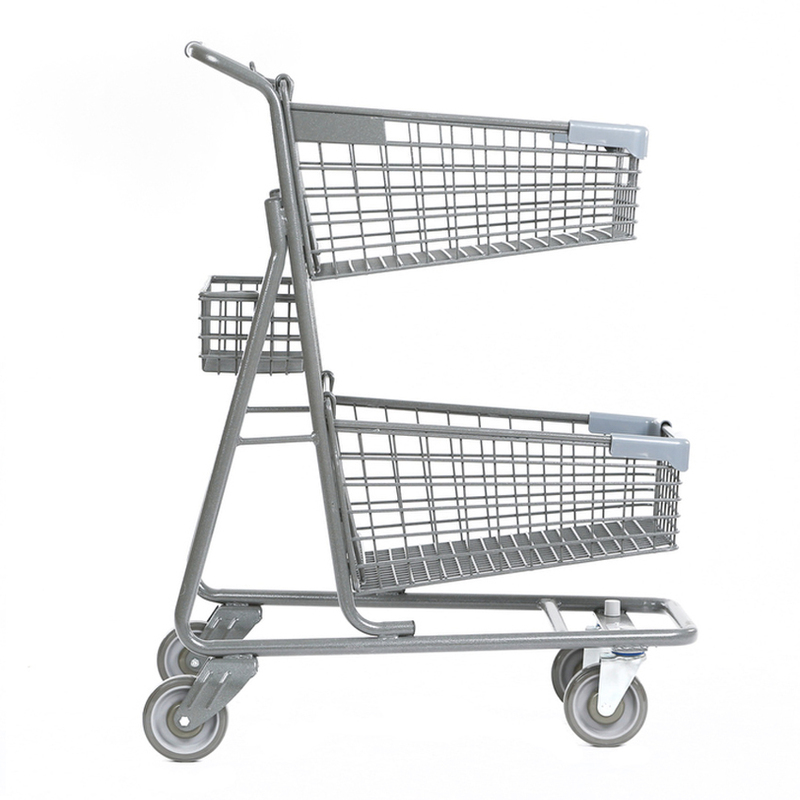 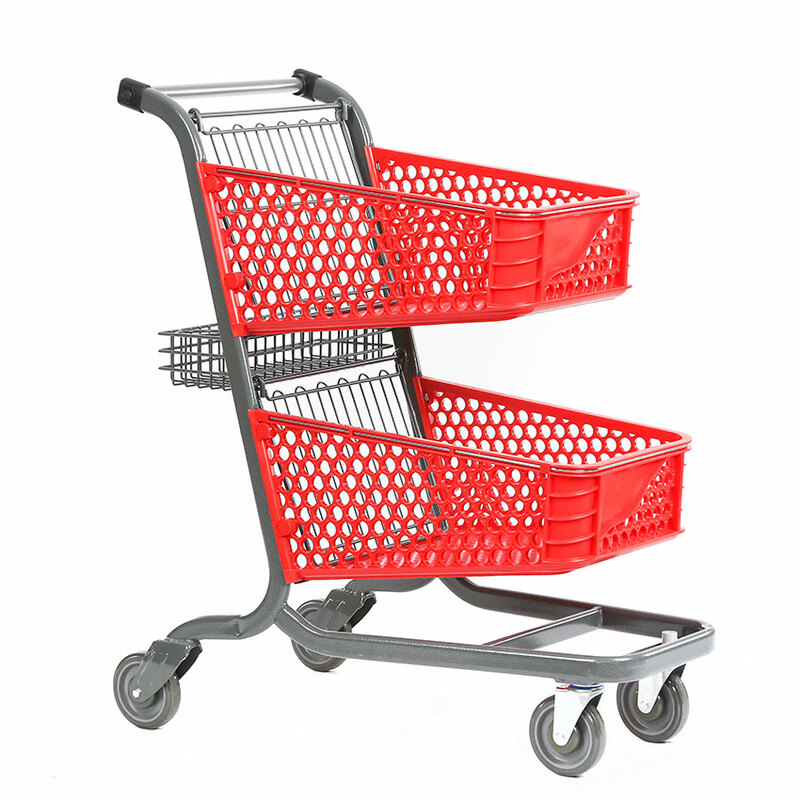 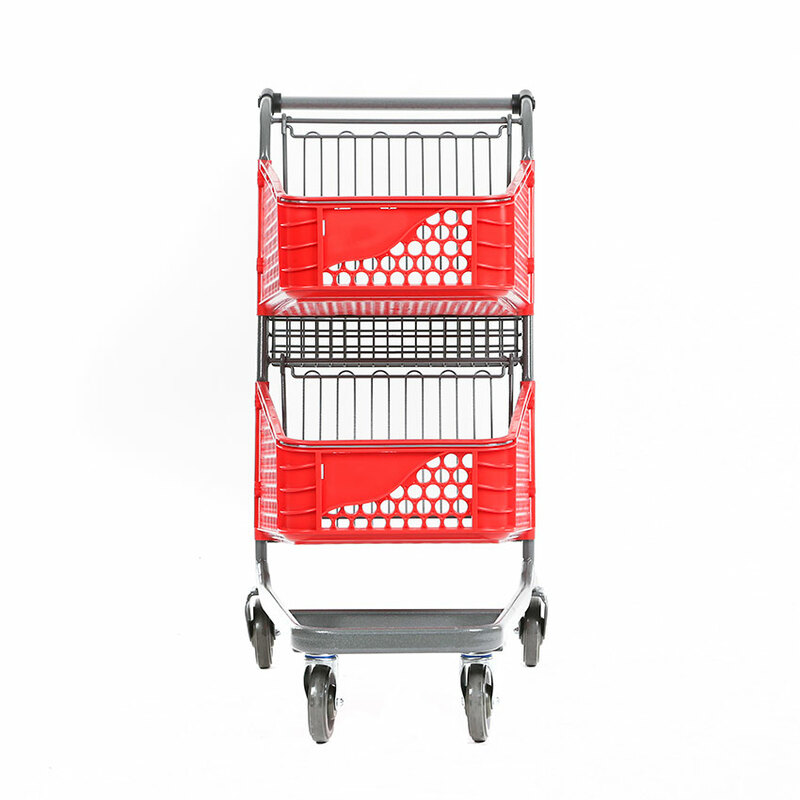 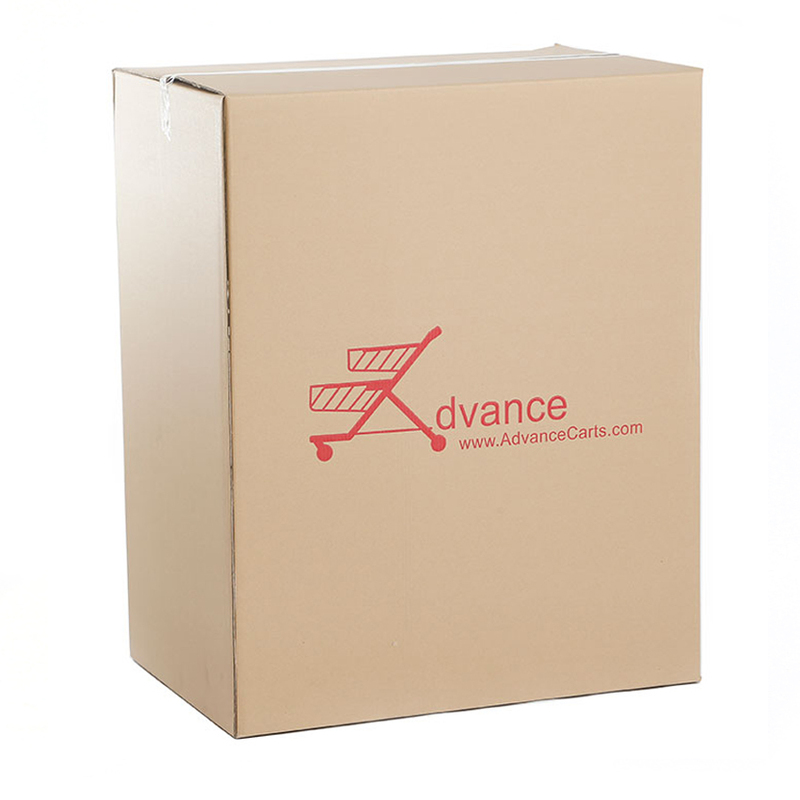 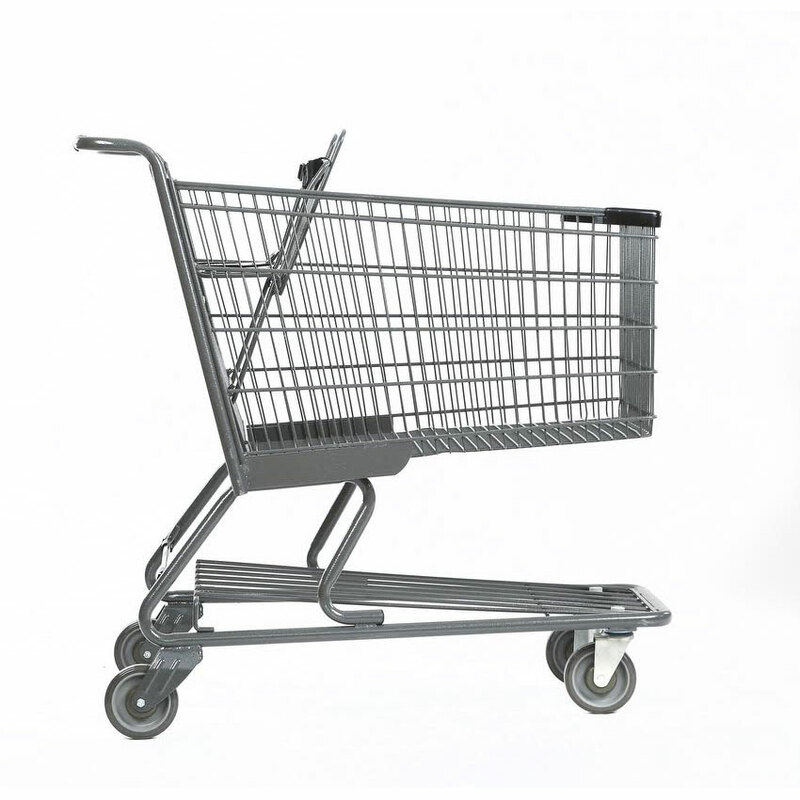 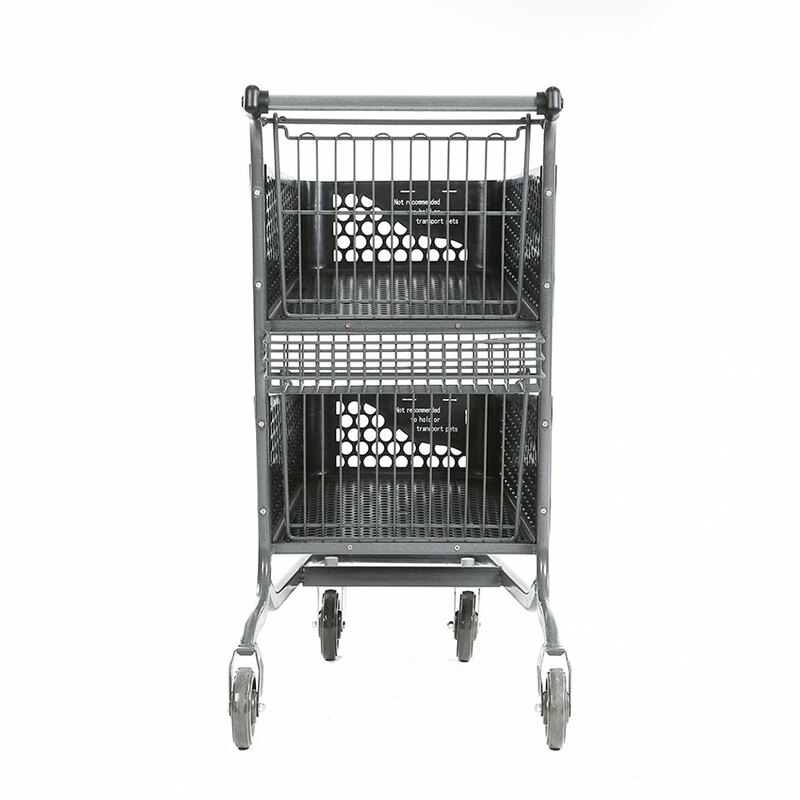 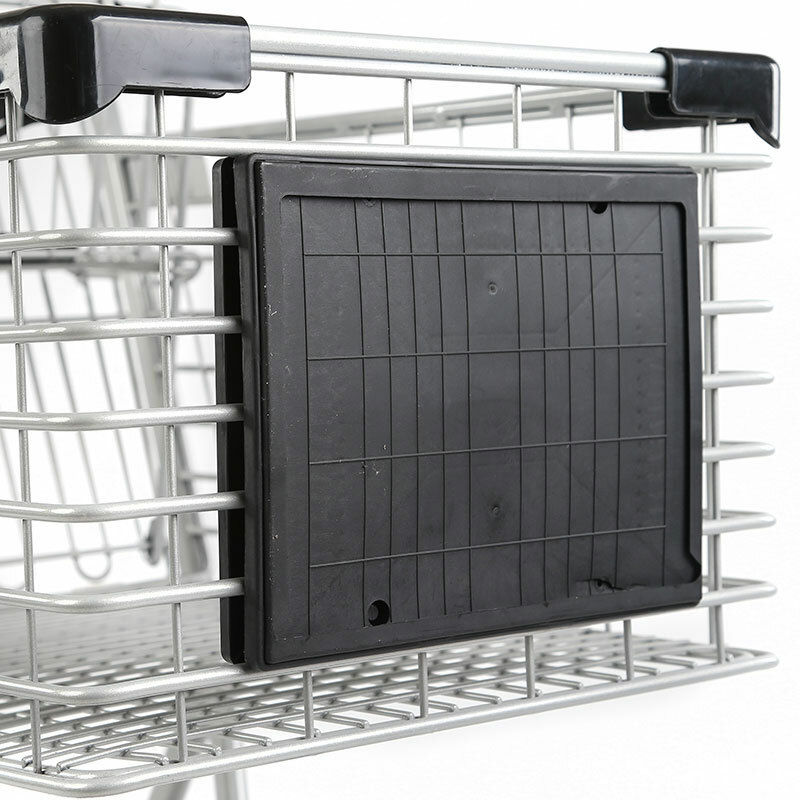 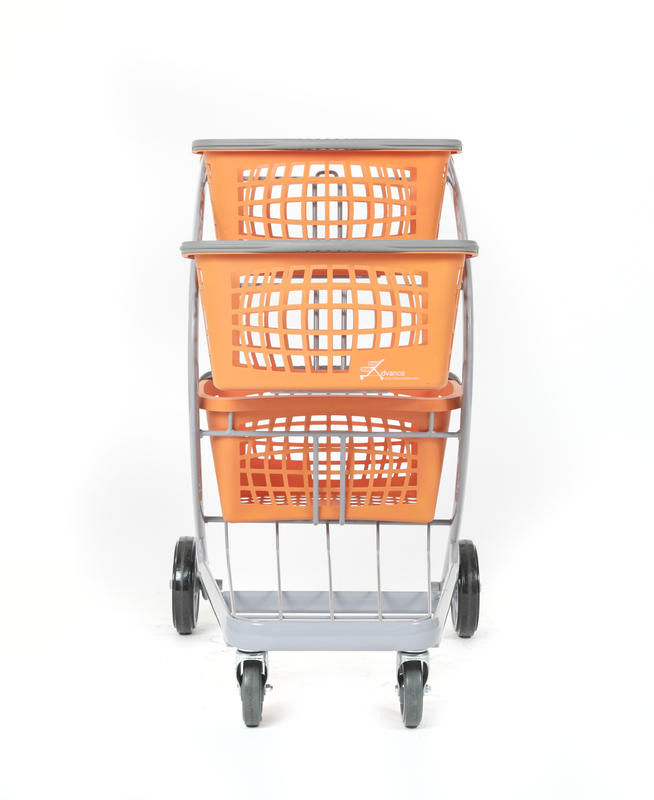 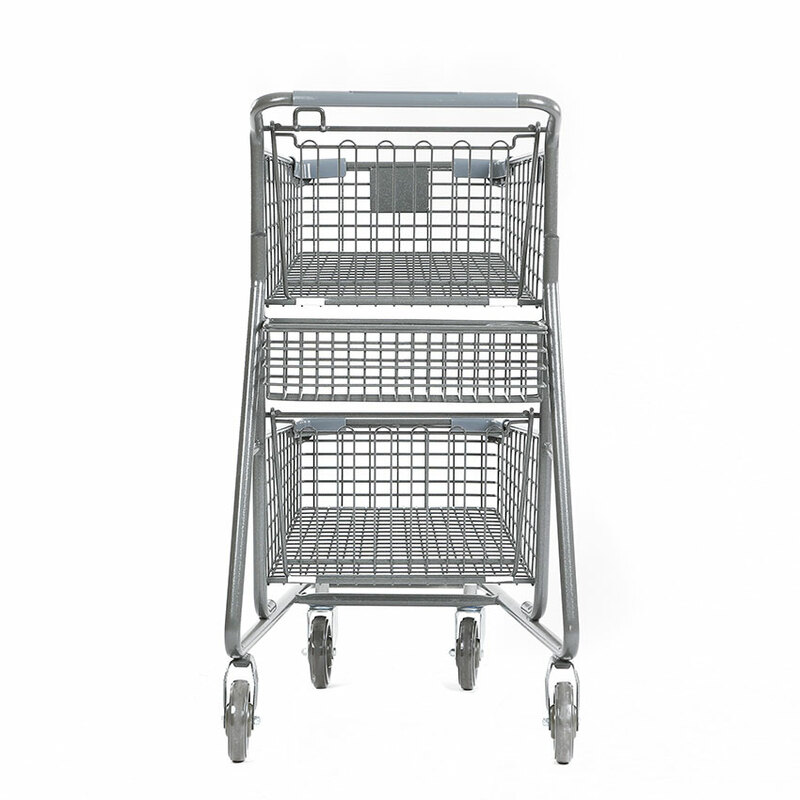 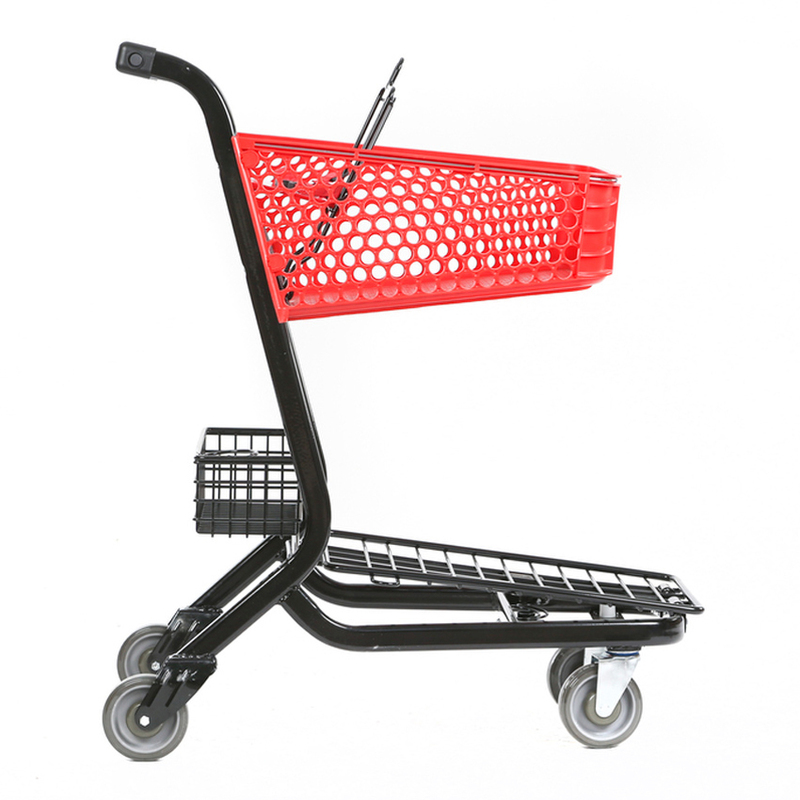 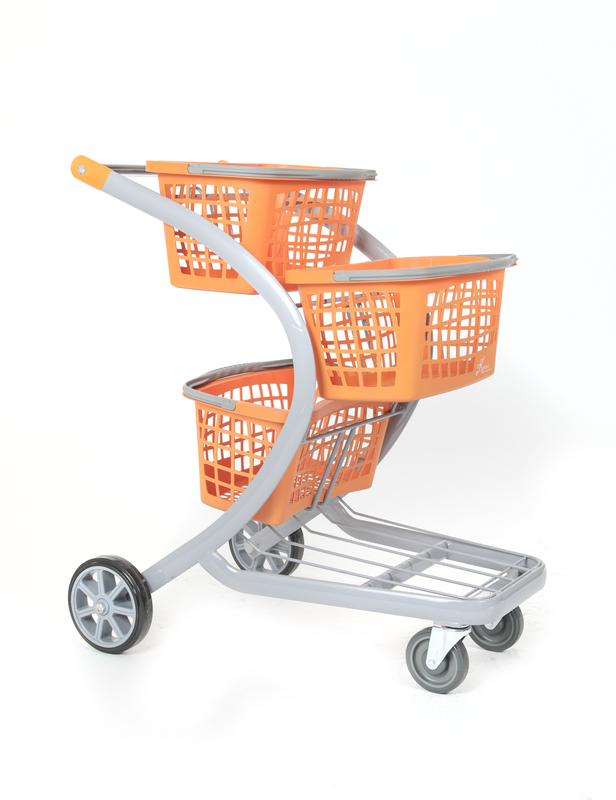 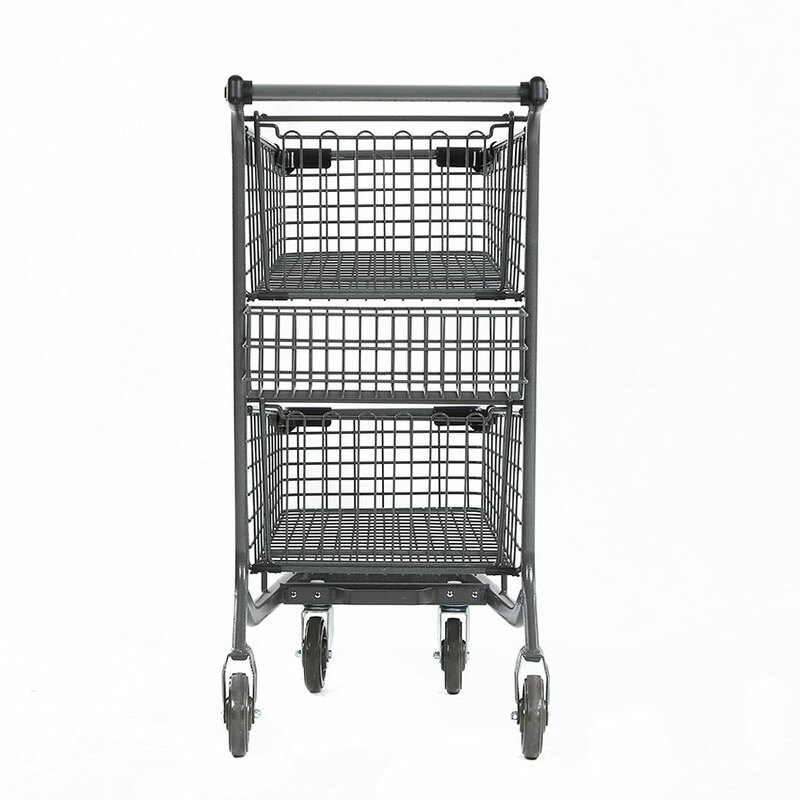 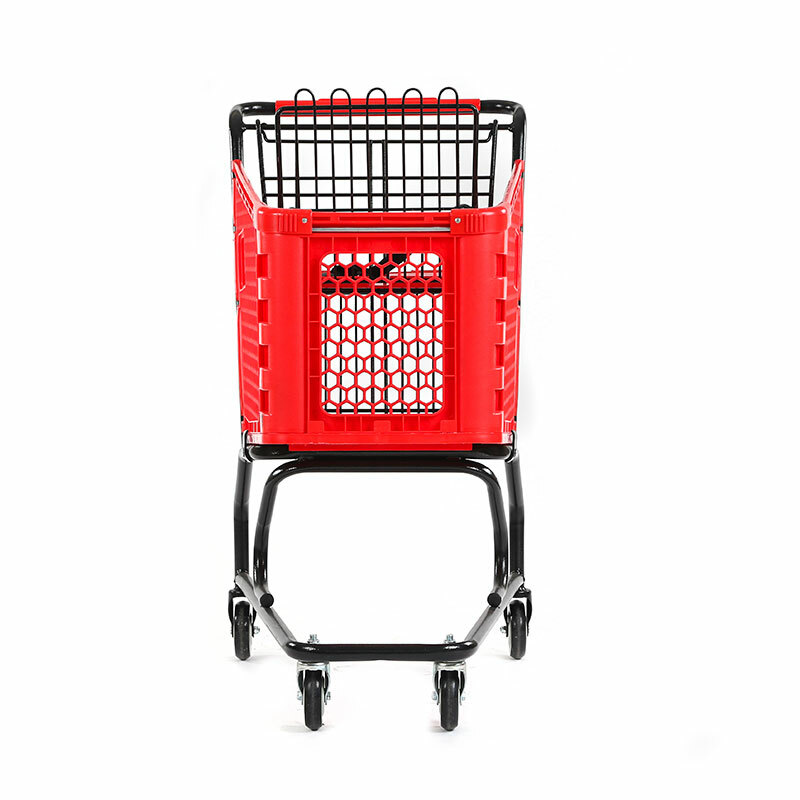 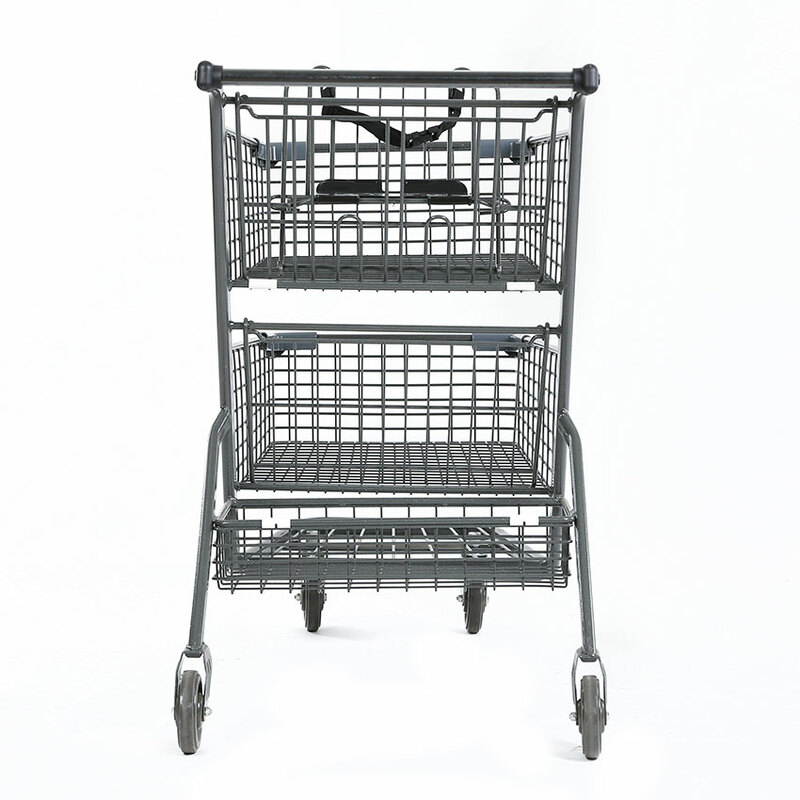 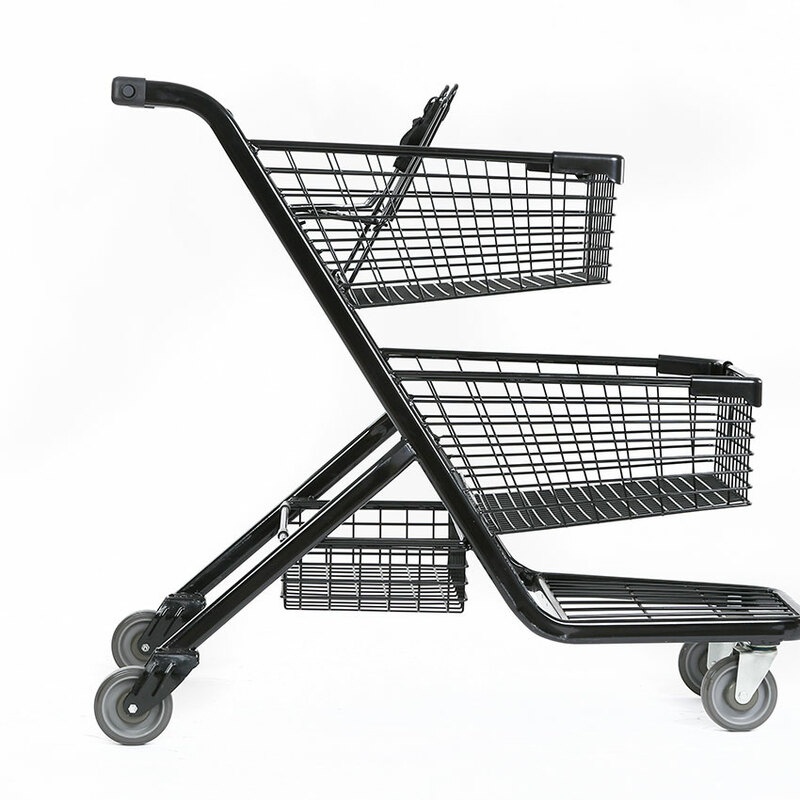 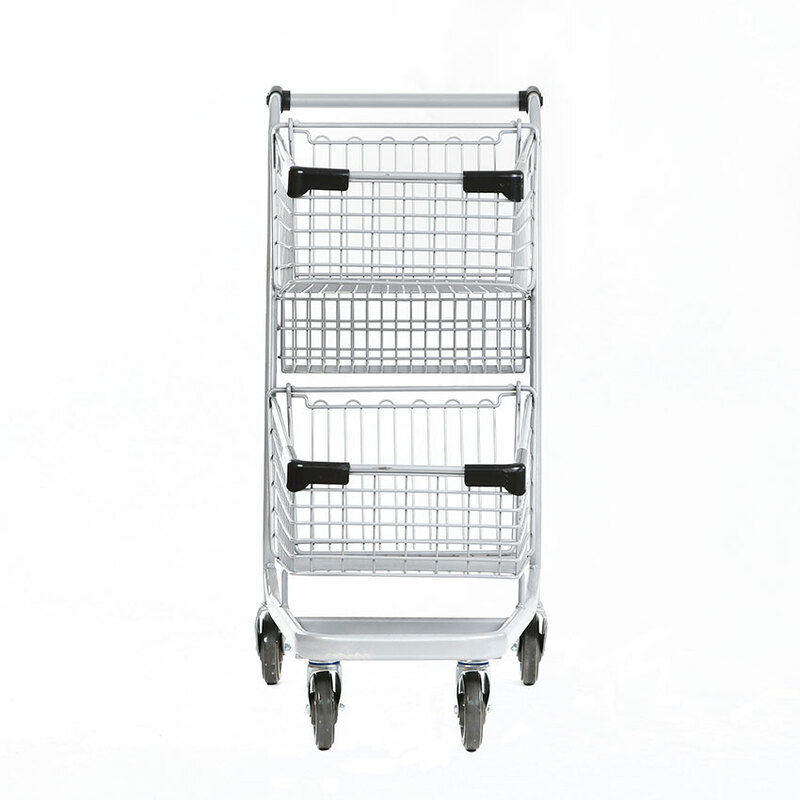 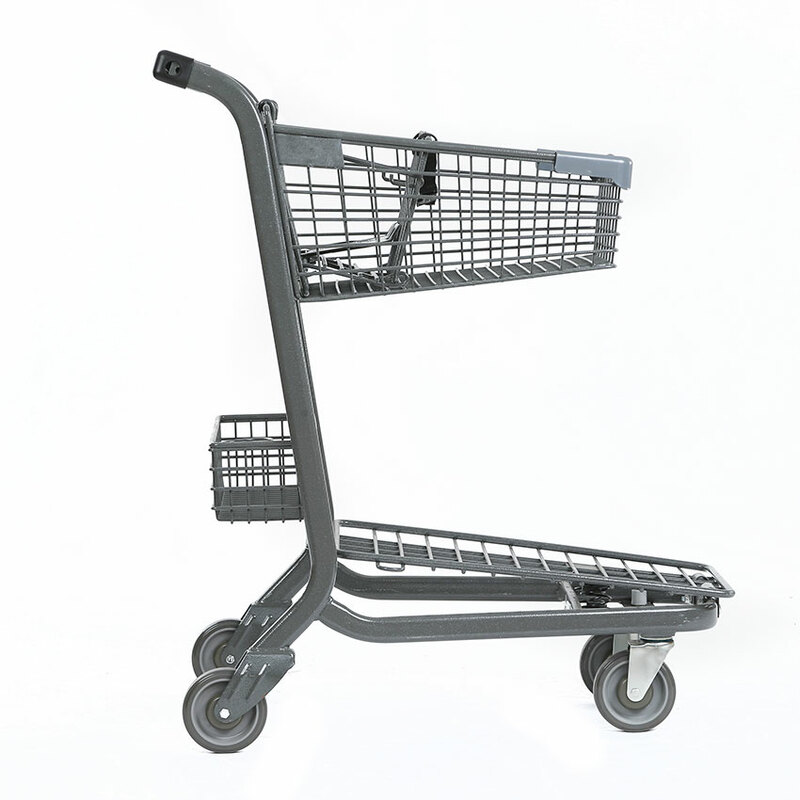 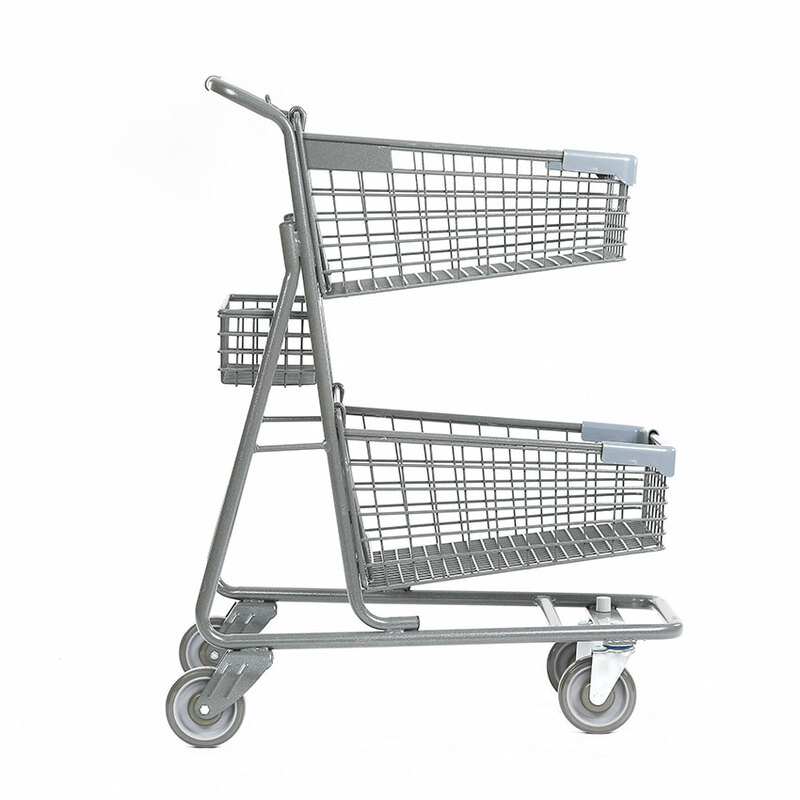 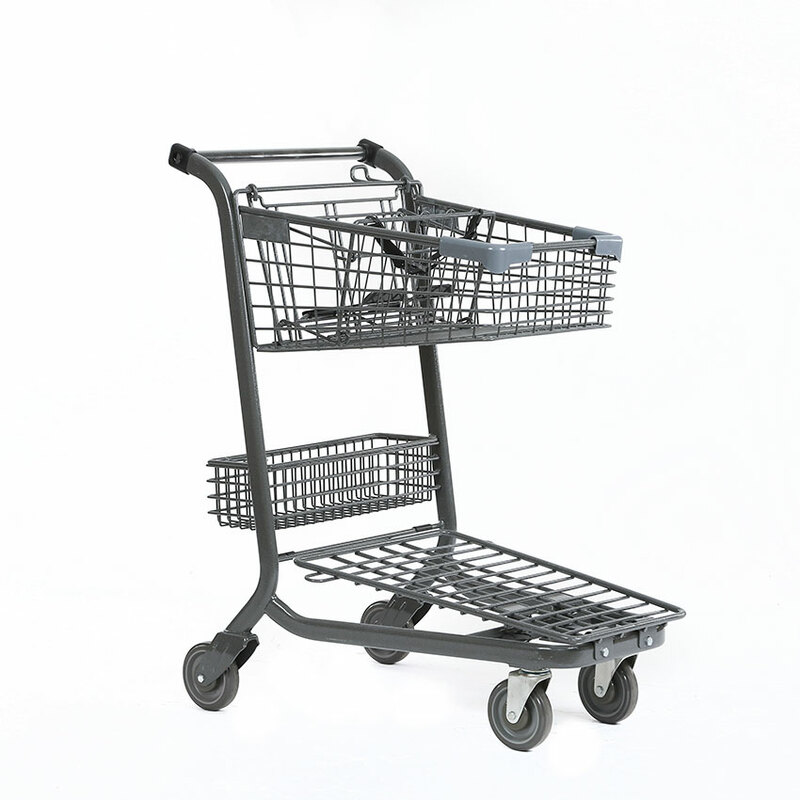 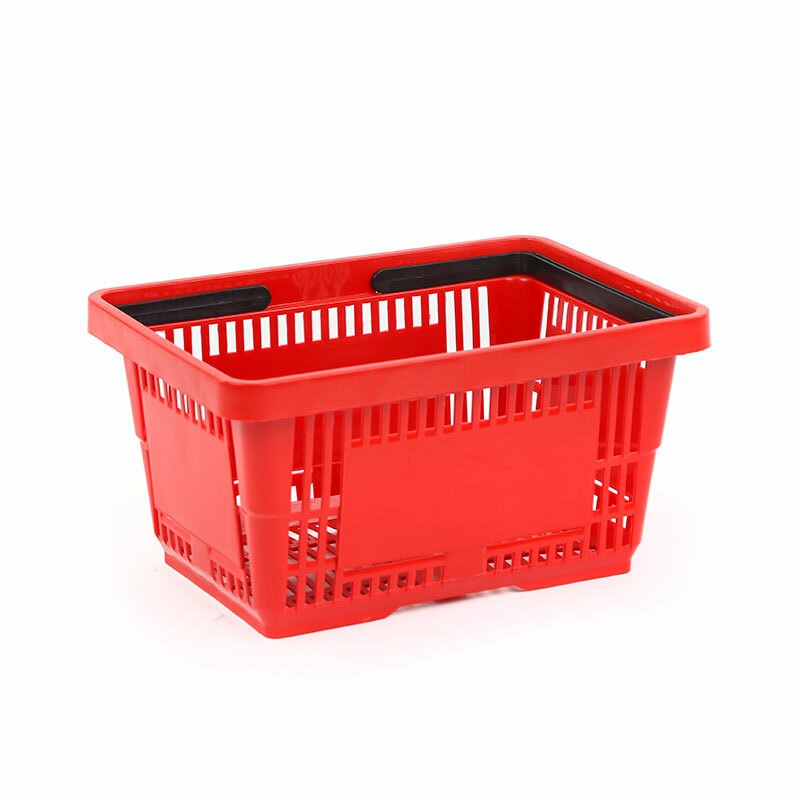 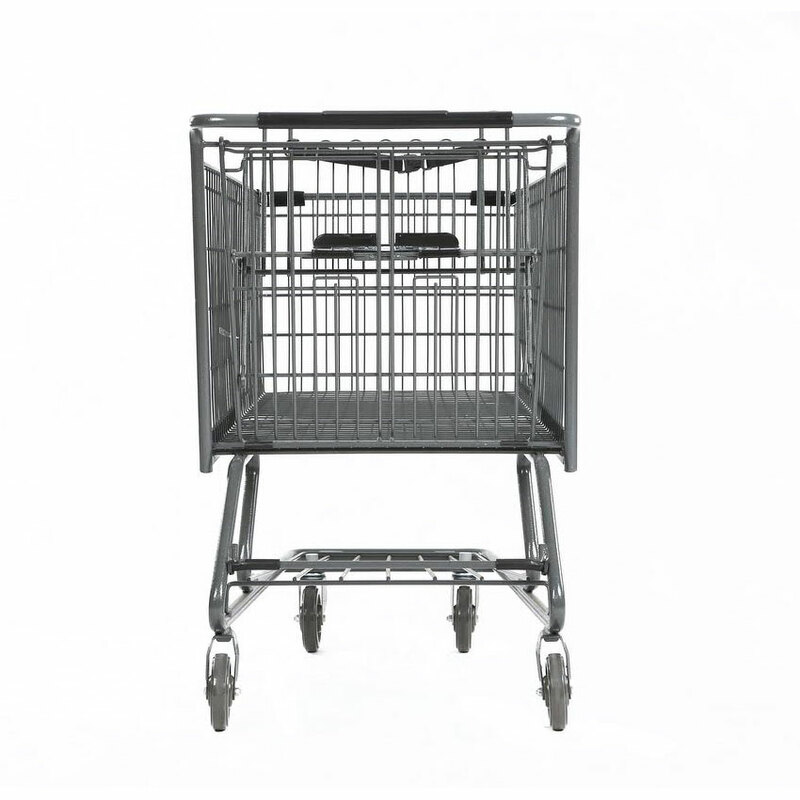 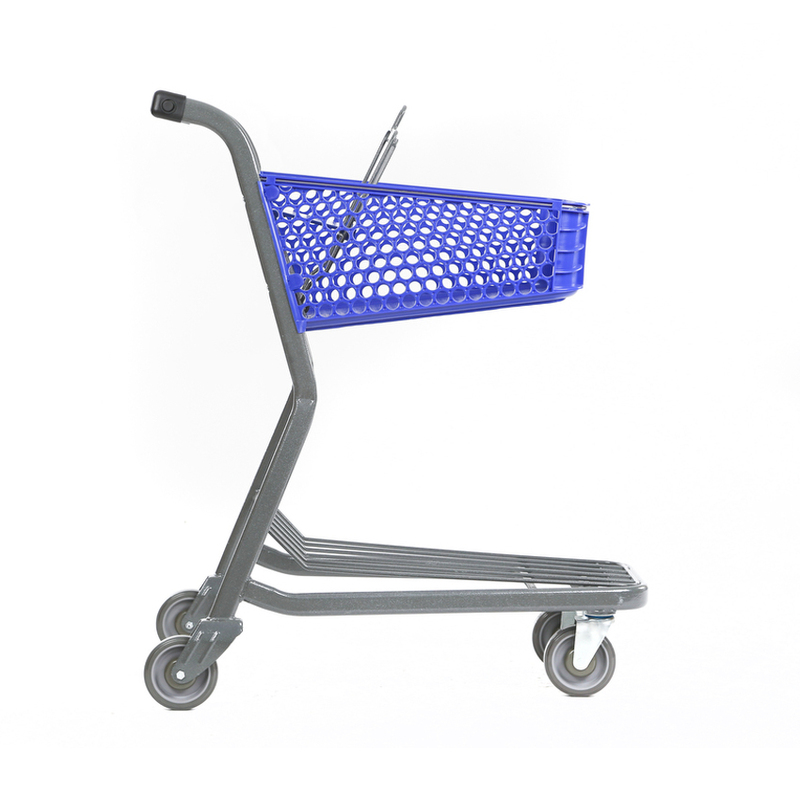 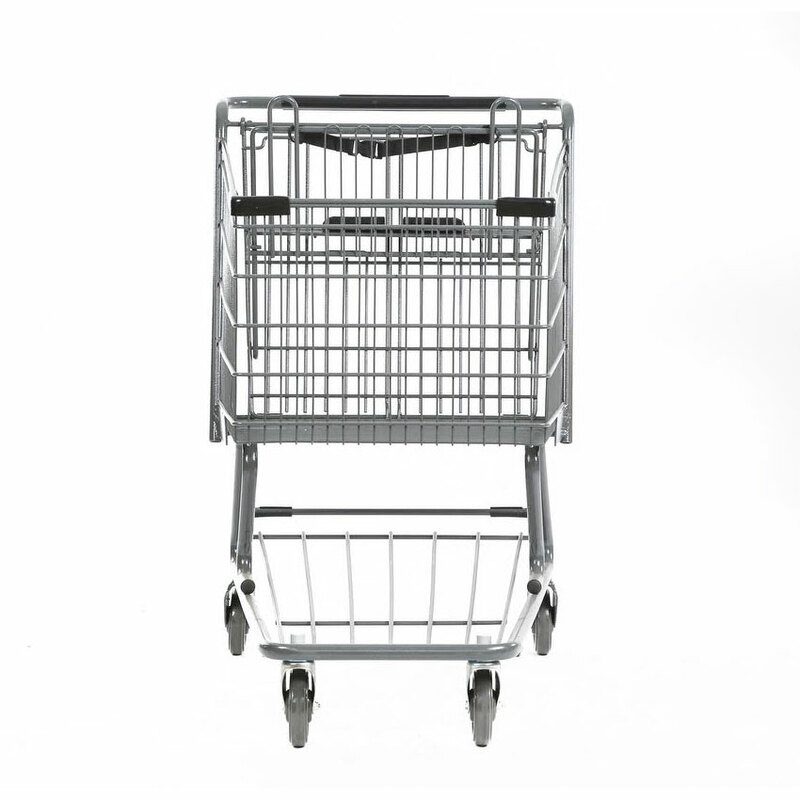 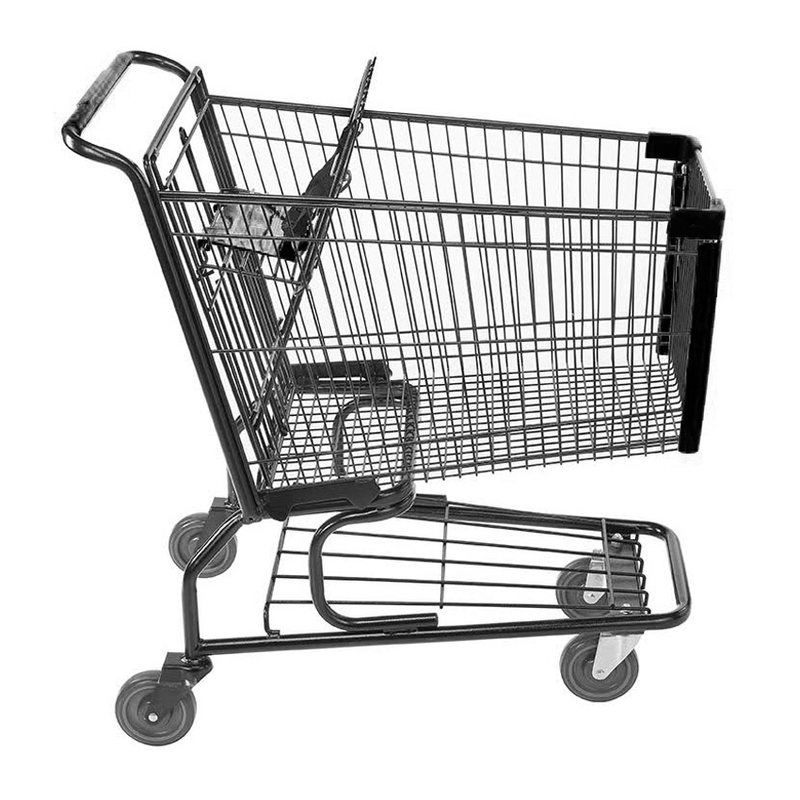 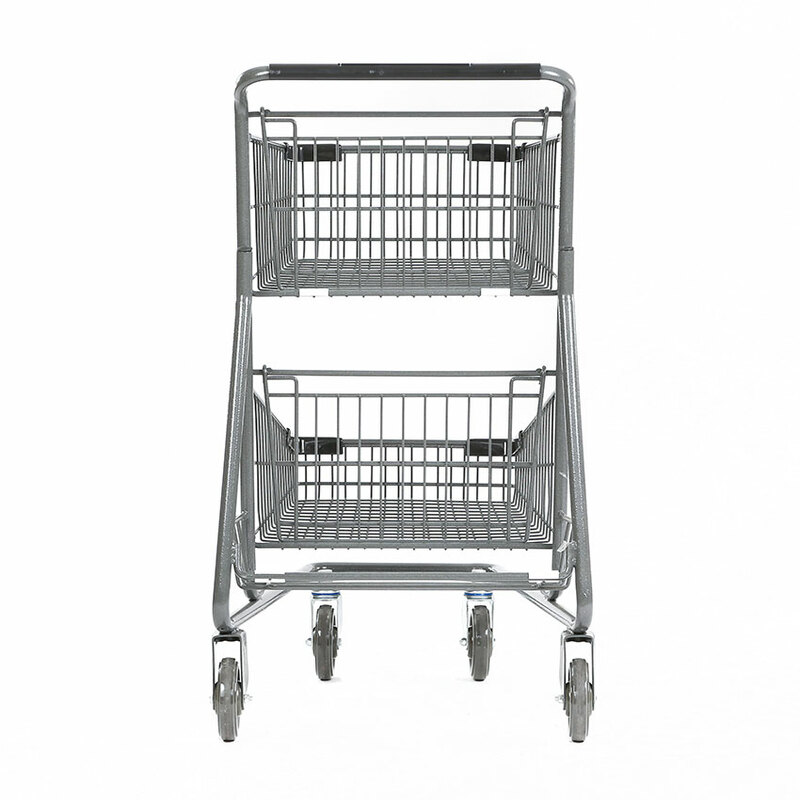 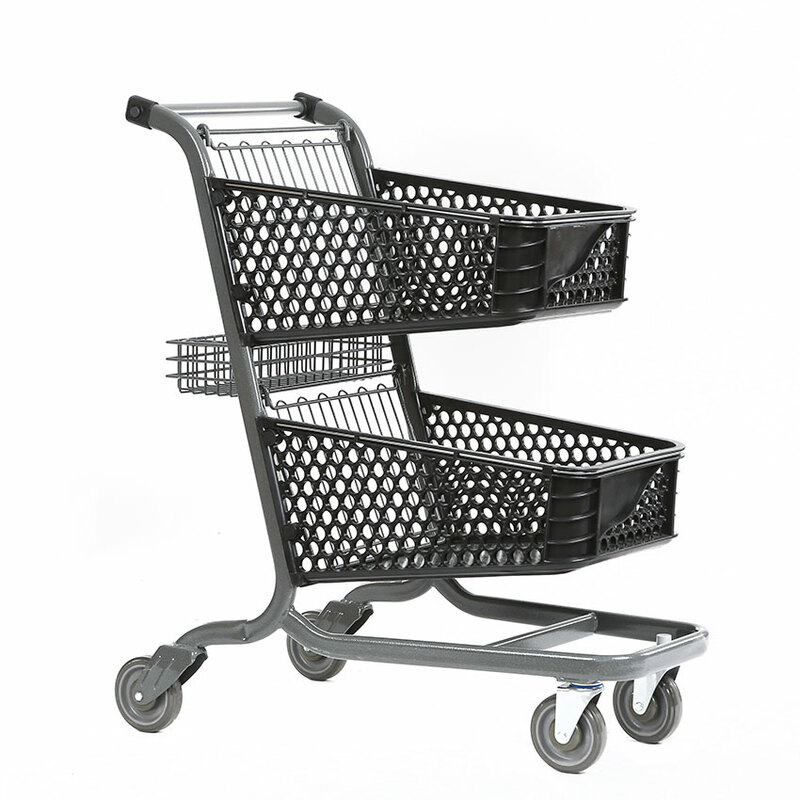 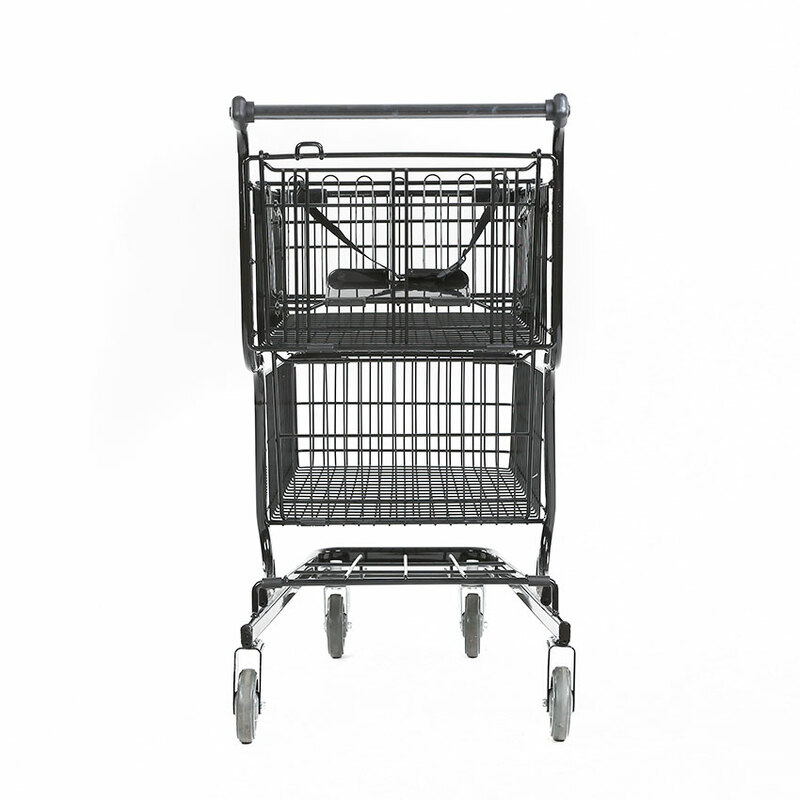 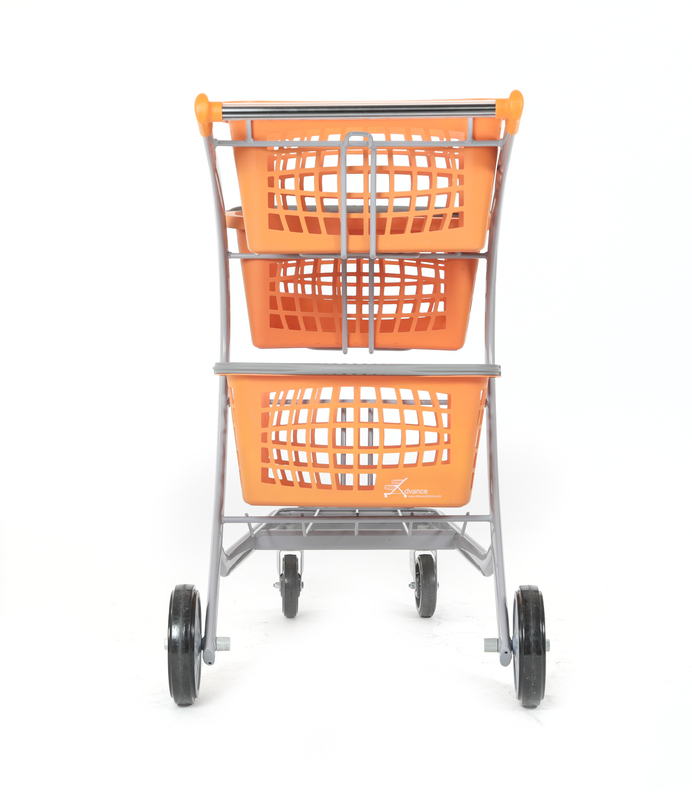 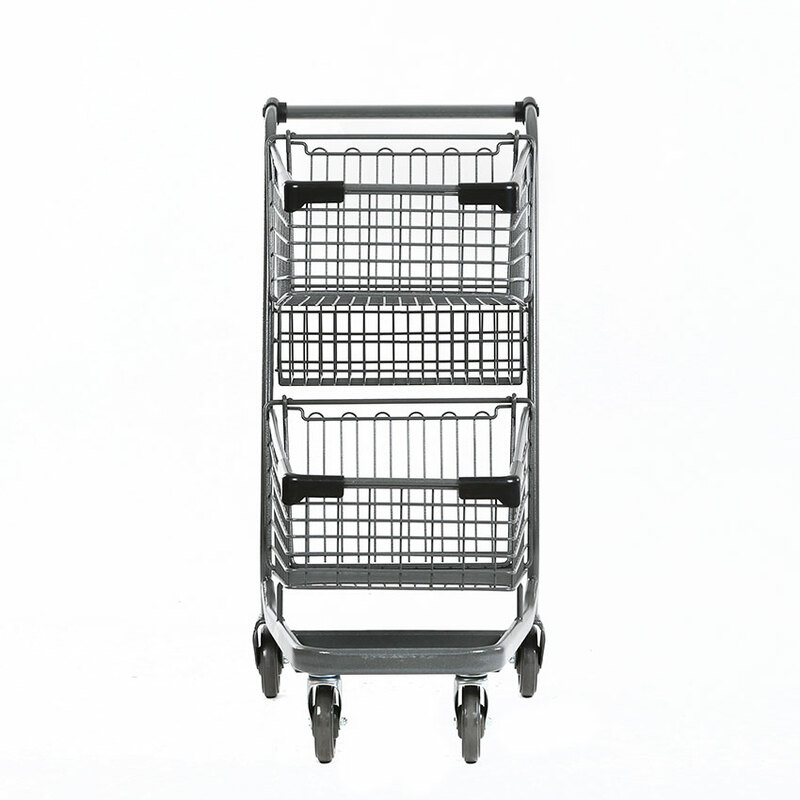 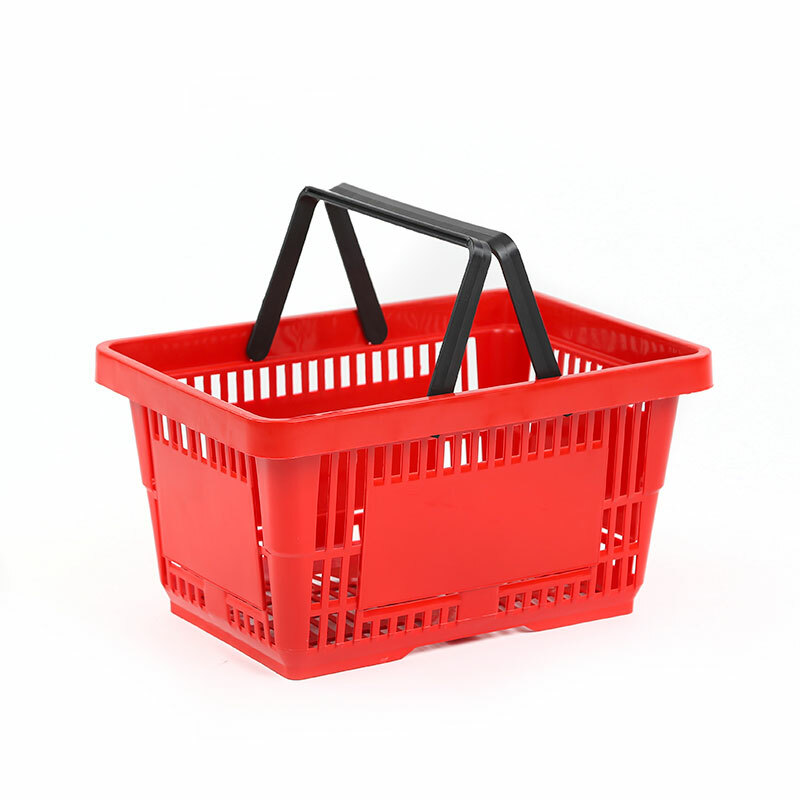 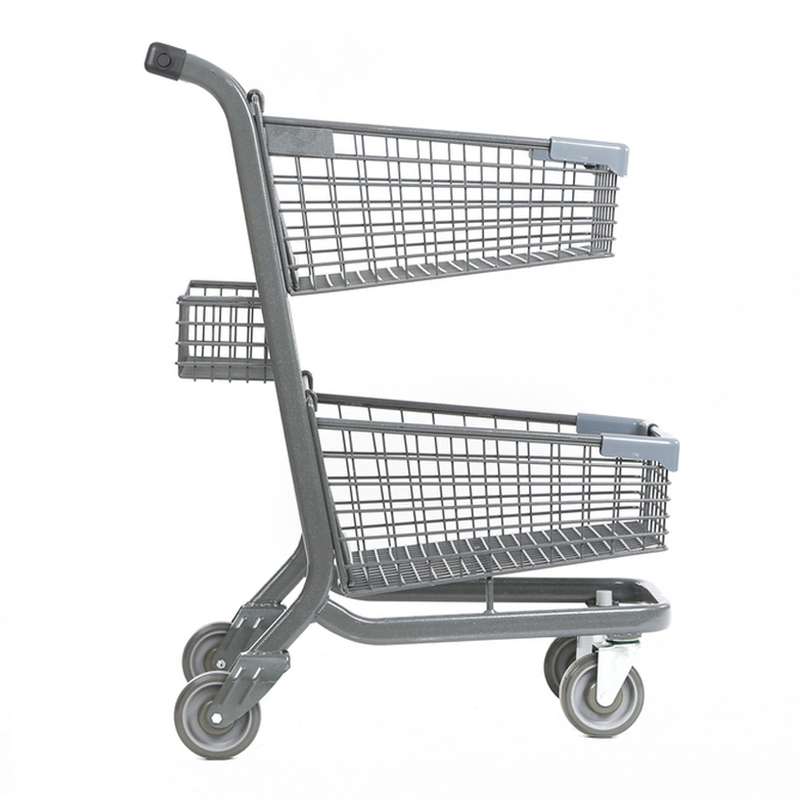 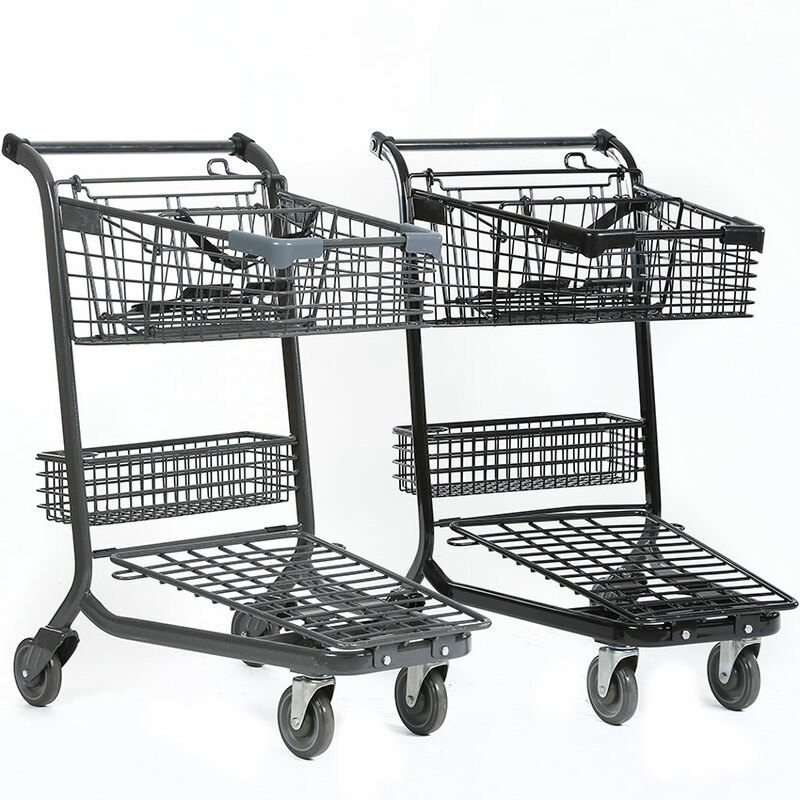 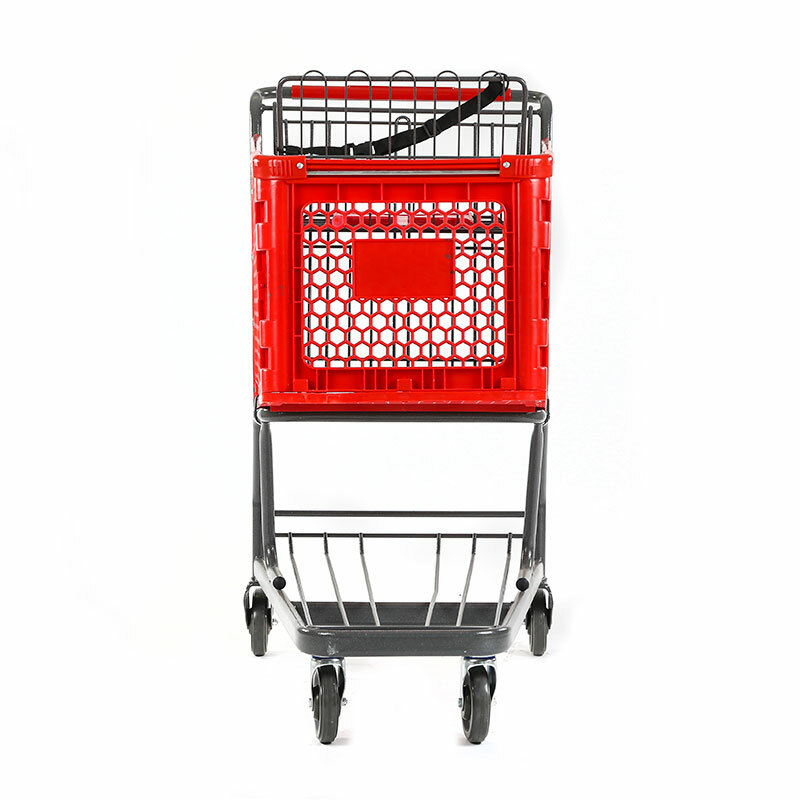 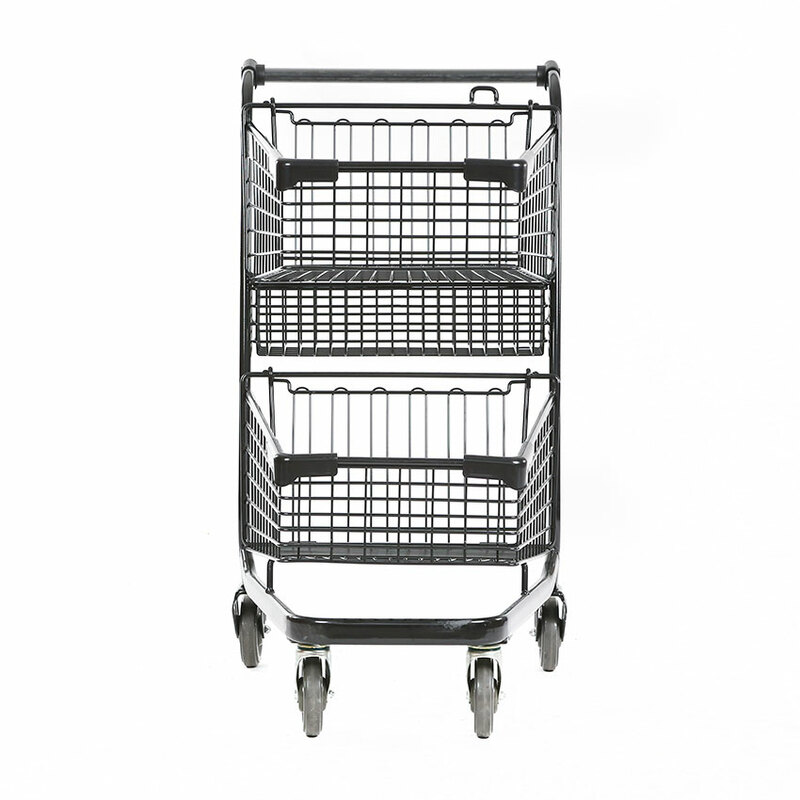 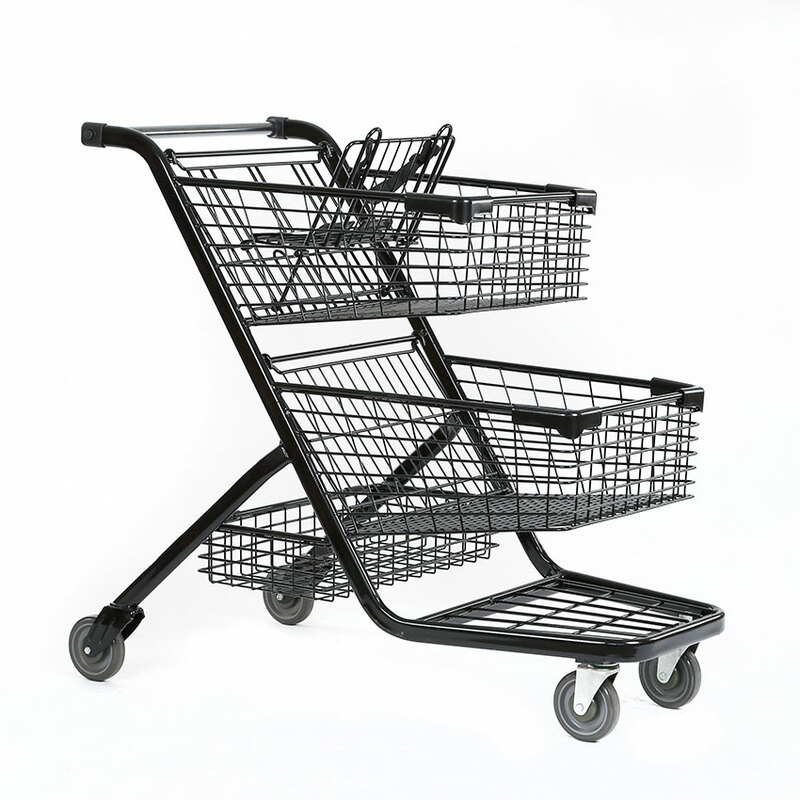 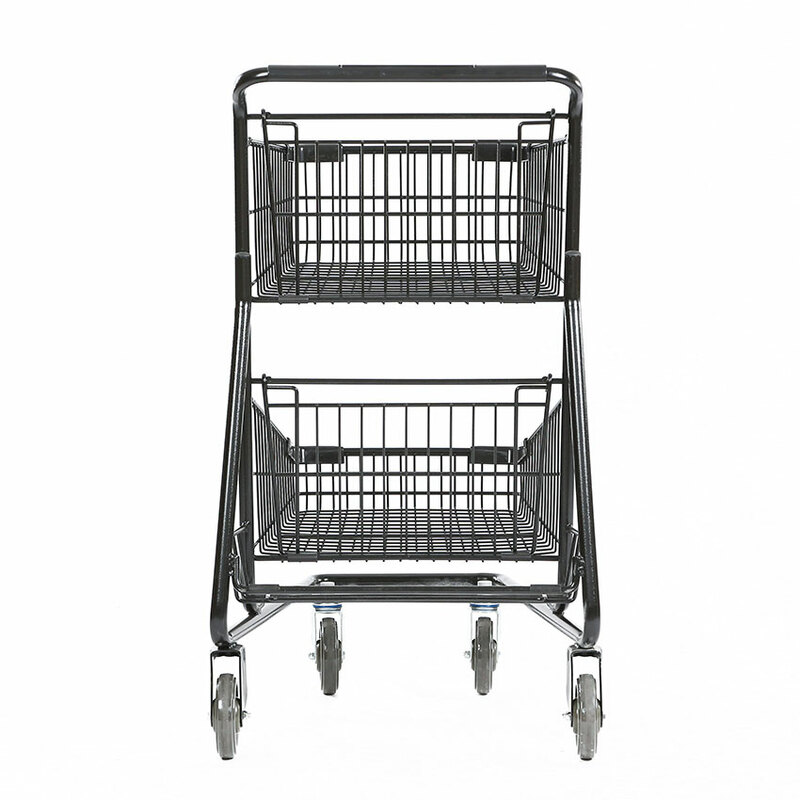 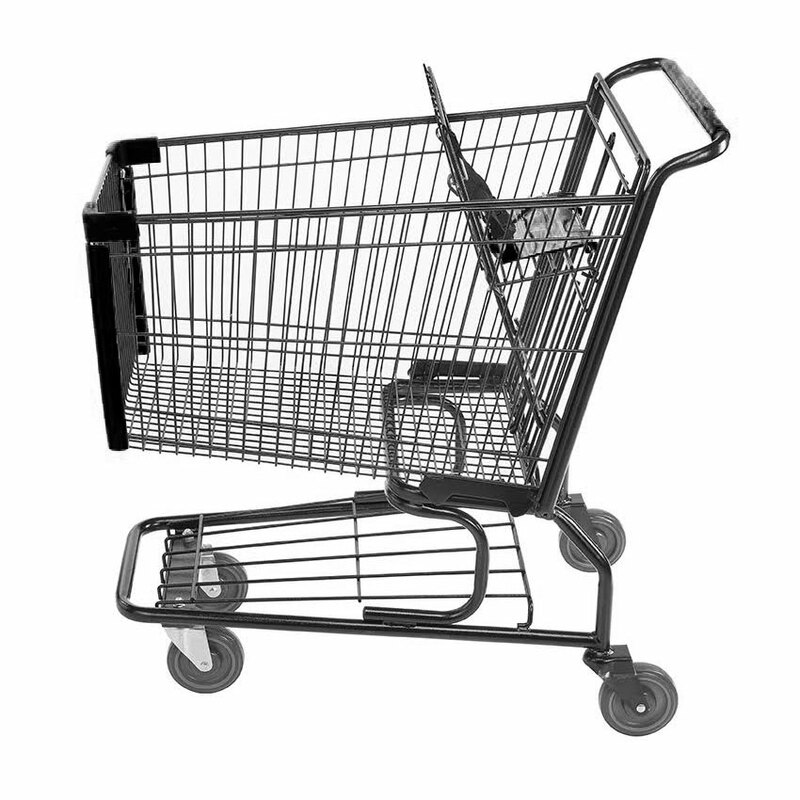 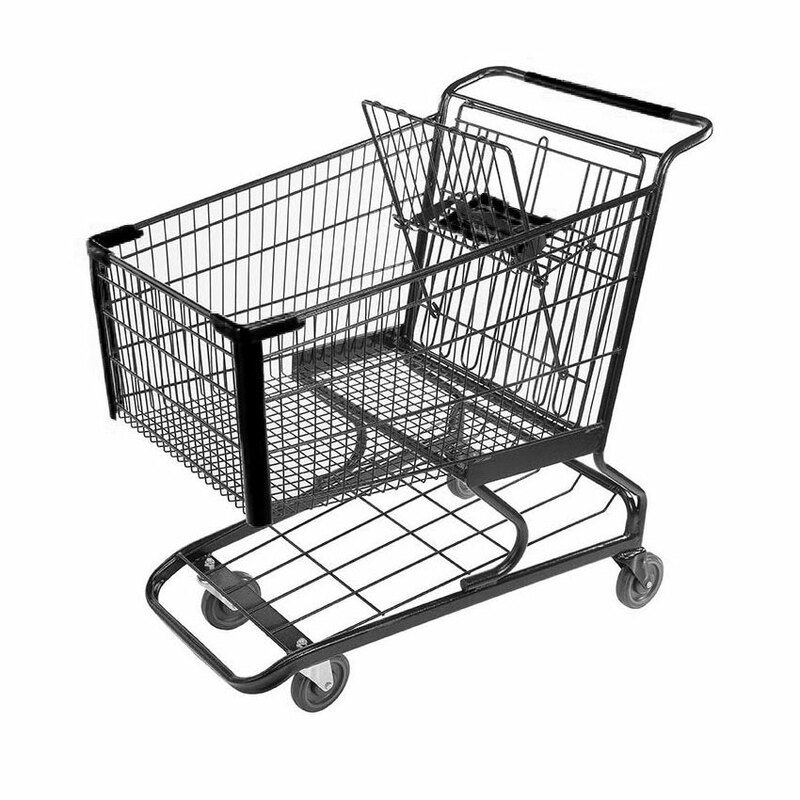 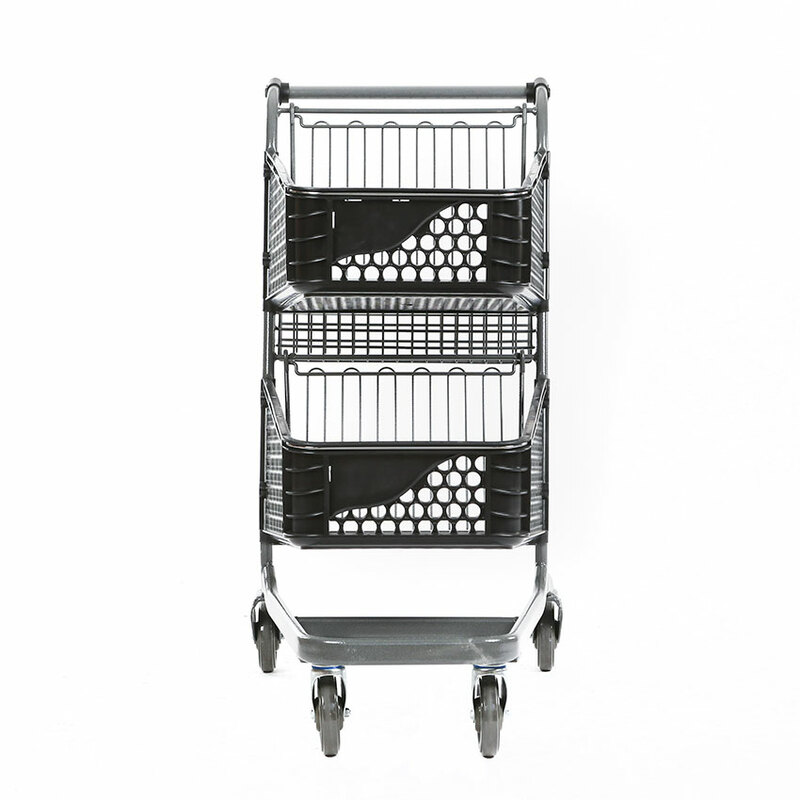 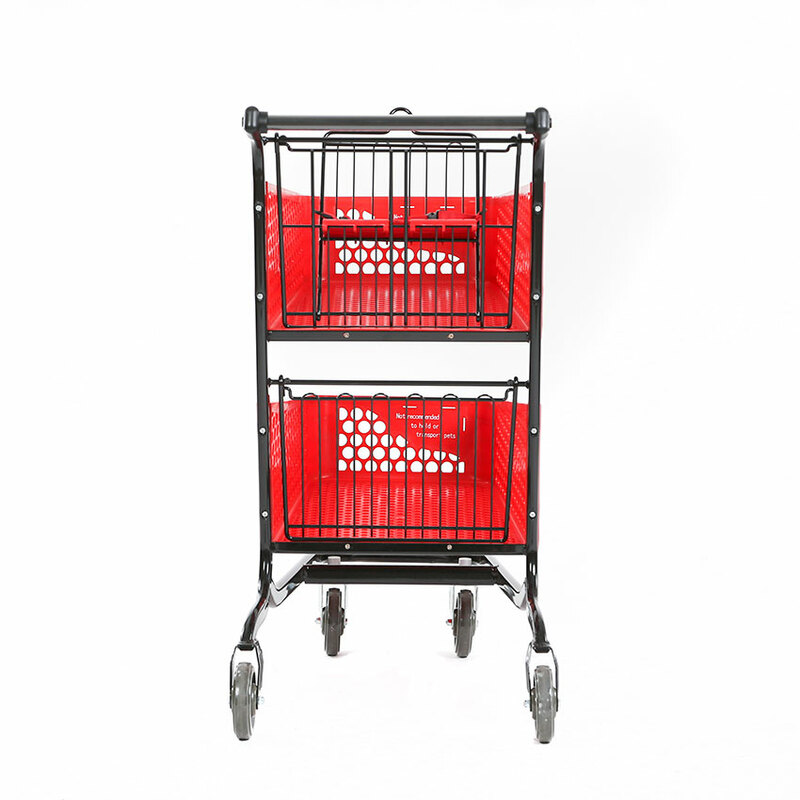 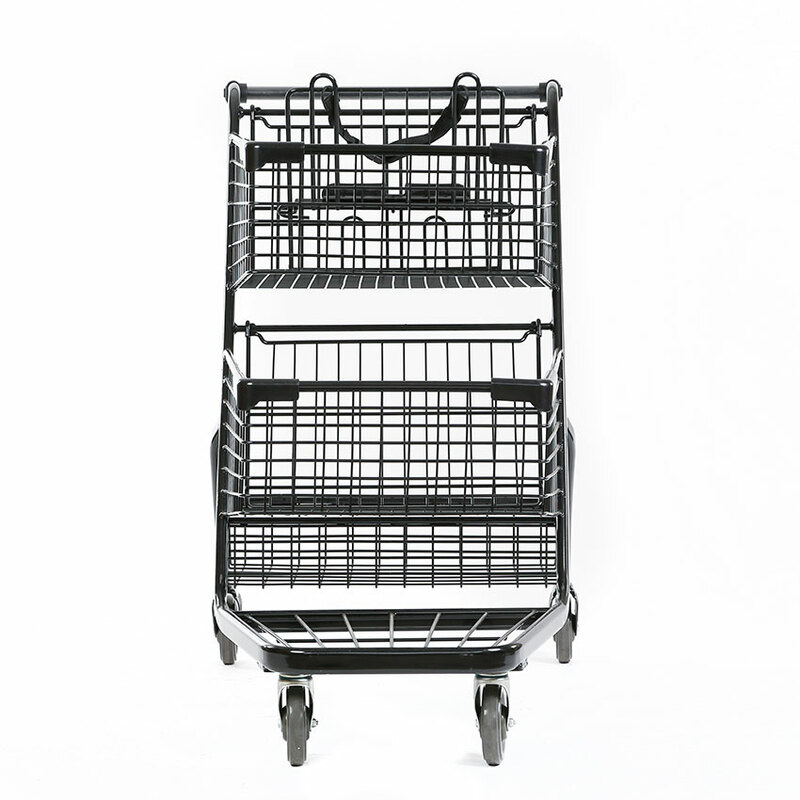 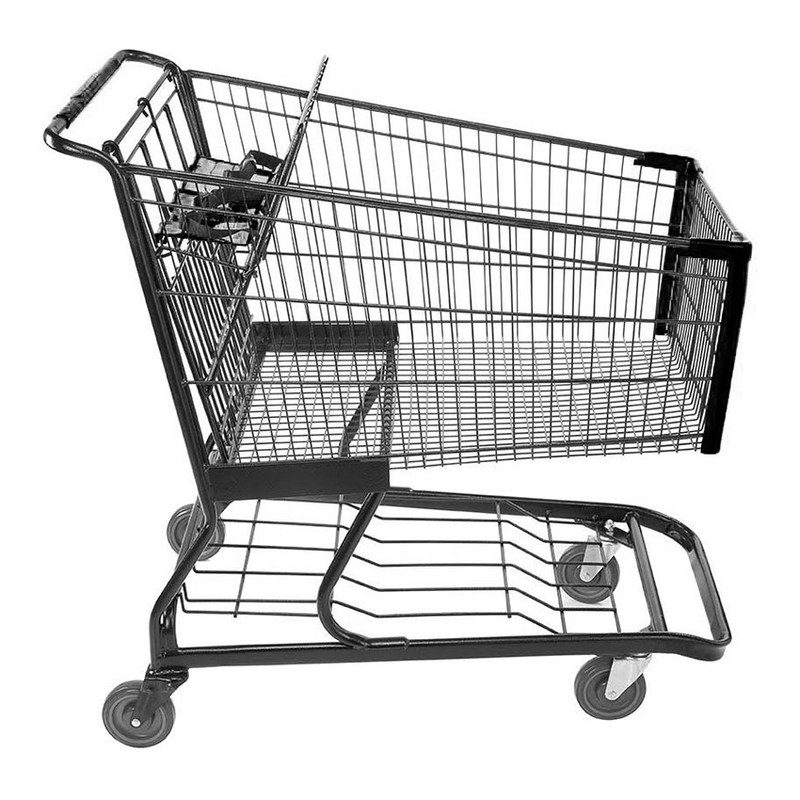 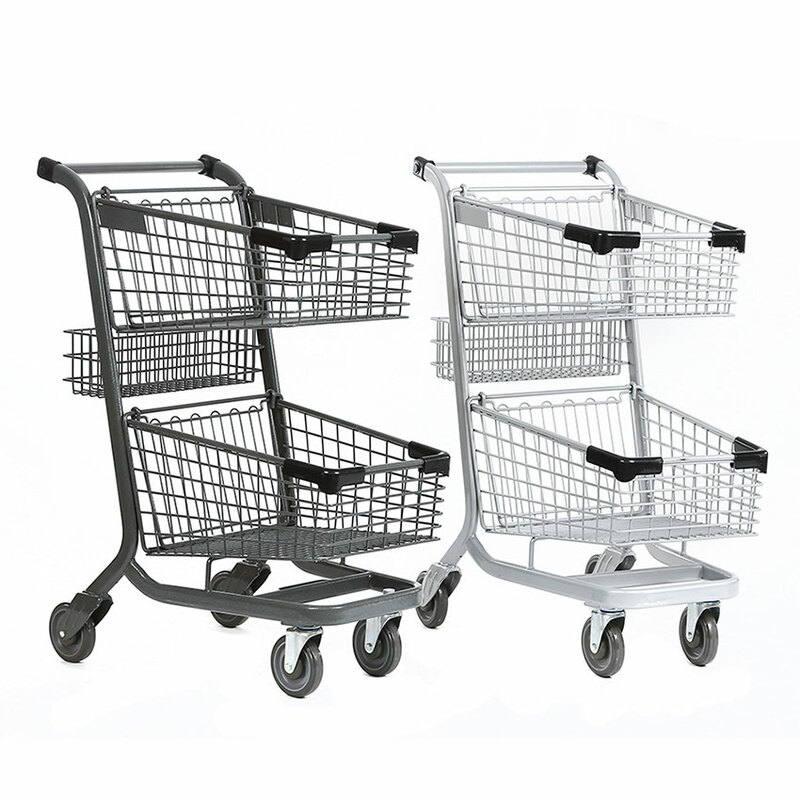 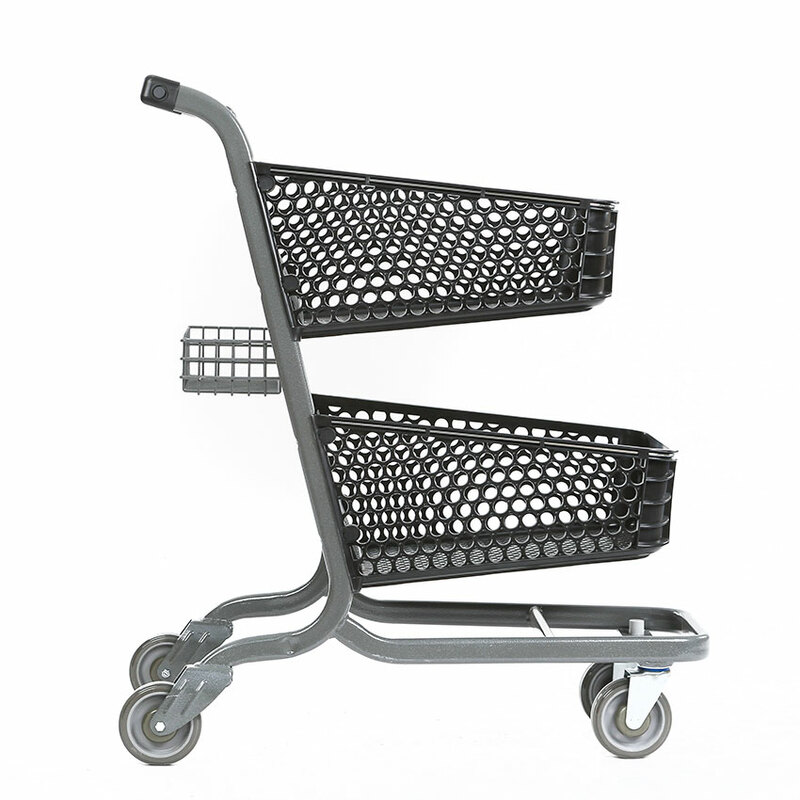 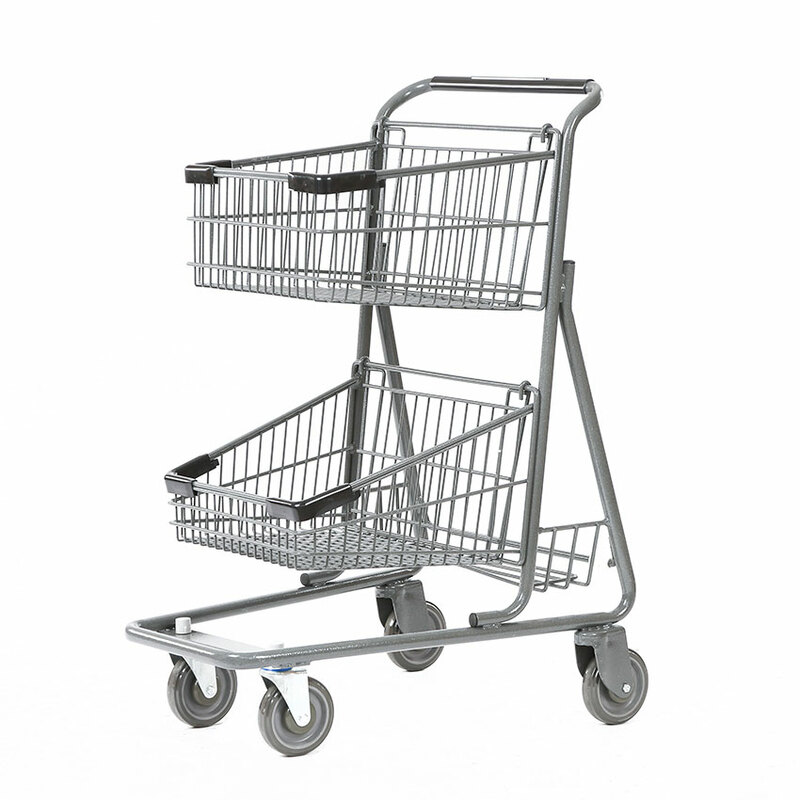 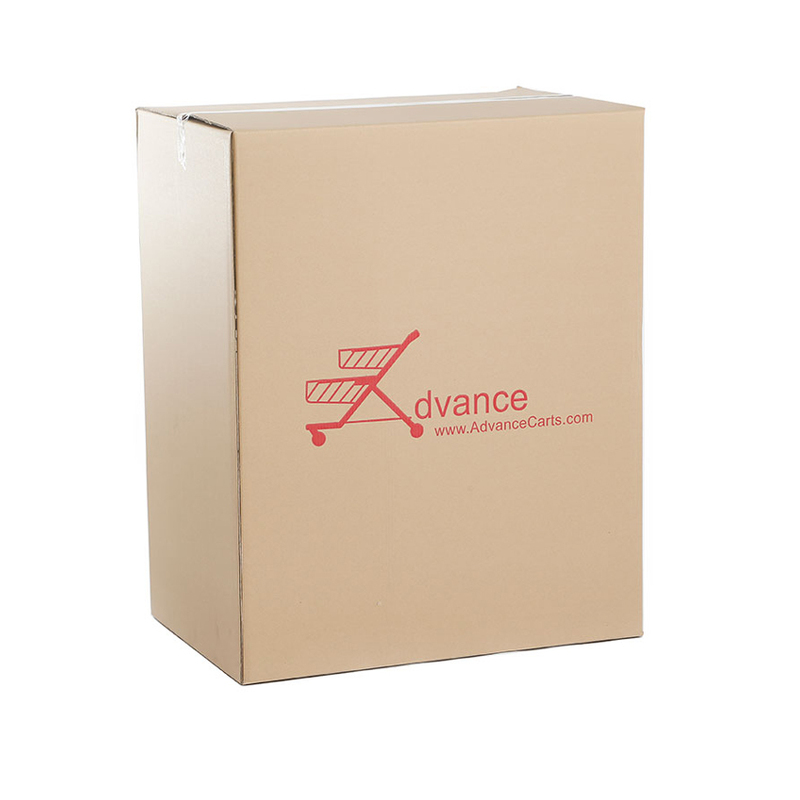 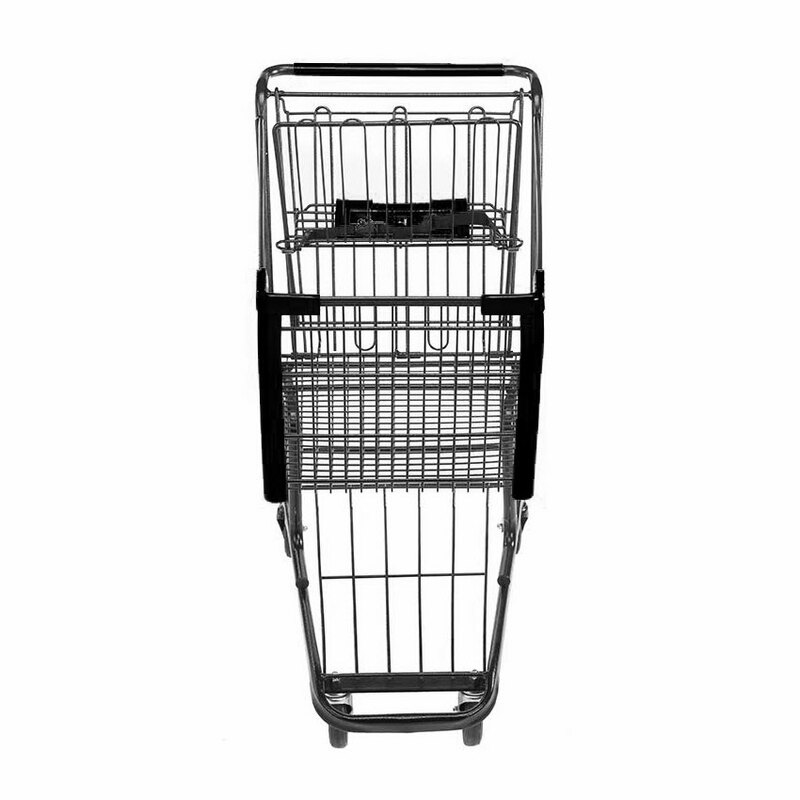 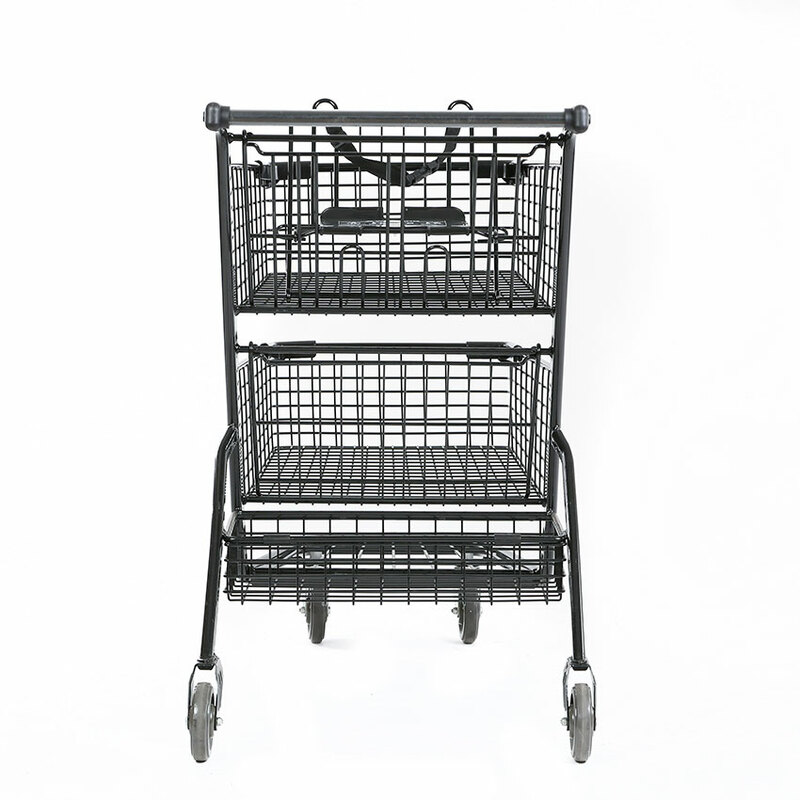 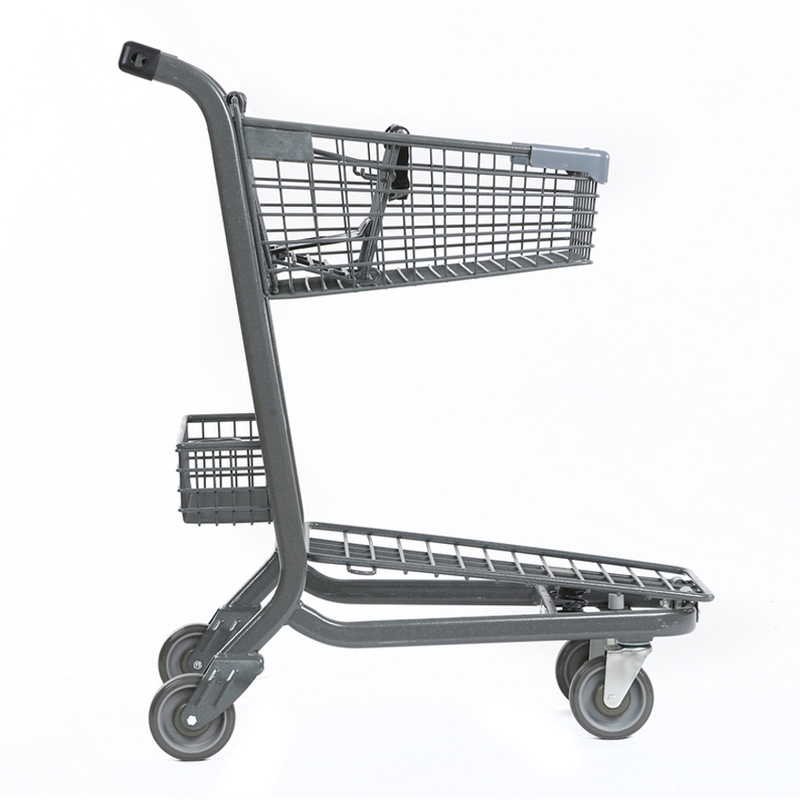 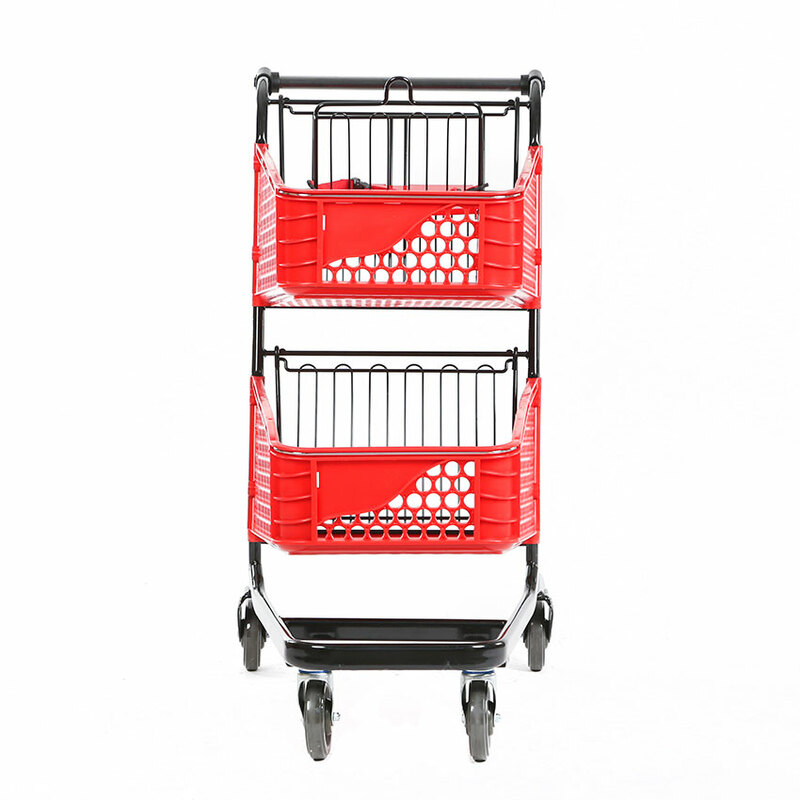 Advance Carts rolling baskets series has the best design for the point of sale. 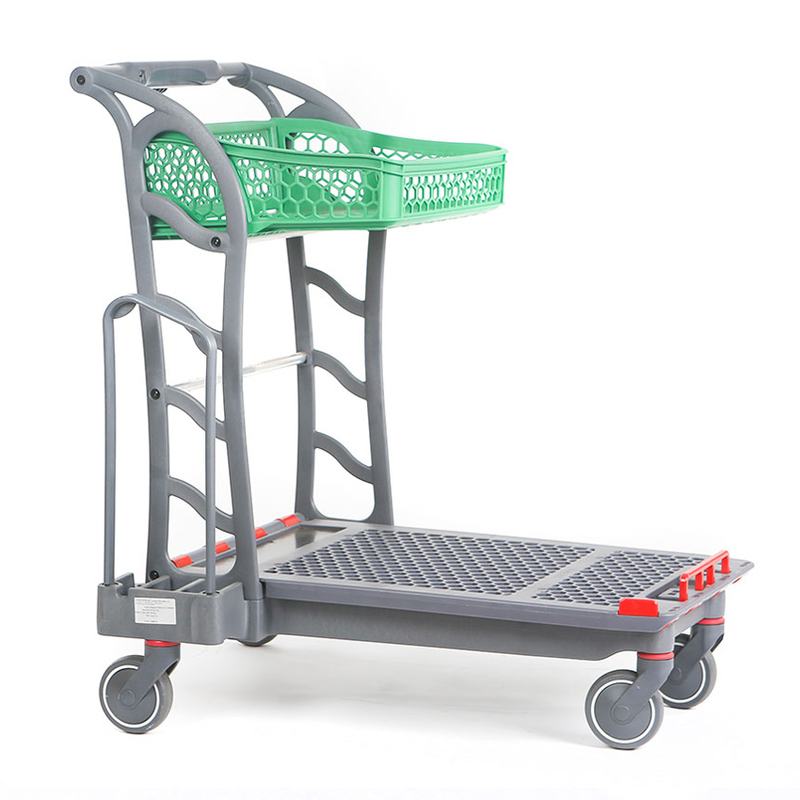 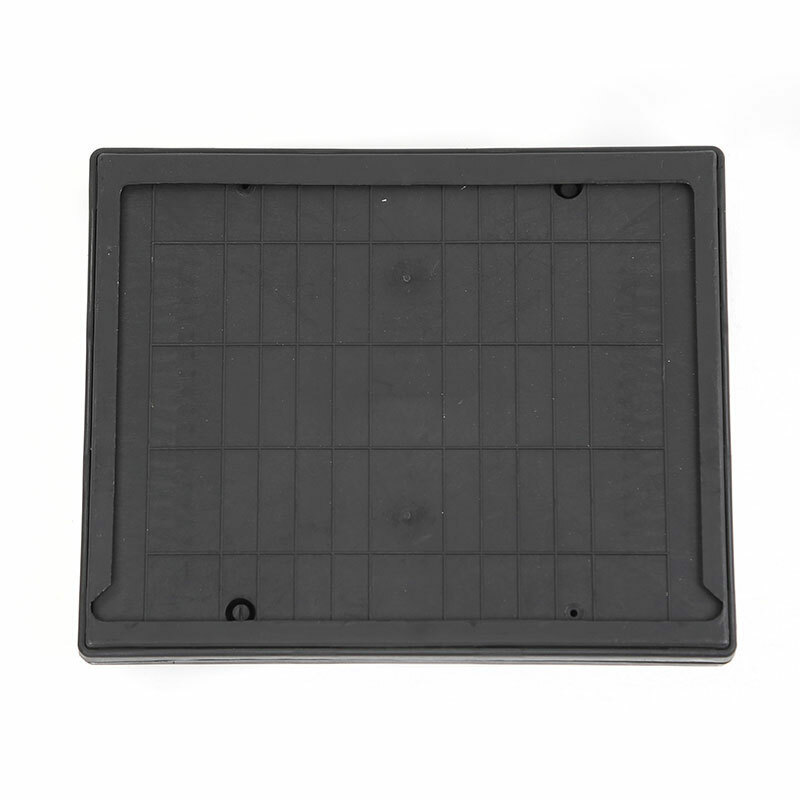 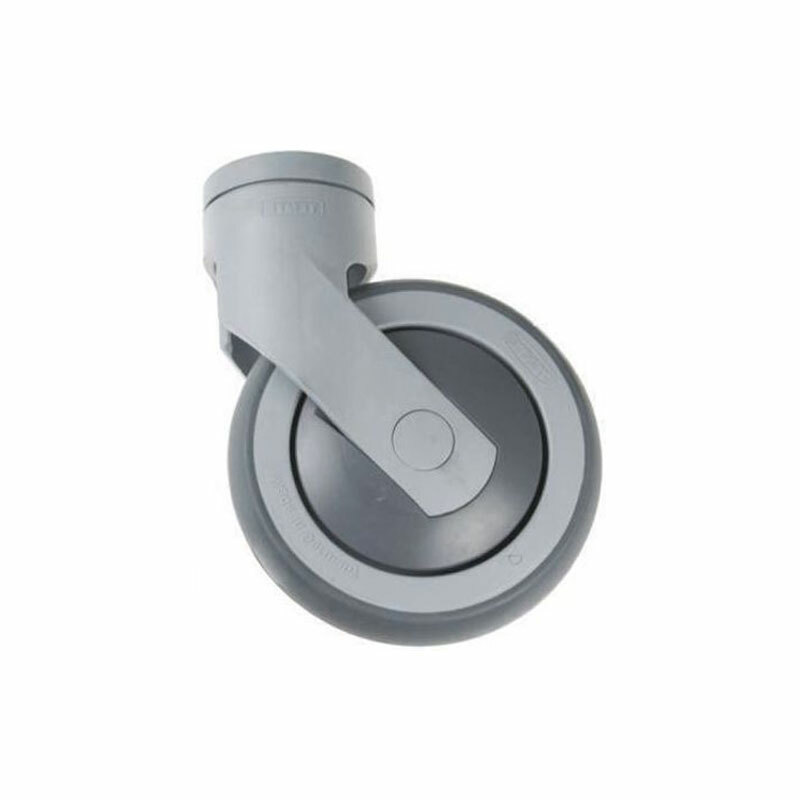 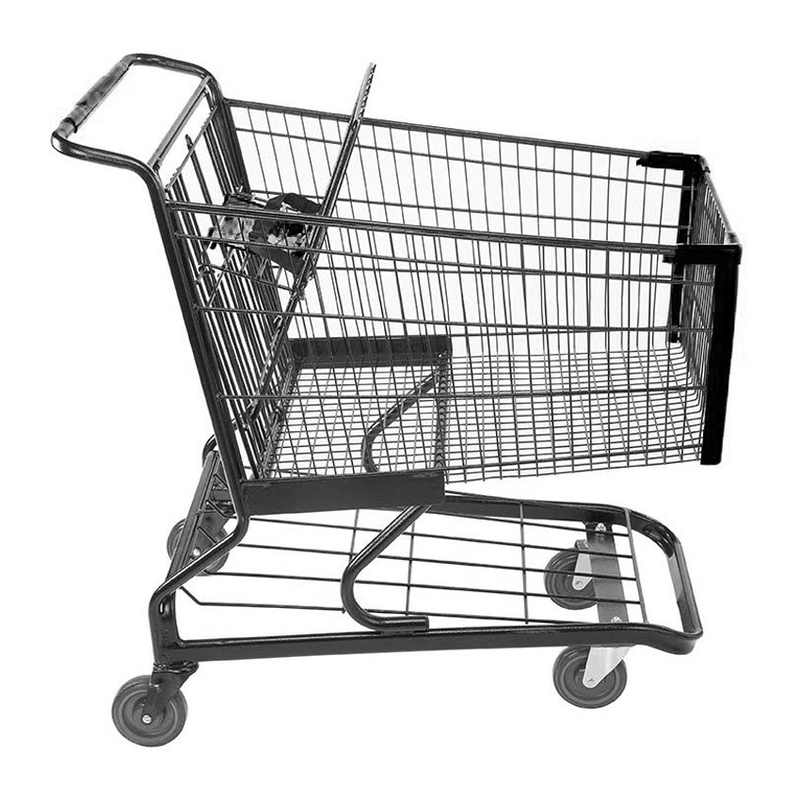 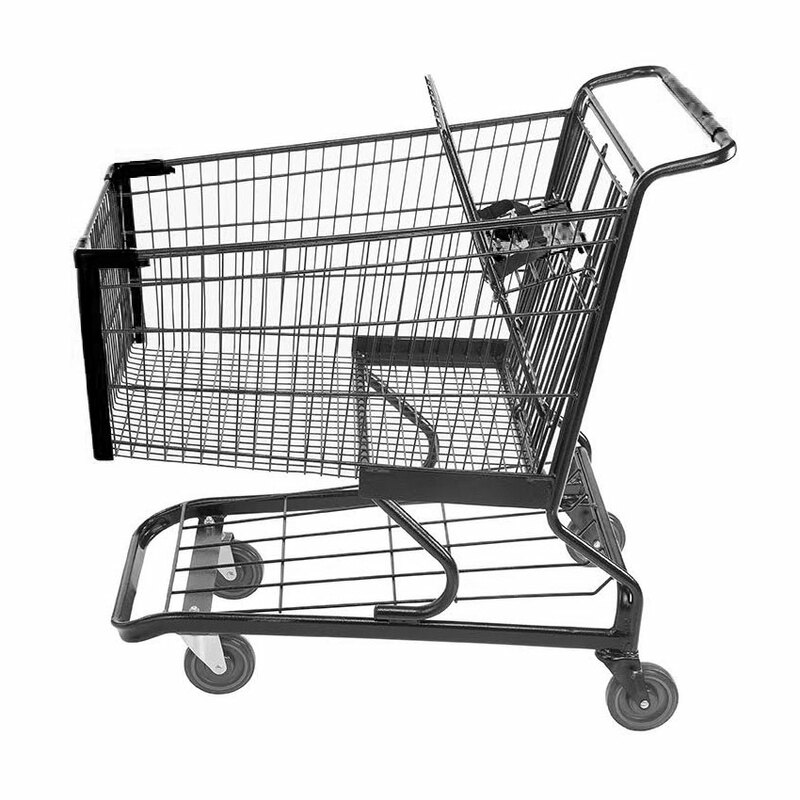 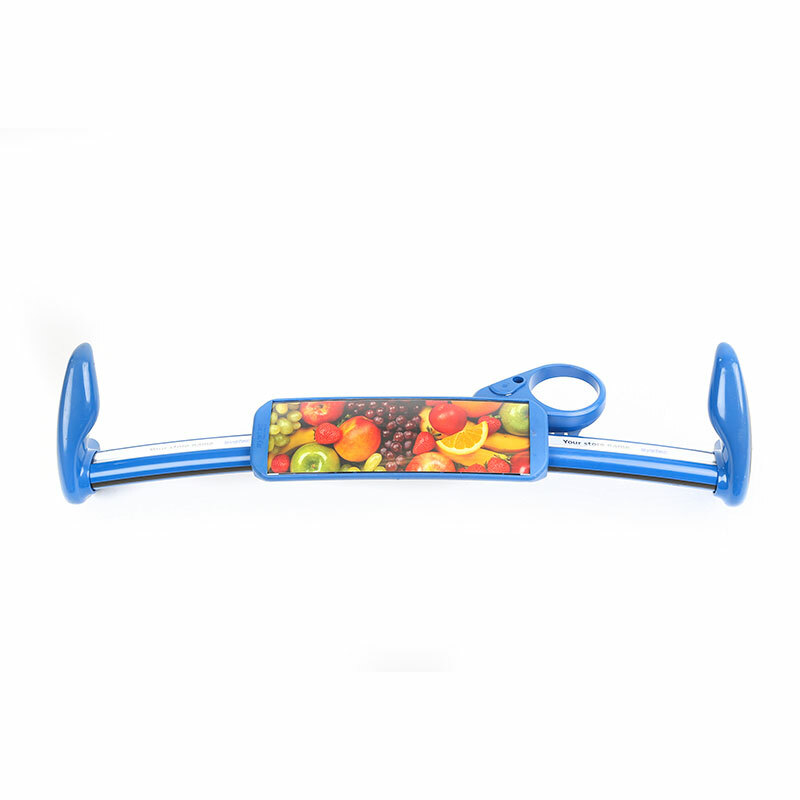 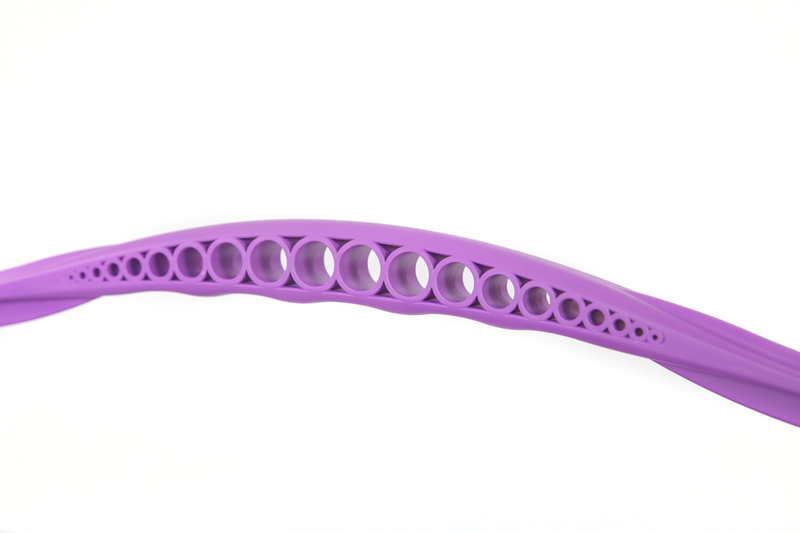 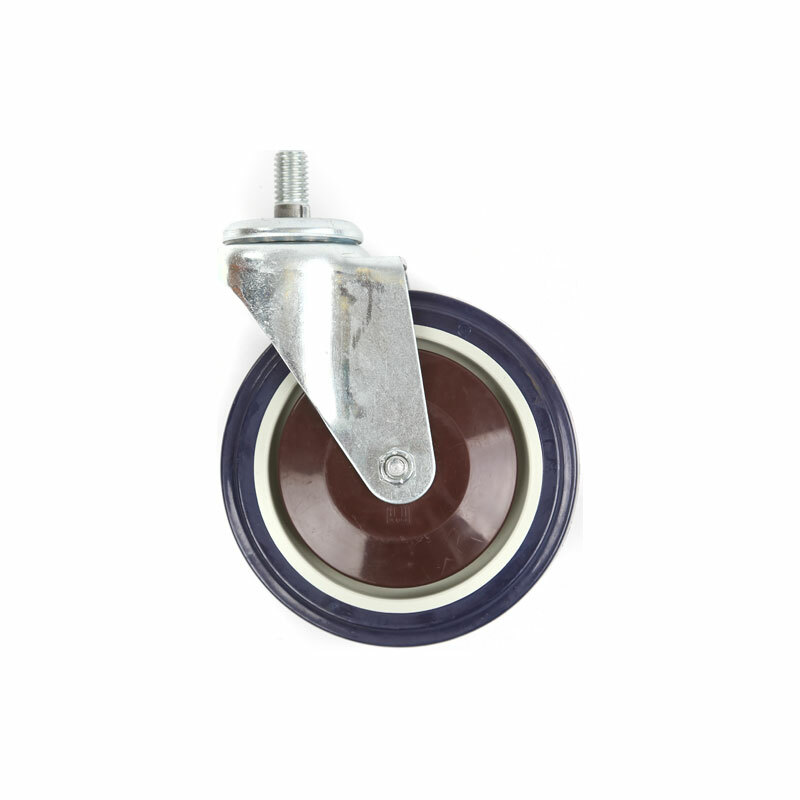 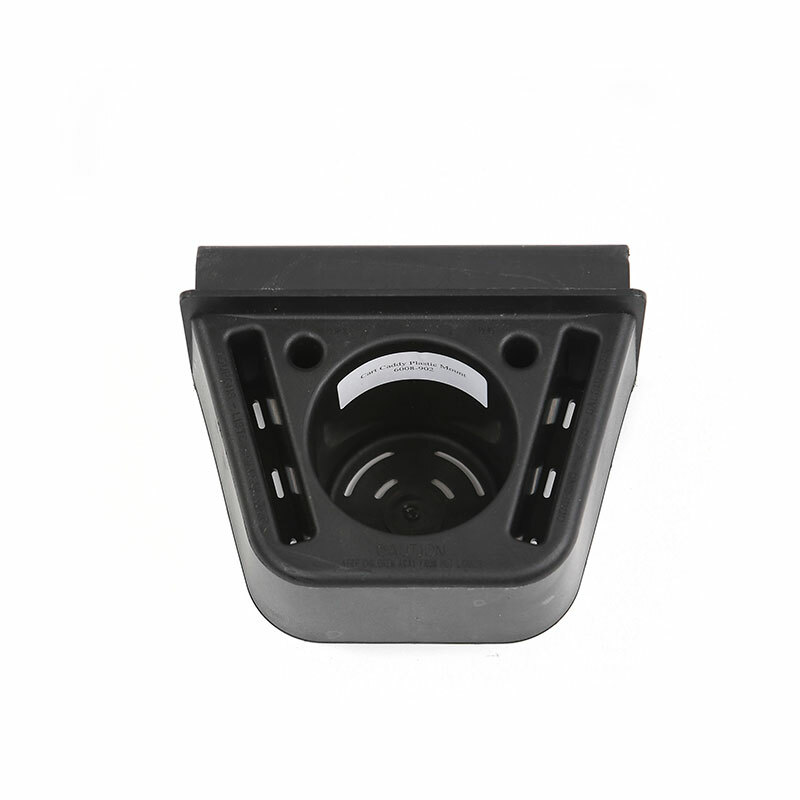 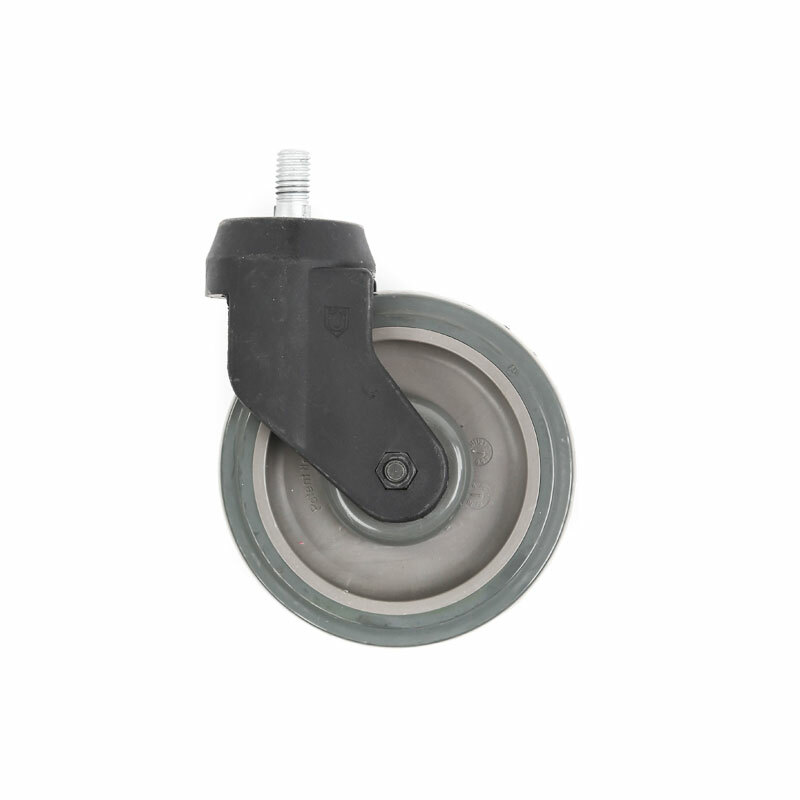 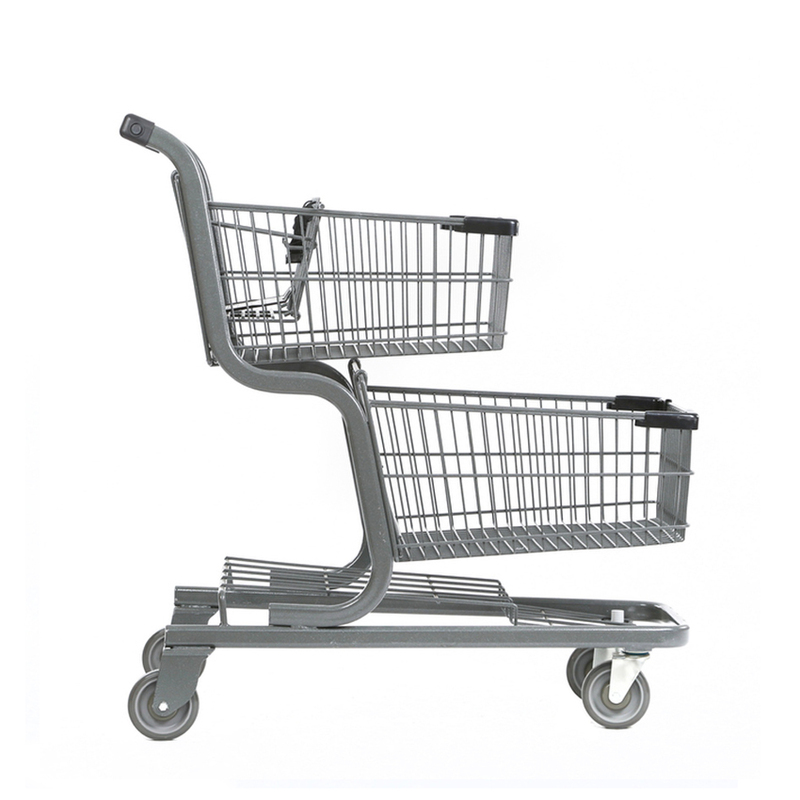 It gives end users greater shopping mobility and maneuverability with exceptional quality. 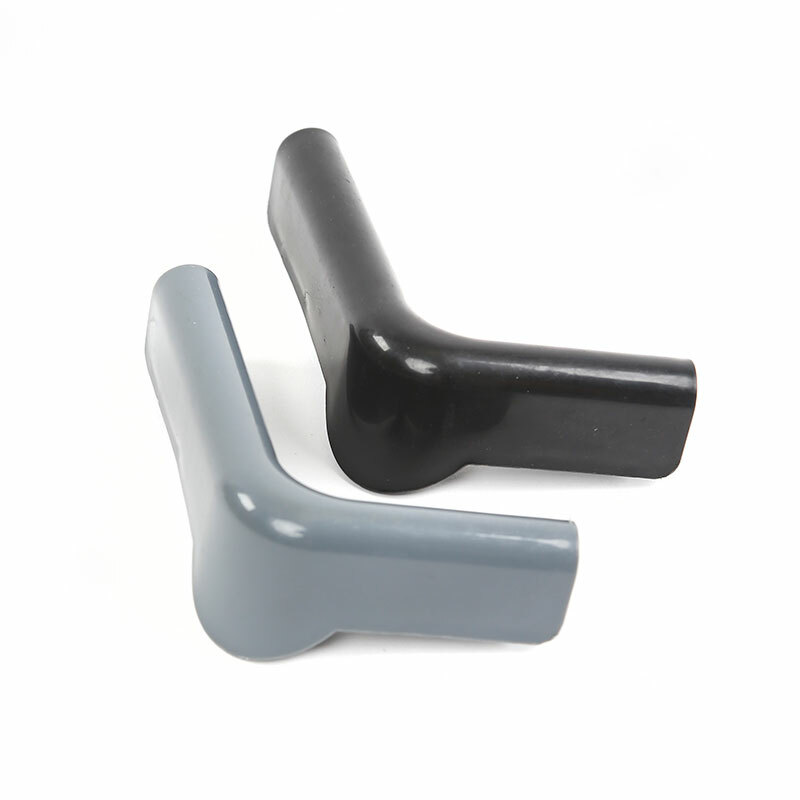 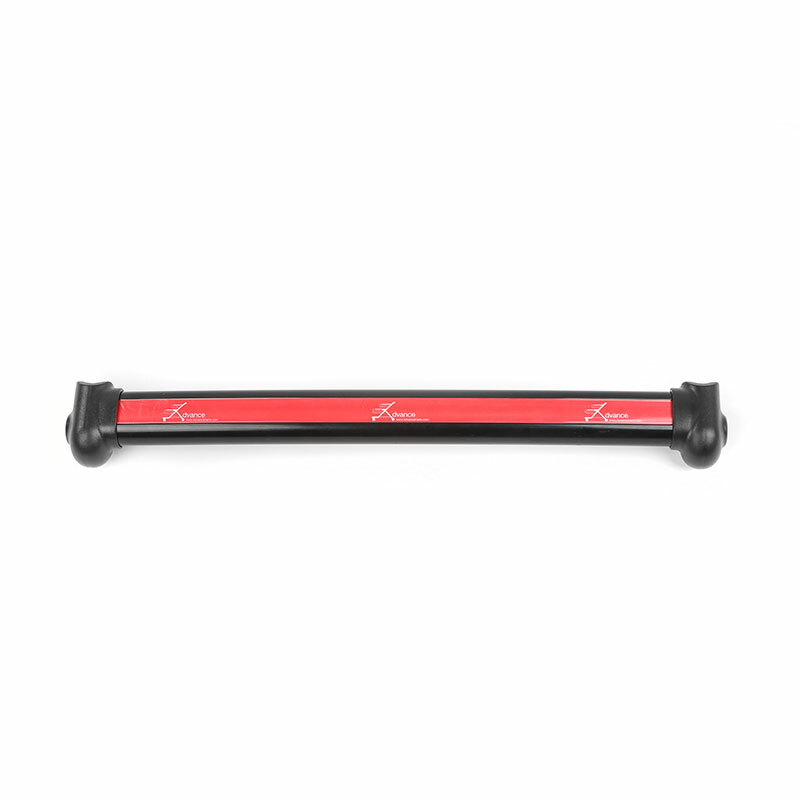 We have designed the pull handle in light metal for high durability. 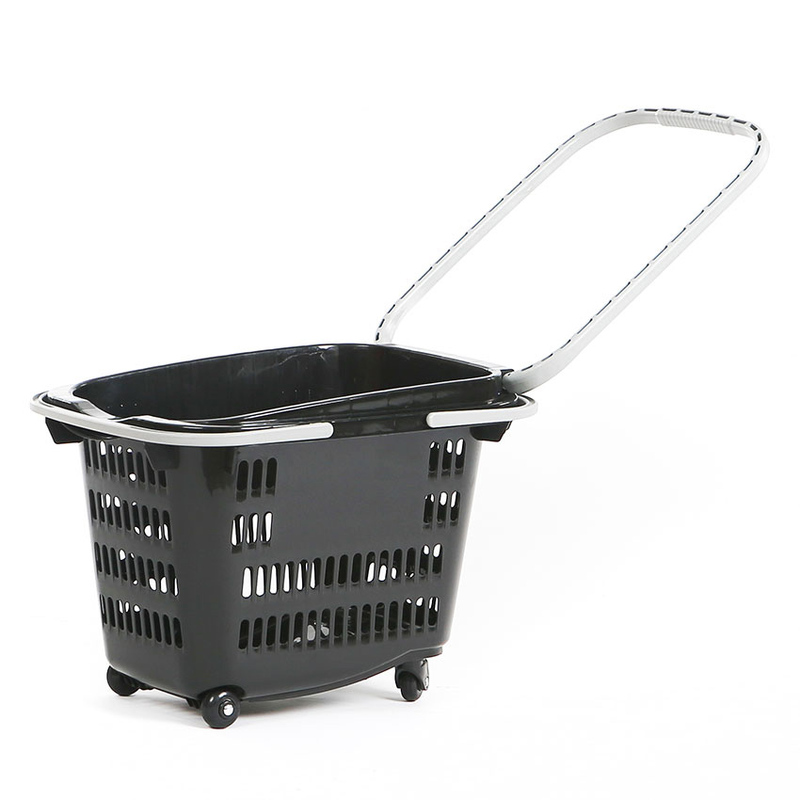 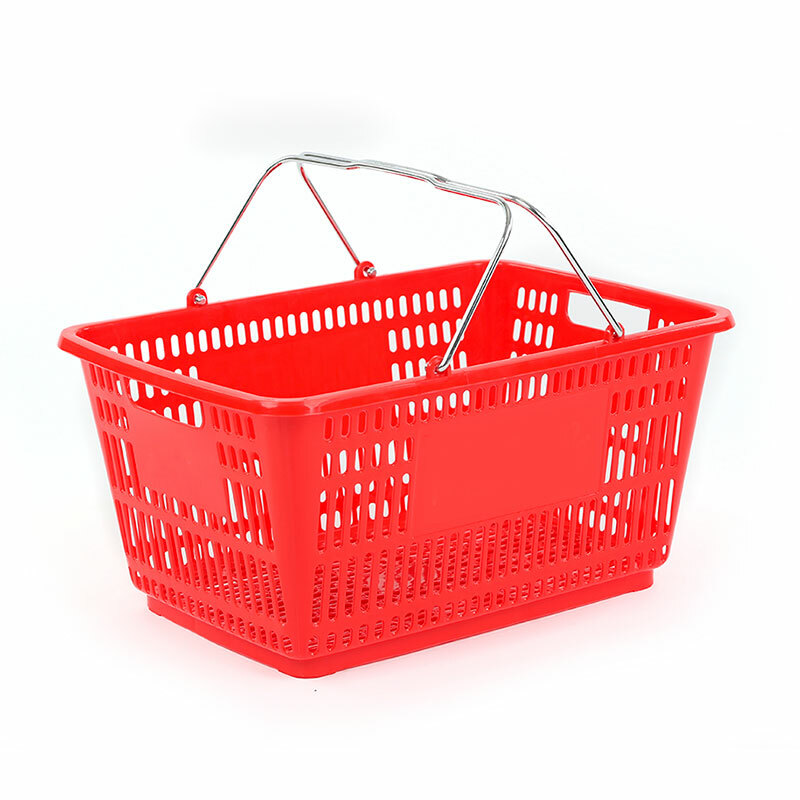 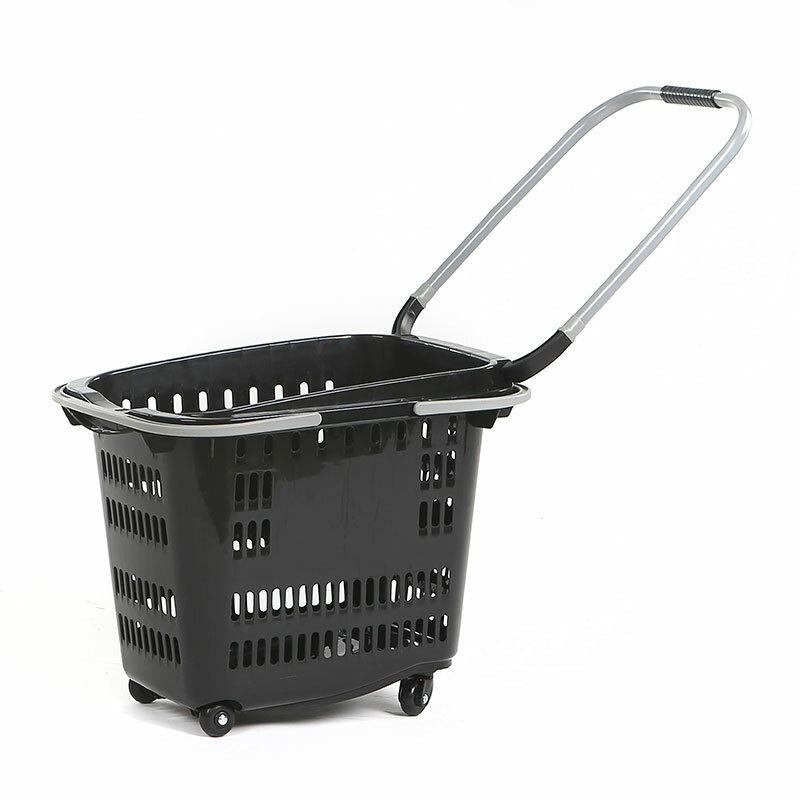 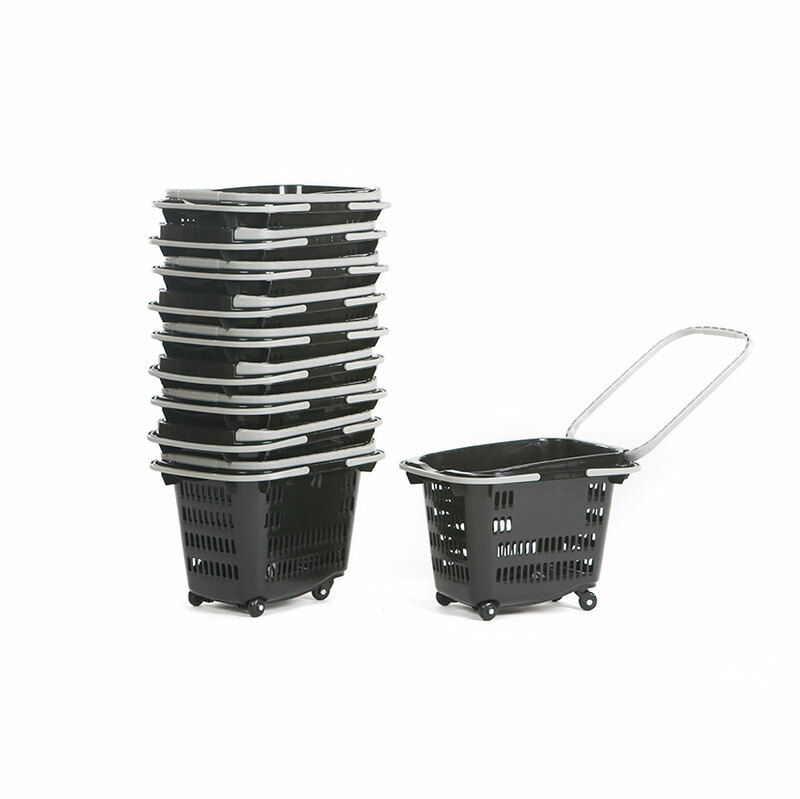 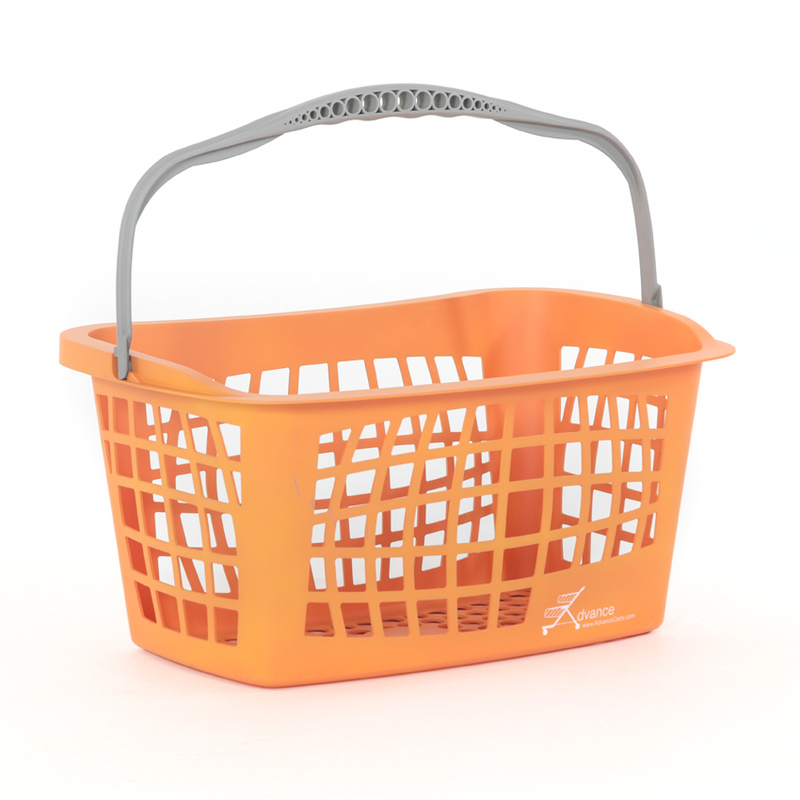 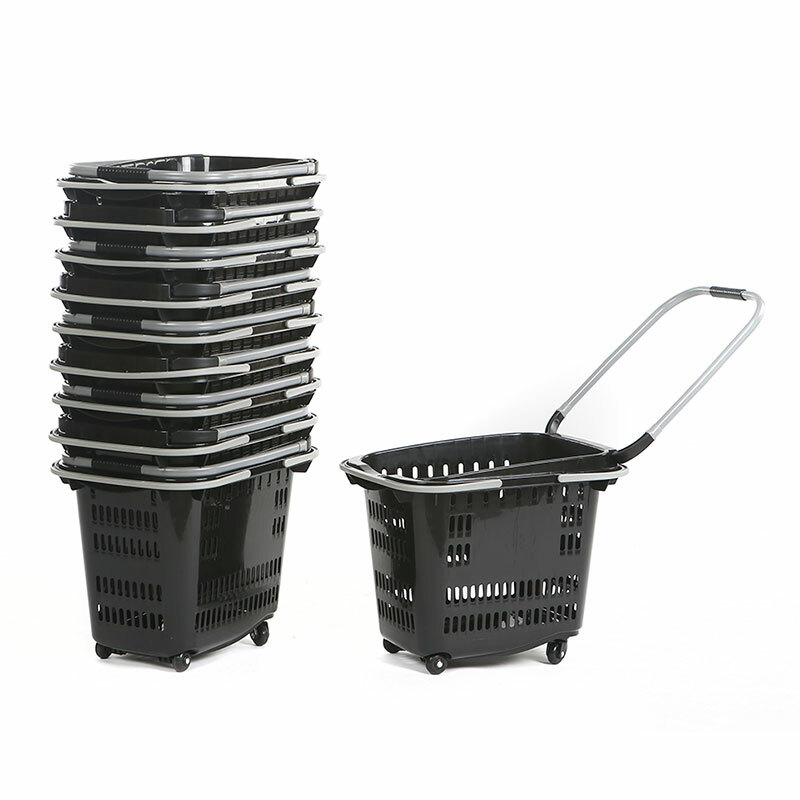 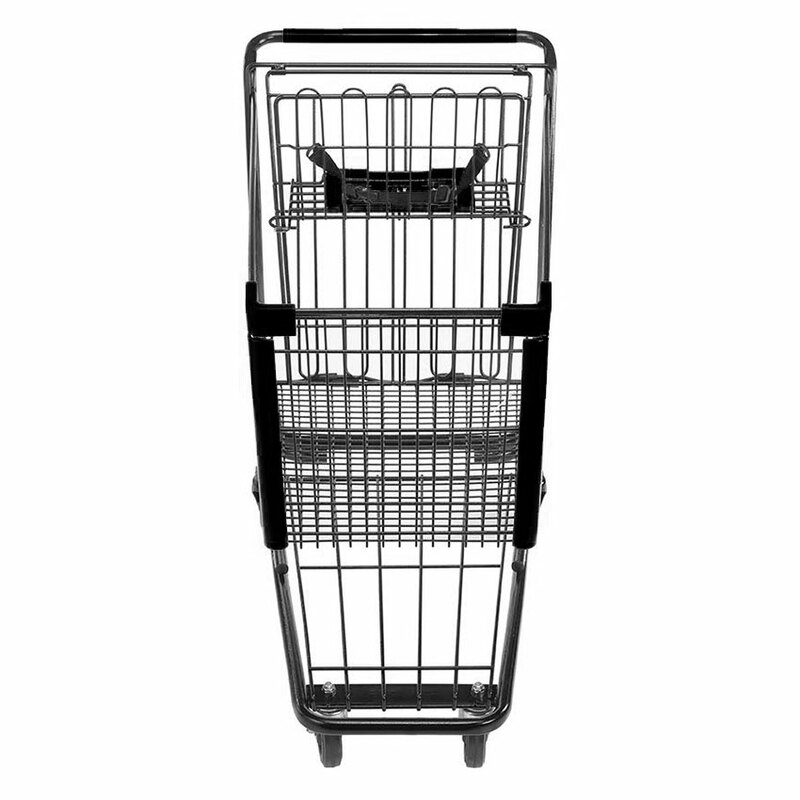 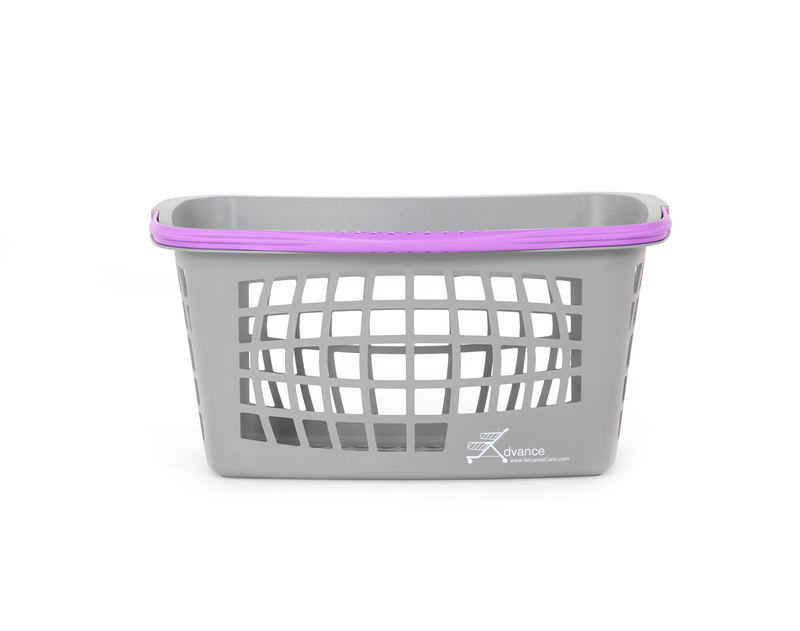 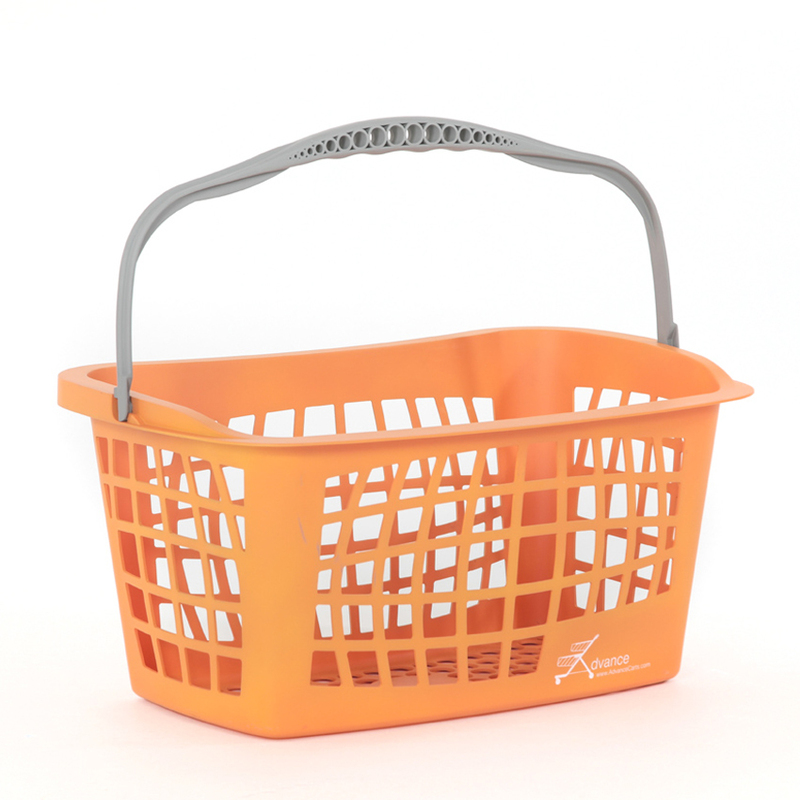 Our rolling baskets come in 3 sizes - 34 Liter, 40 Liter and 50 liter. 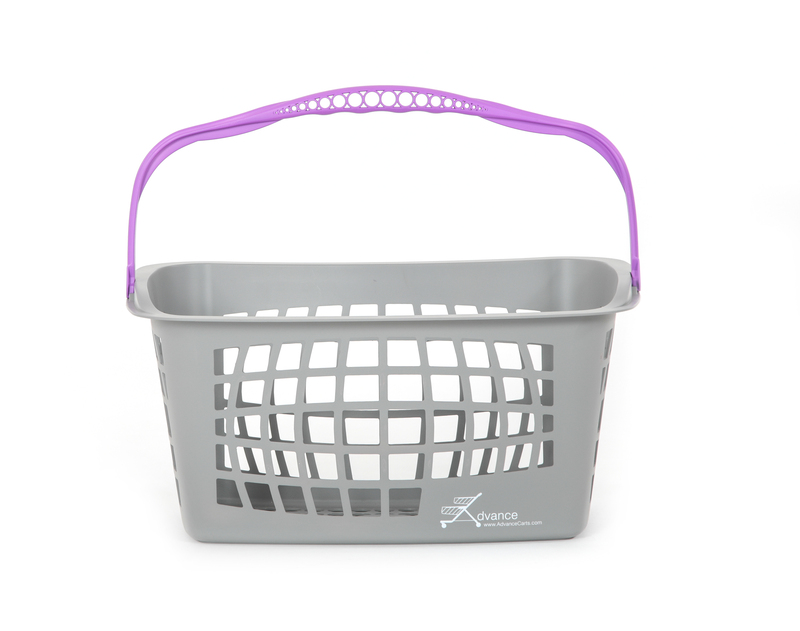 Any custom color!